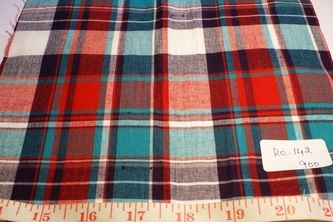 Madras plaid fabric is originally from India, and is a fabric made by weaving together, yarns of different colors, to form a fabric that has a myriad of inter-crossing lines of different colors, that form beautiful plaid patterns. 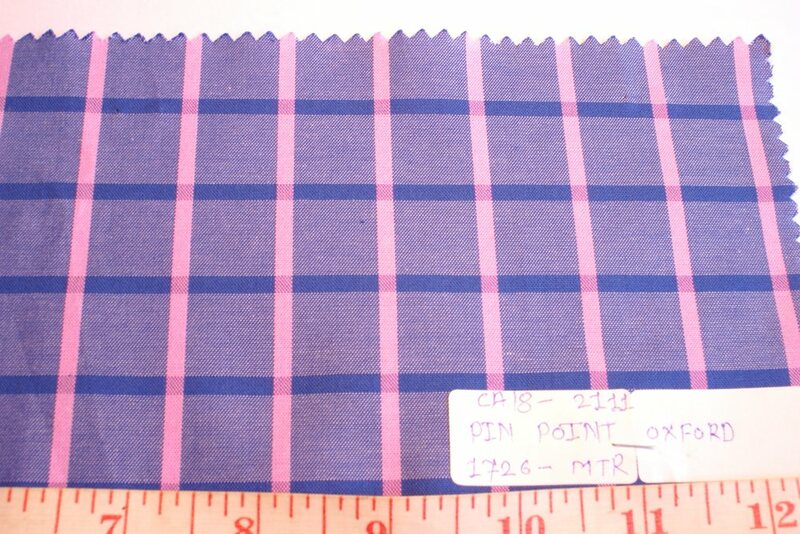 Madras fabrics can be made on tradtional handlooms or on modern powerlooms. 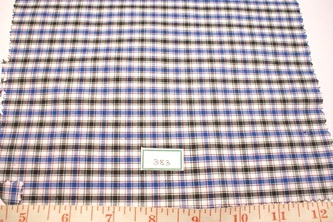 Both have their own unique characteristics. 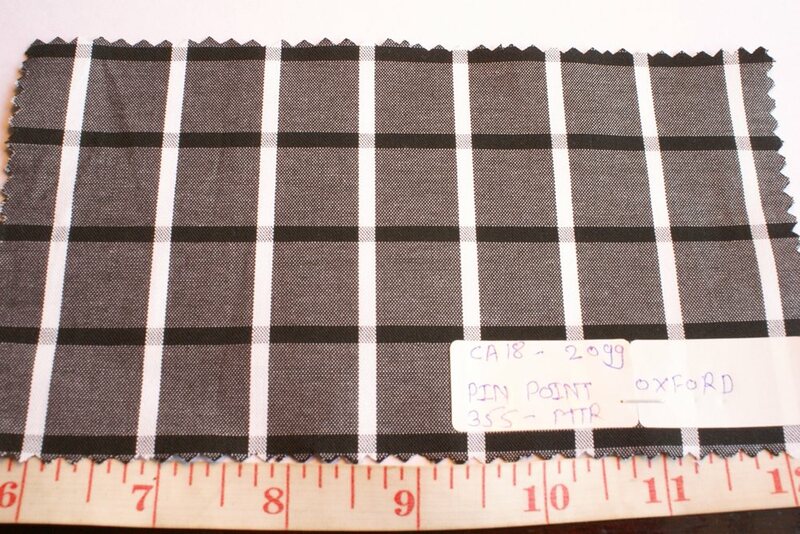 Even today, madras fabric mostly comes from the Indian city of Madras, Tamil Nadu, where weavers weave the magic called Madras. 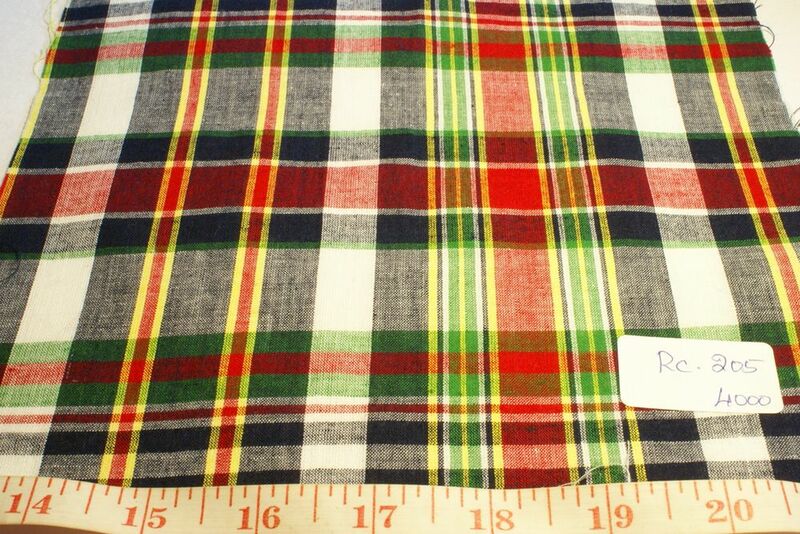 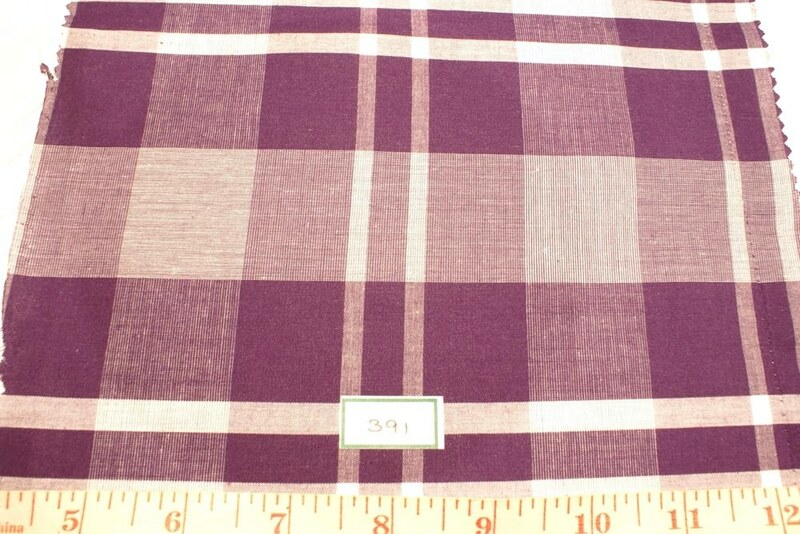 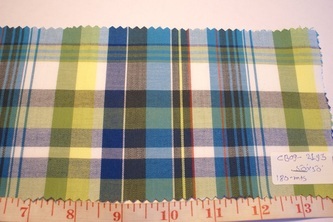 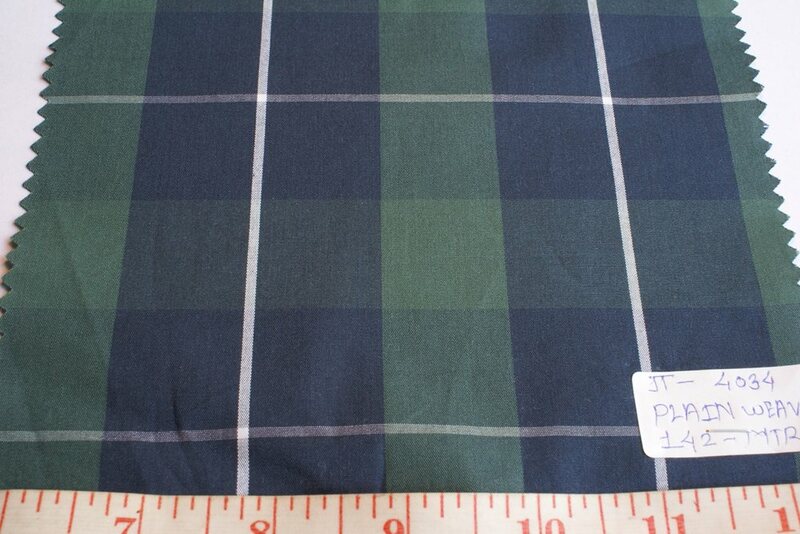 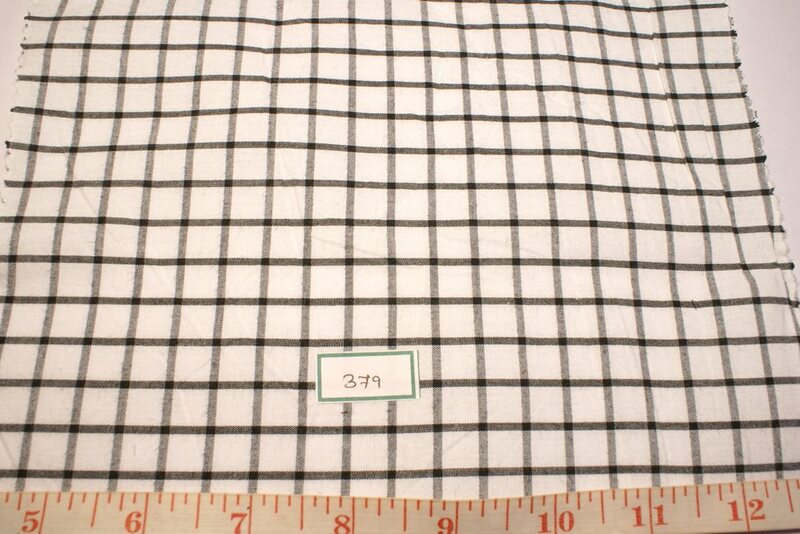 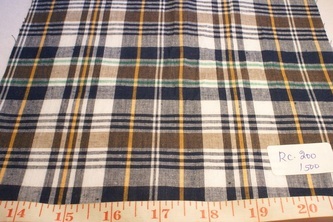 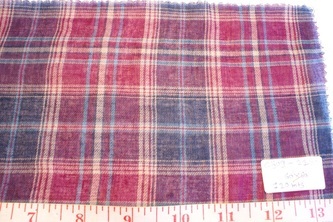 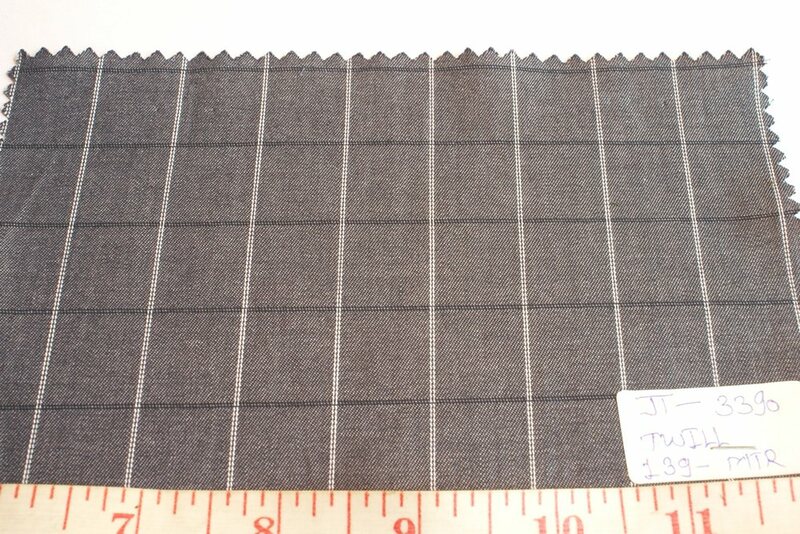 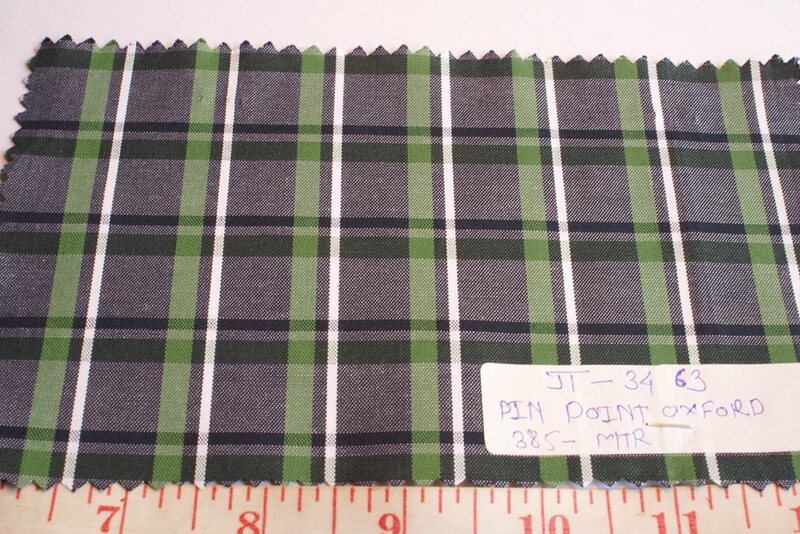 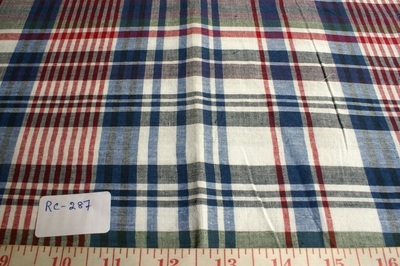 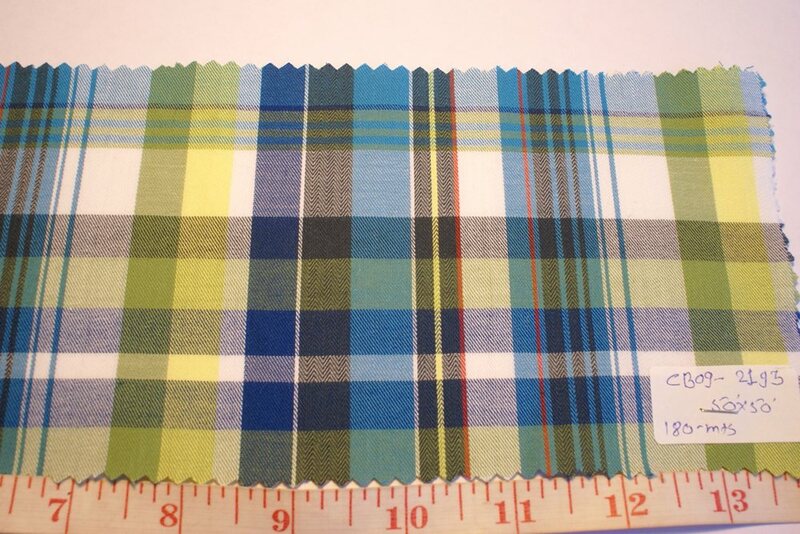 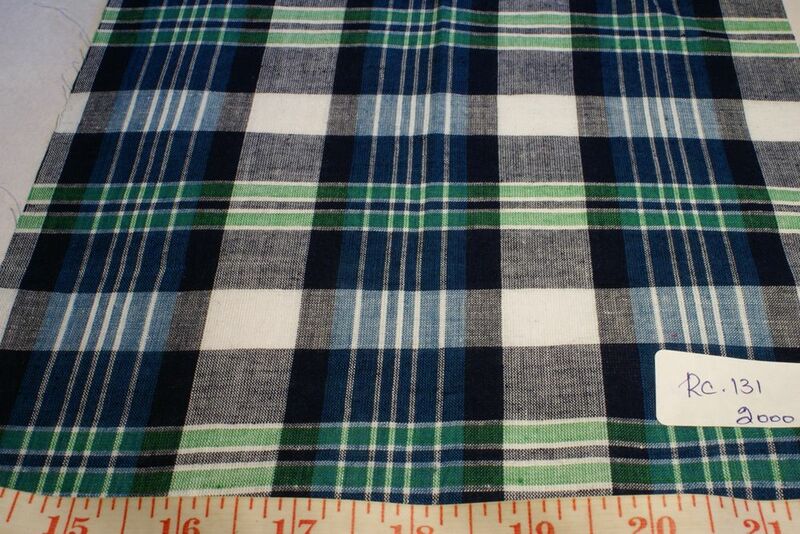 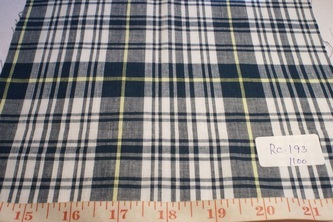 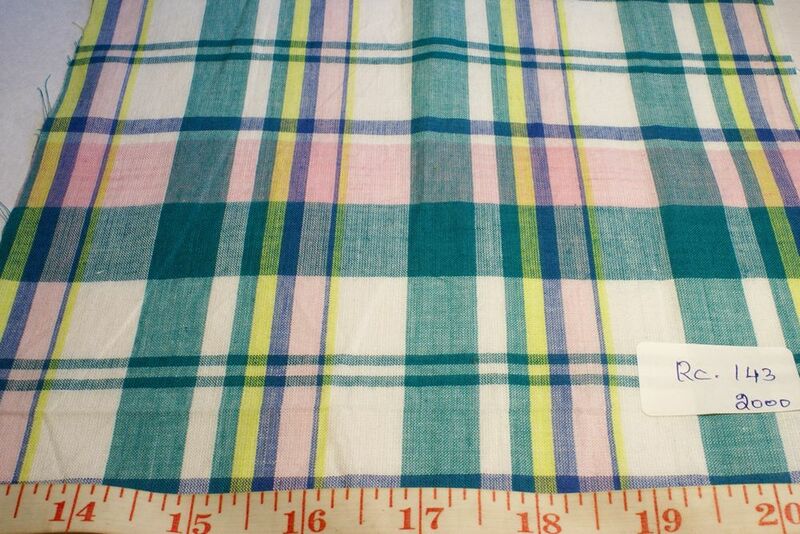 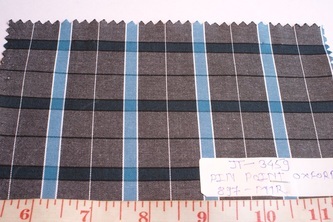 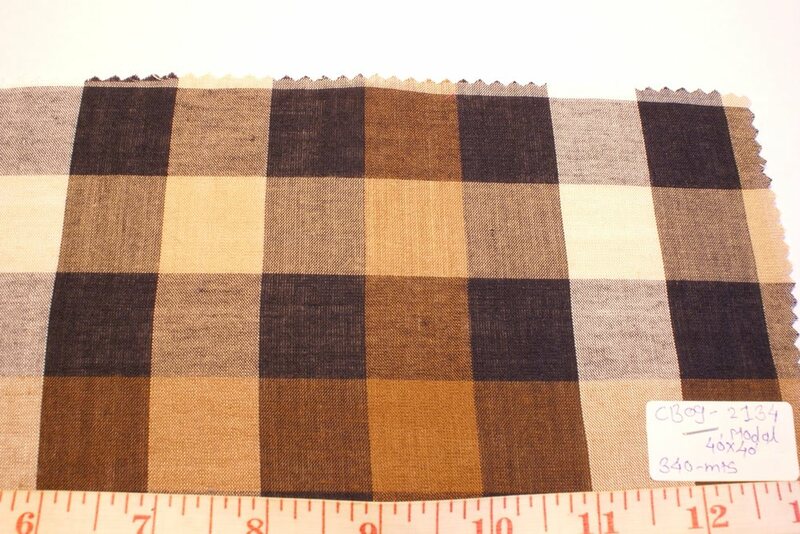 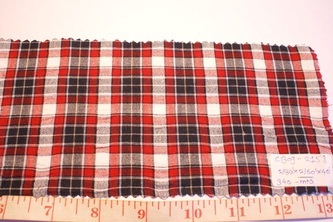 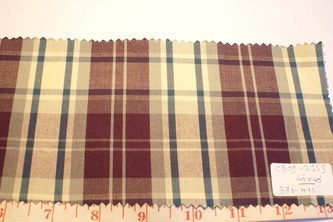 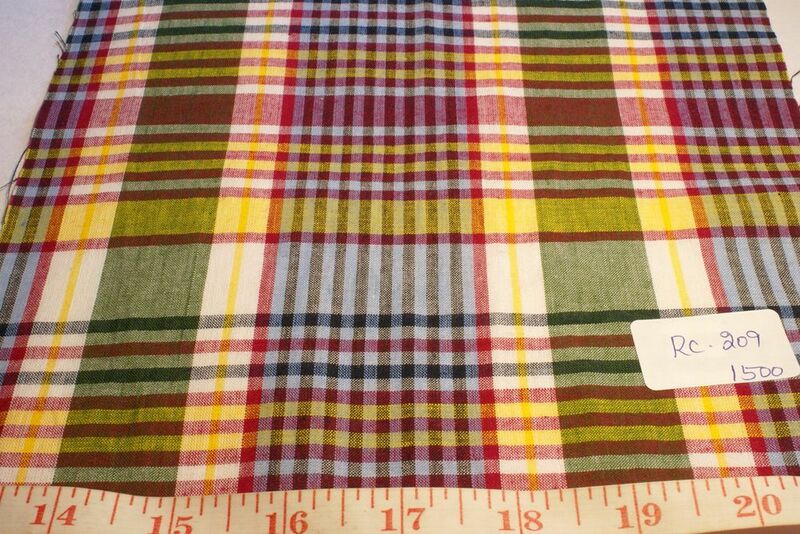 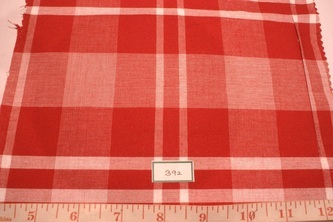 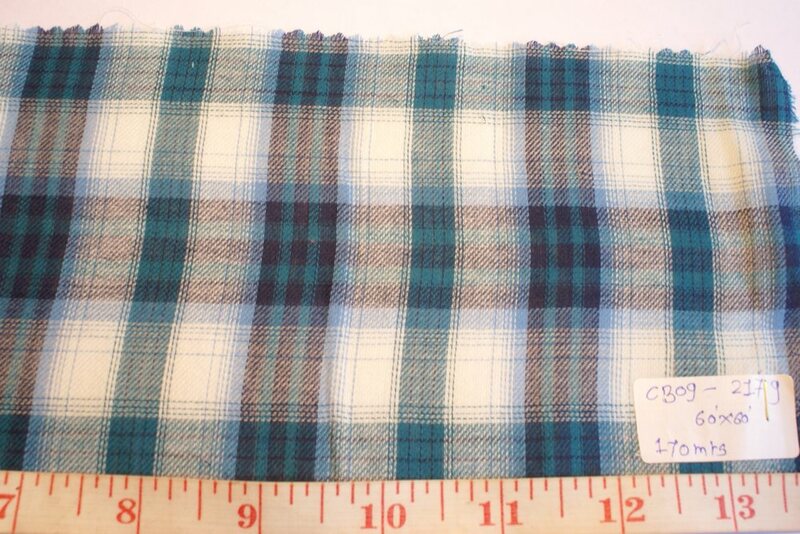 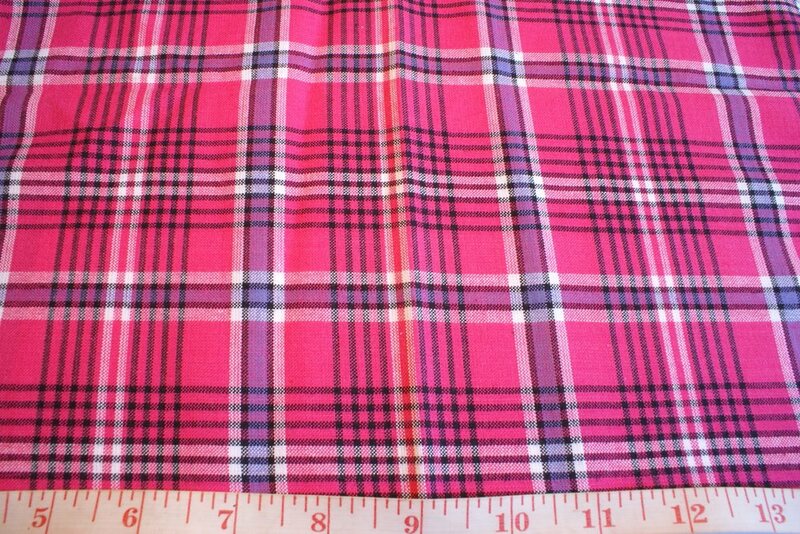 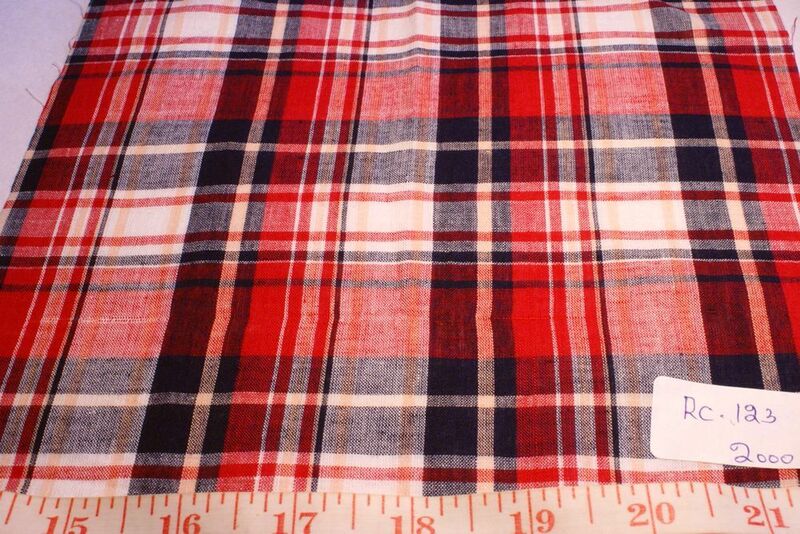 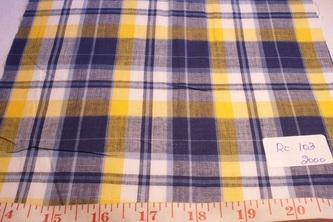 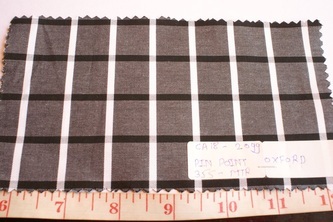 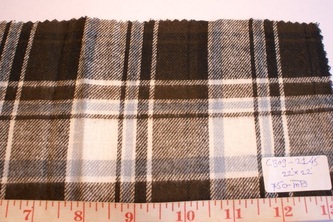 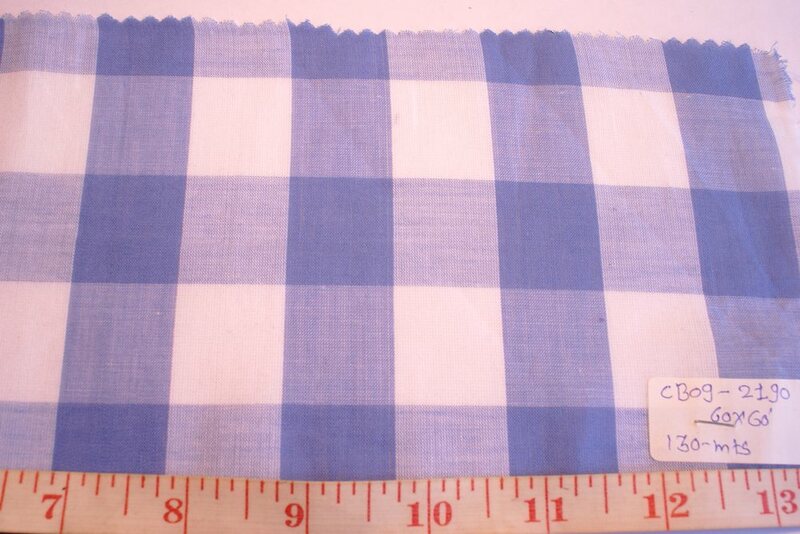 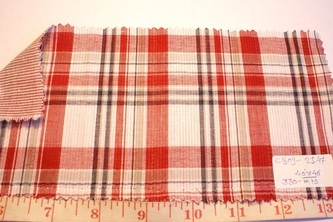 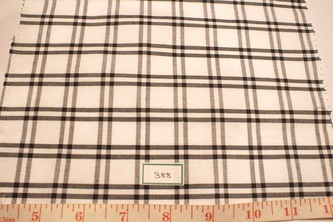 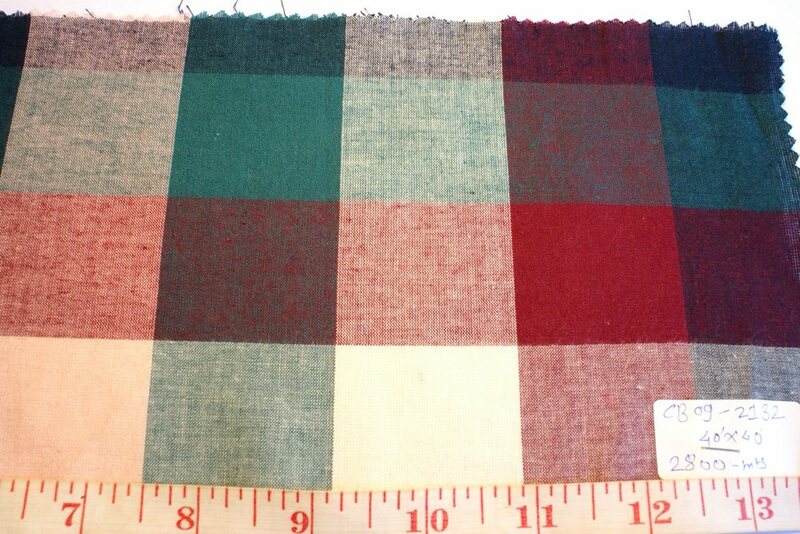 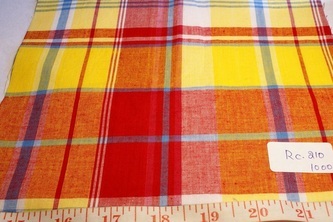 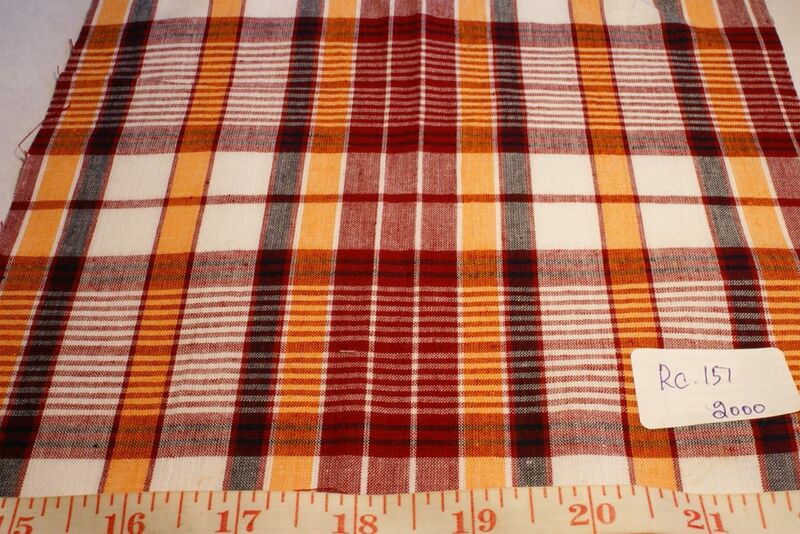 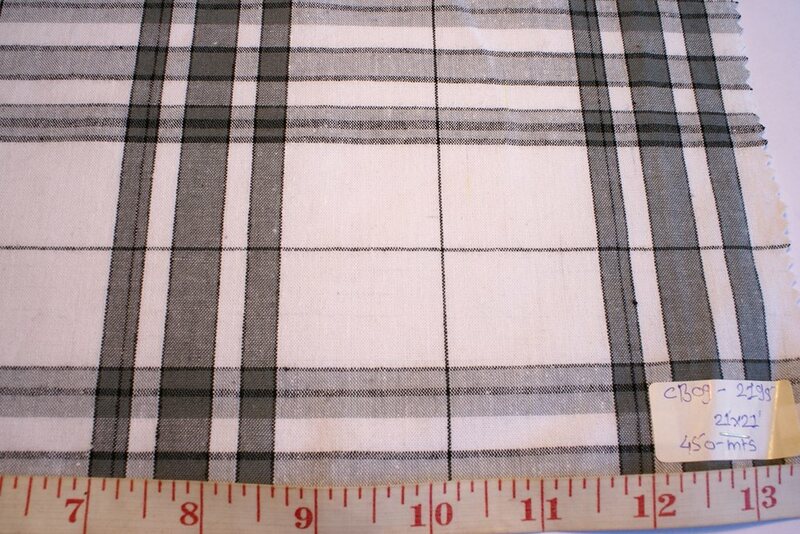 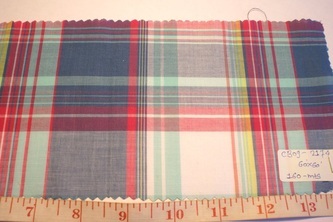 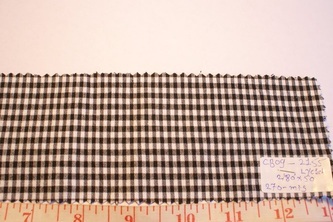 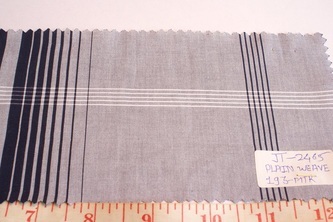 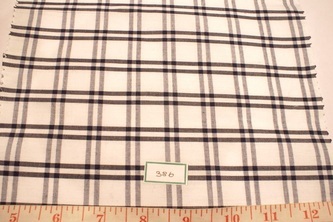 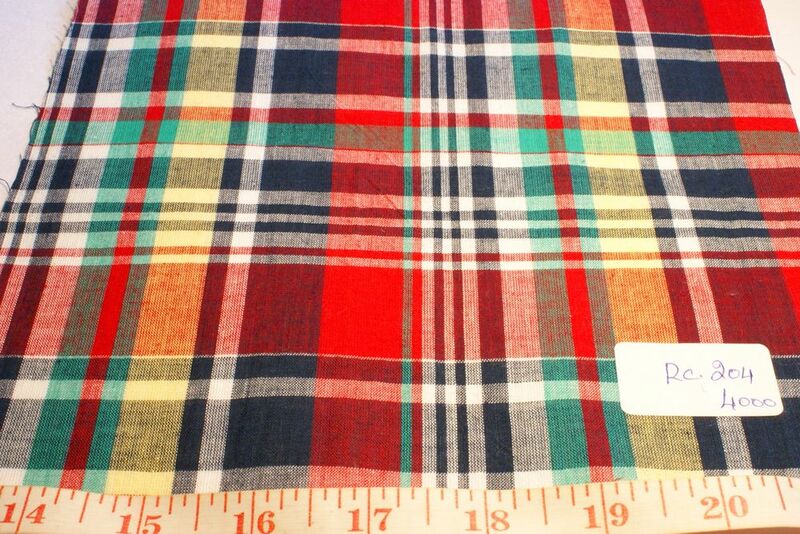 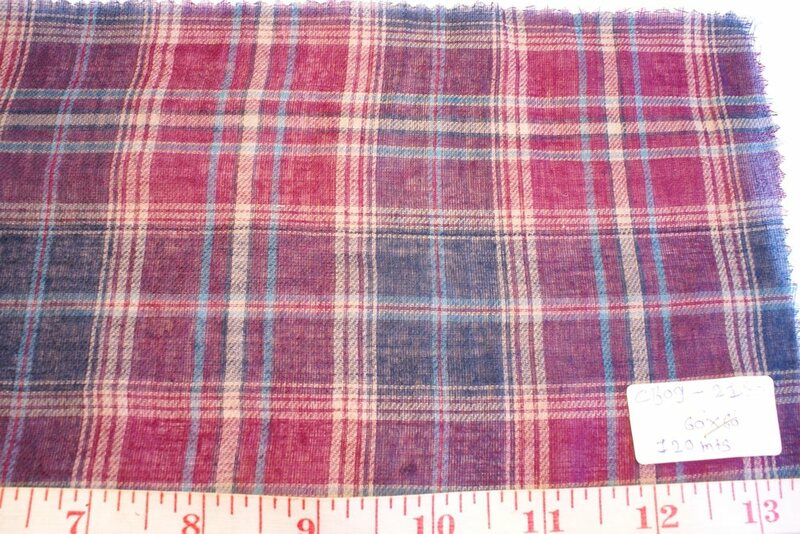 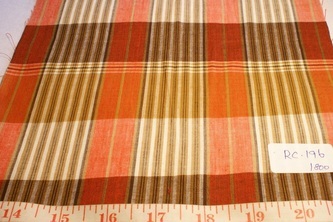 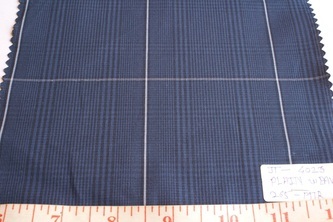 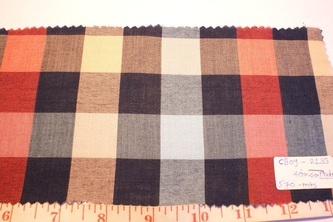 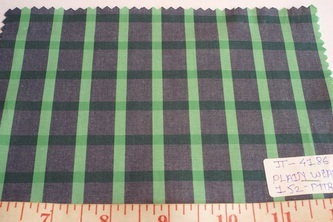 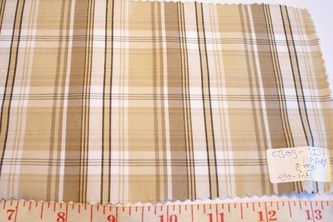 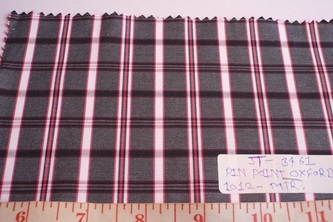 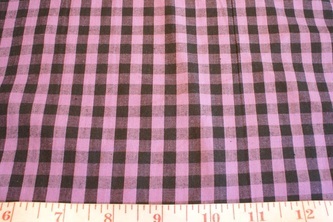 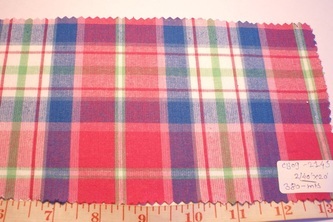 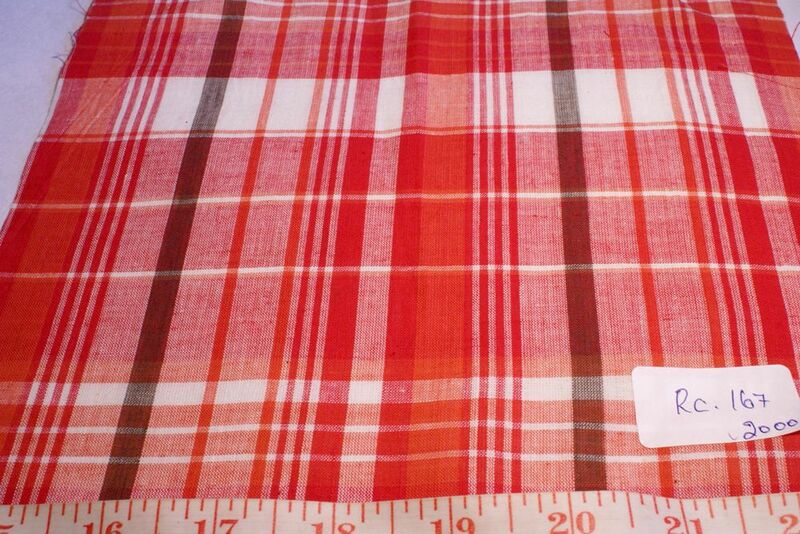 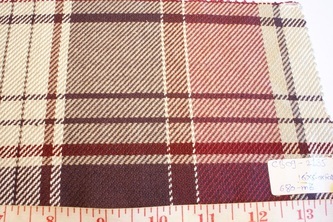 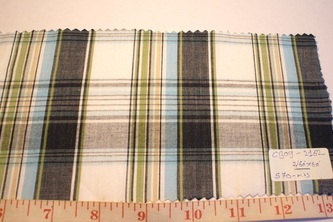 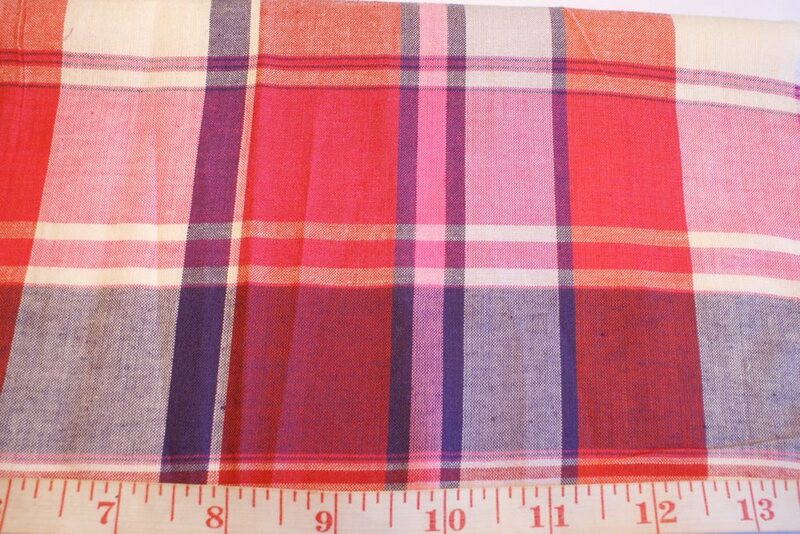 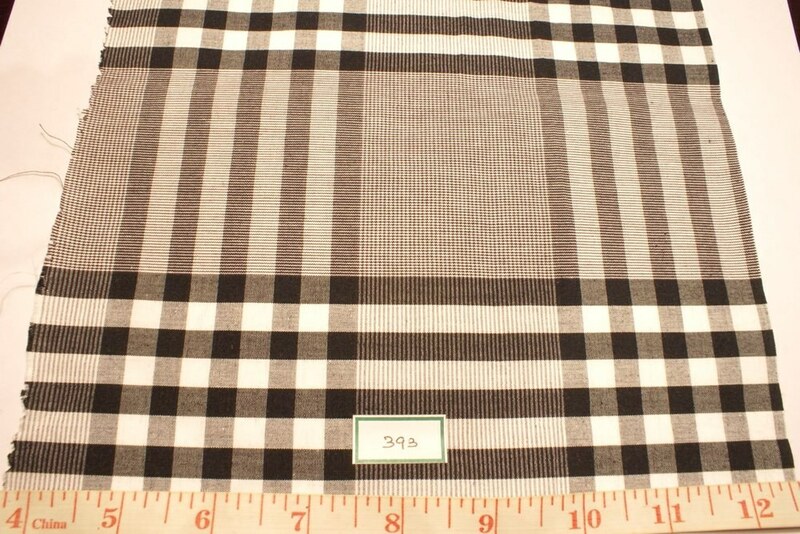 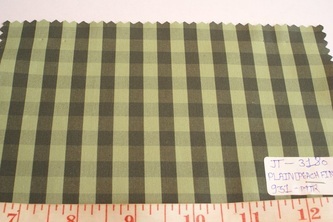 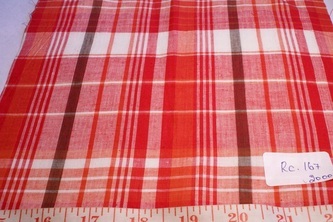 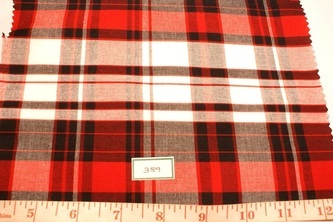 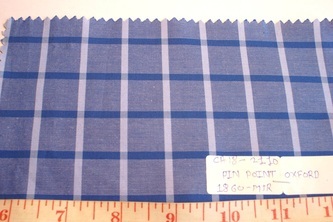 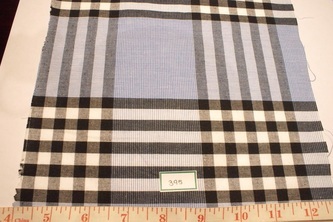 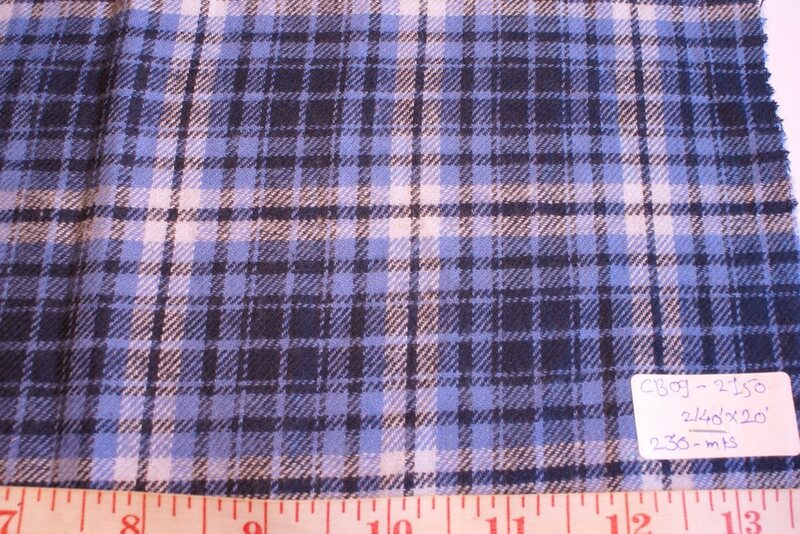 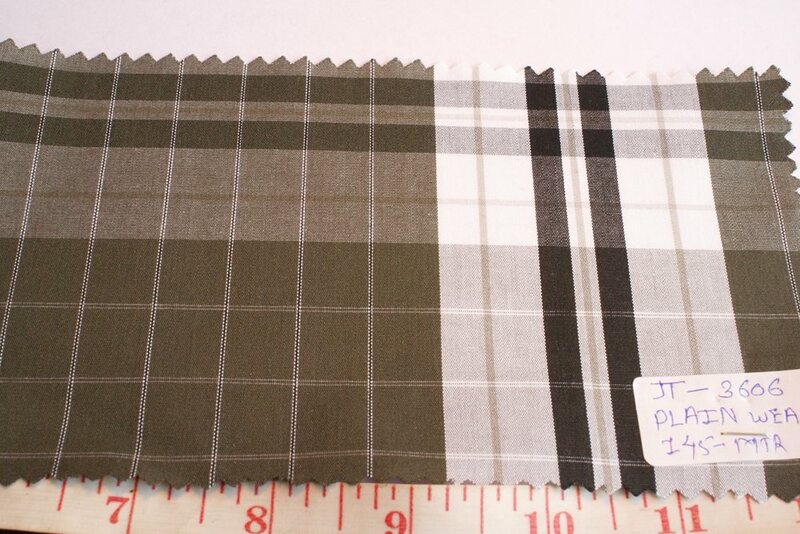 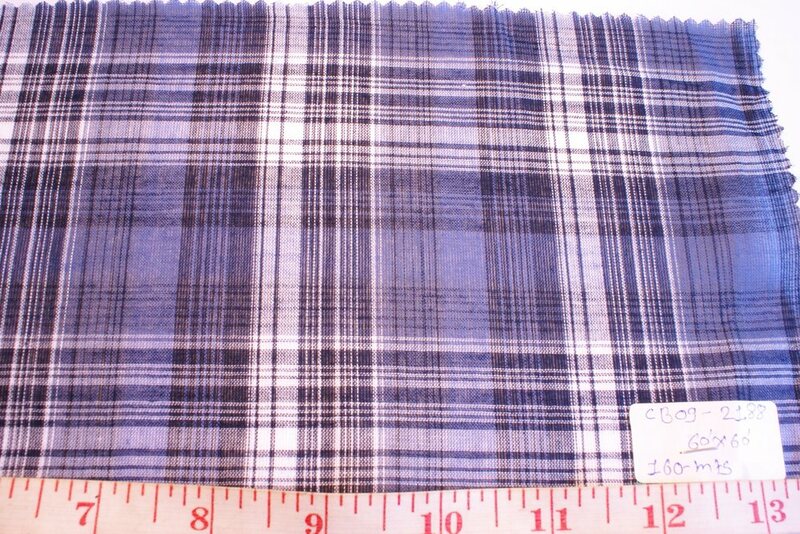 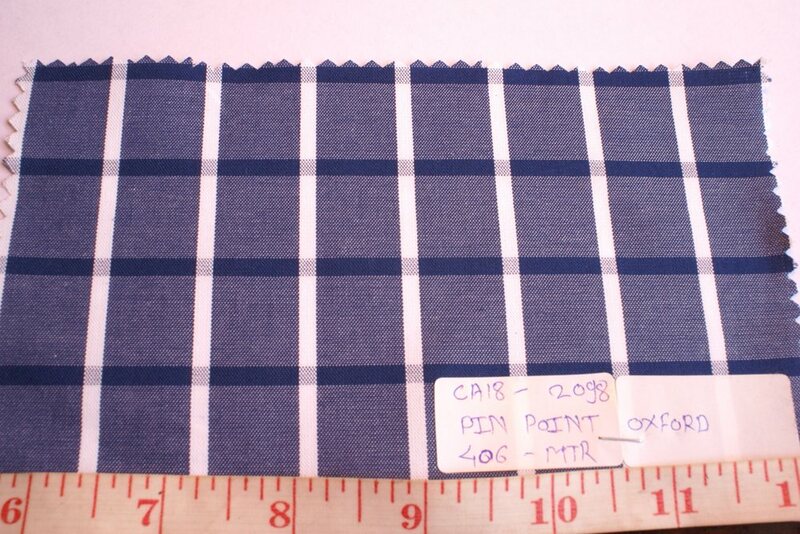 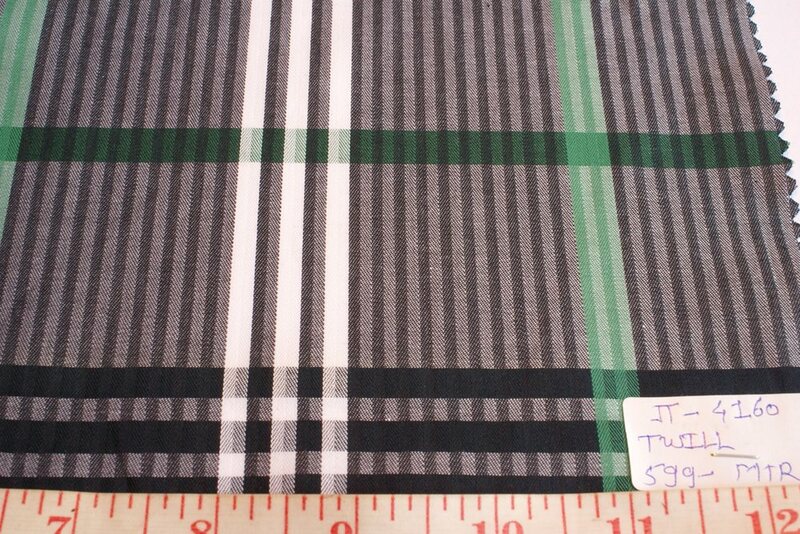 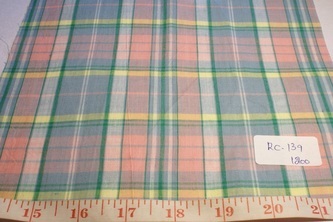 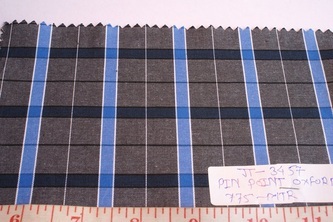 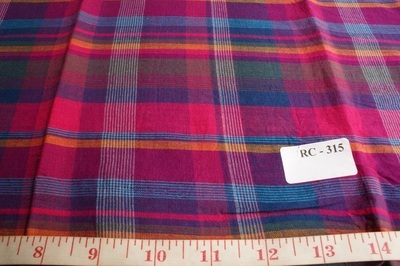 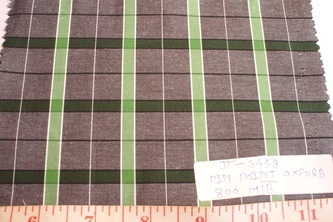 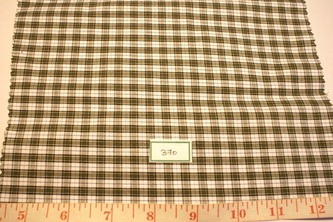 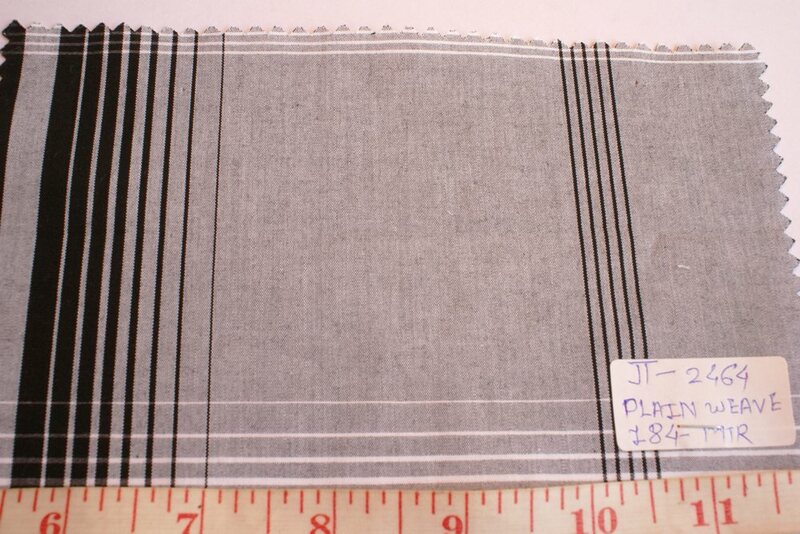 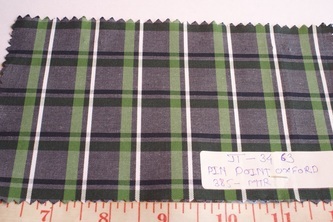 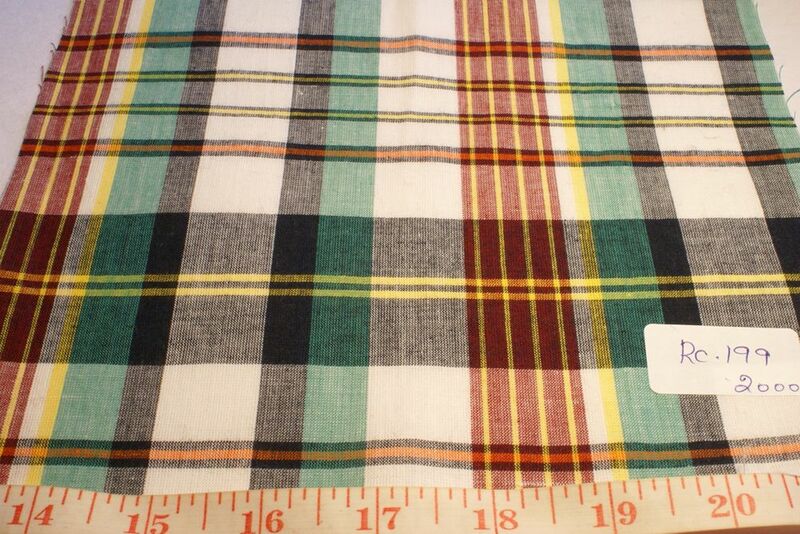 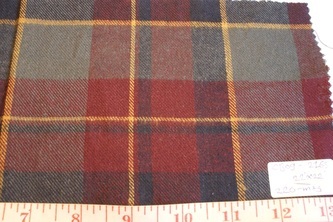 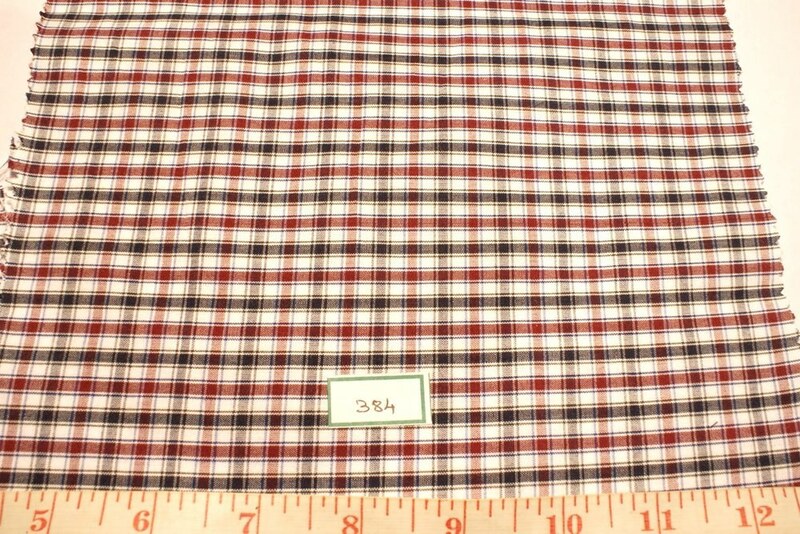 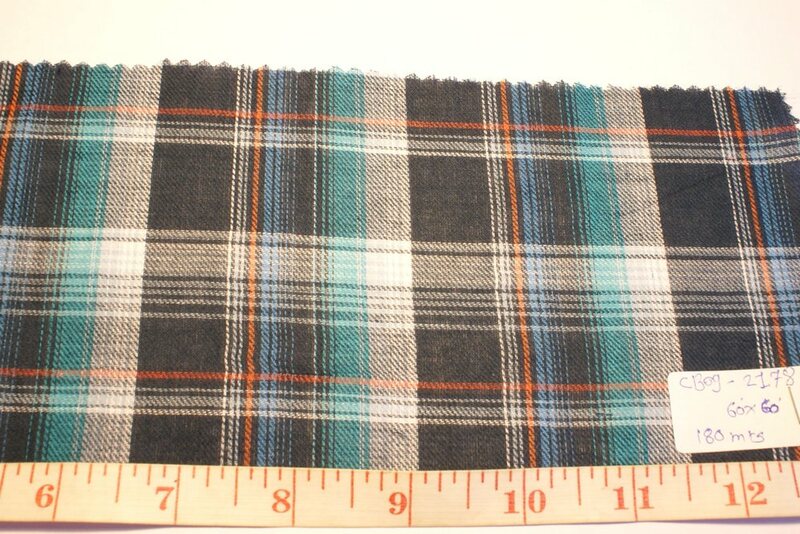 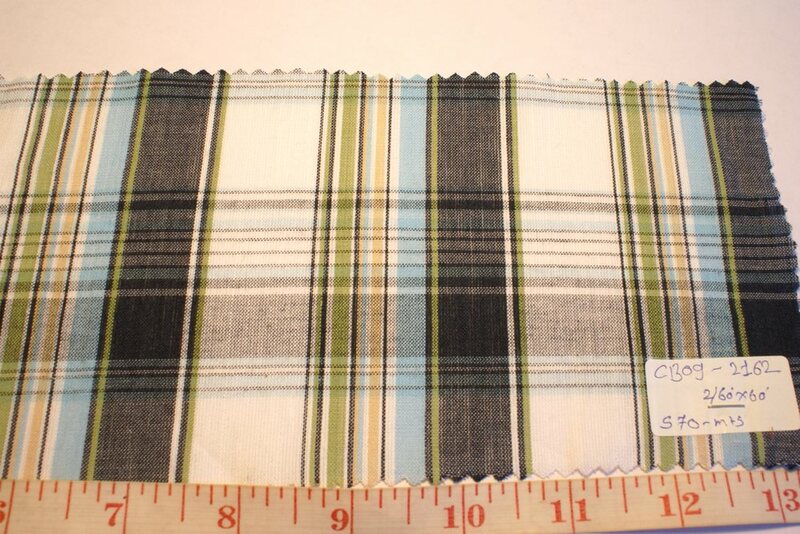 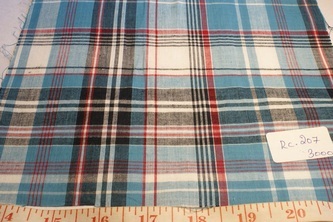 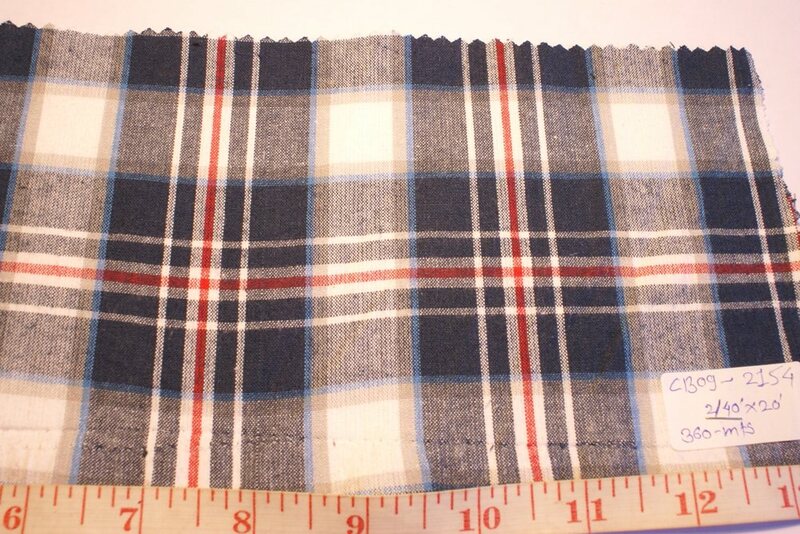 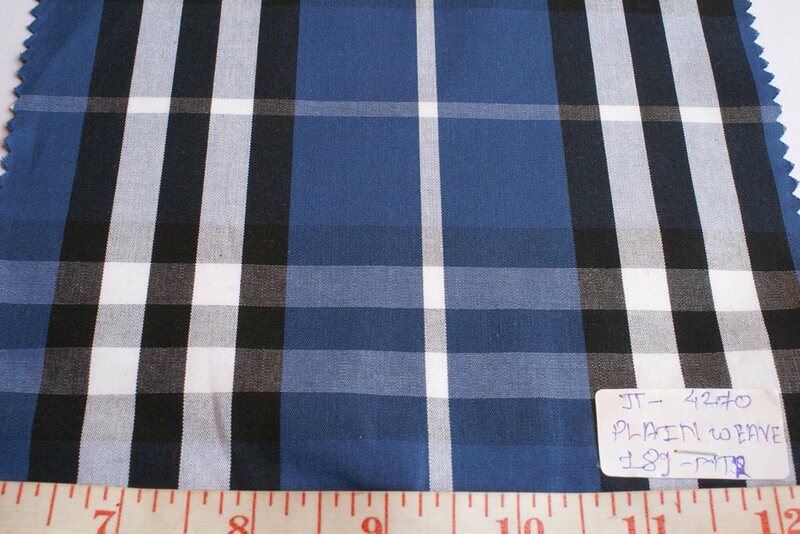 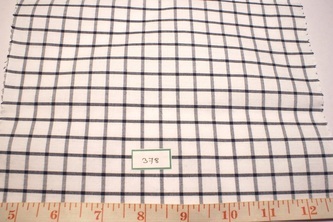 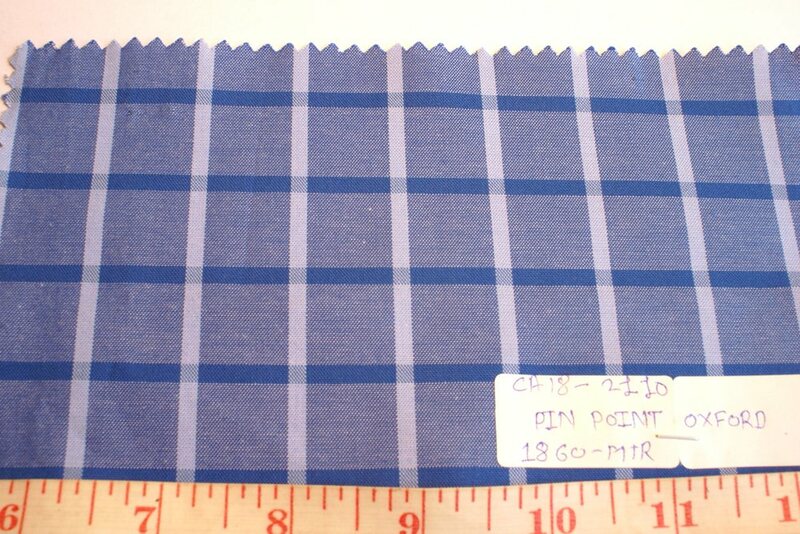 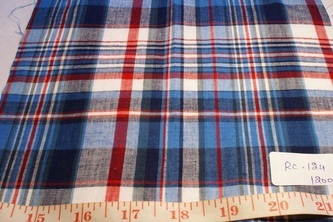 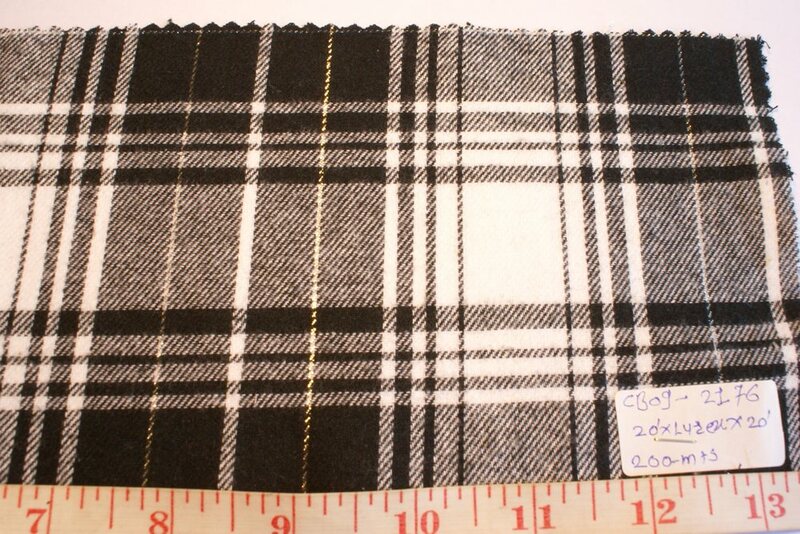 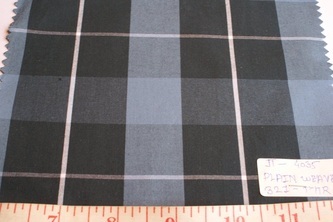 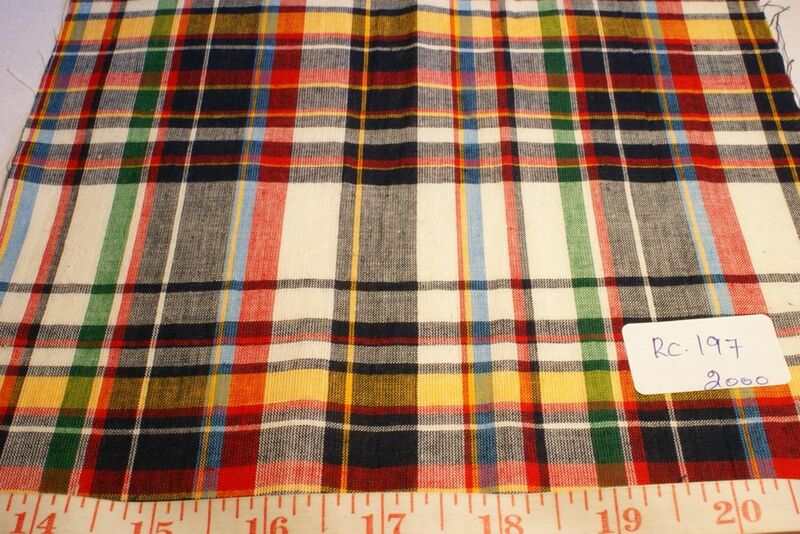 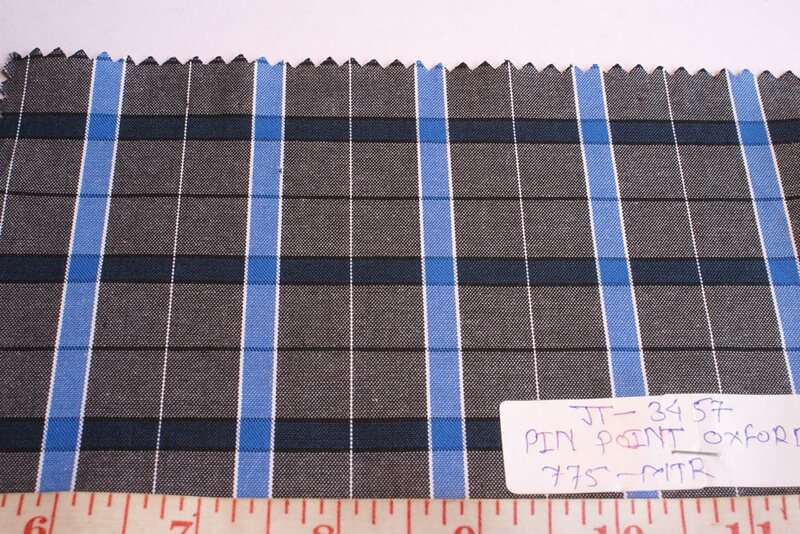 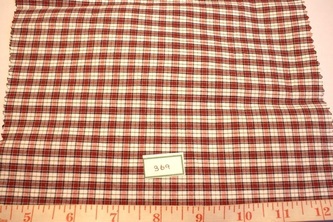 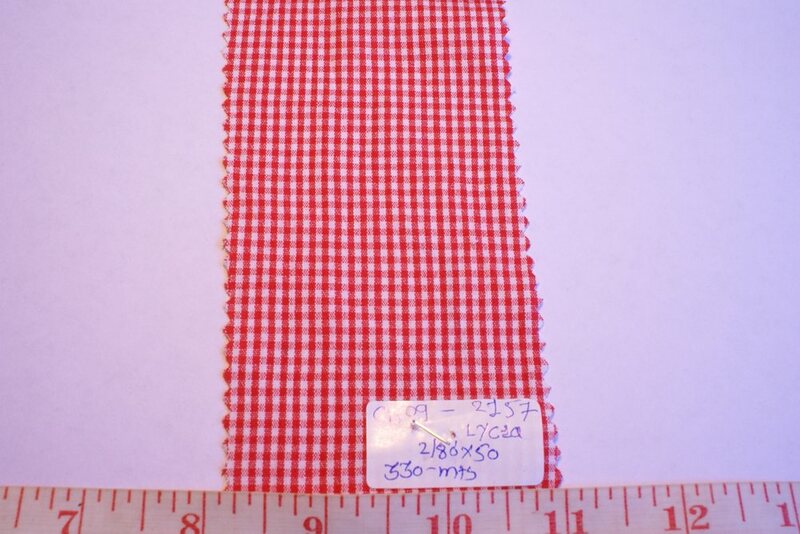 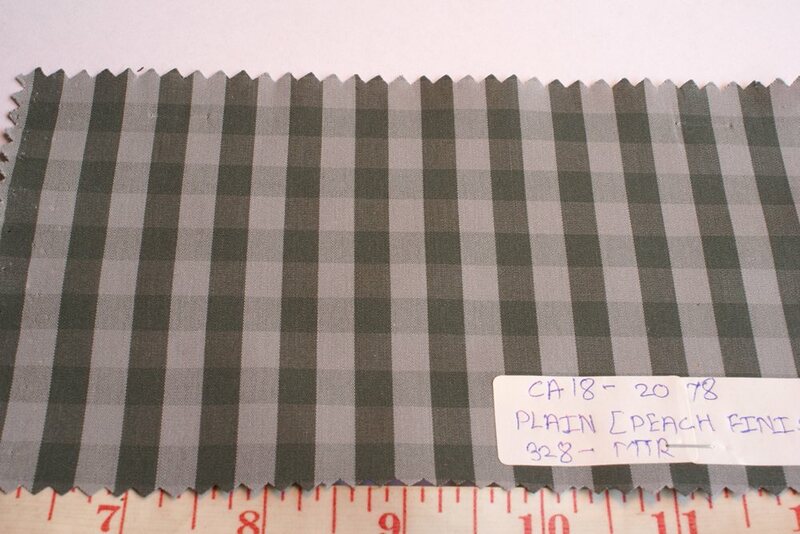 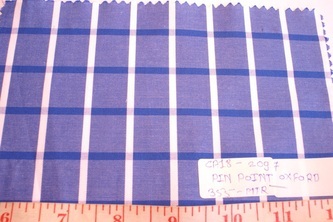 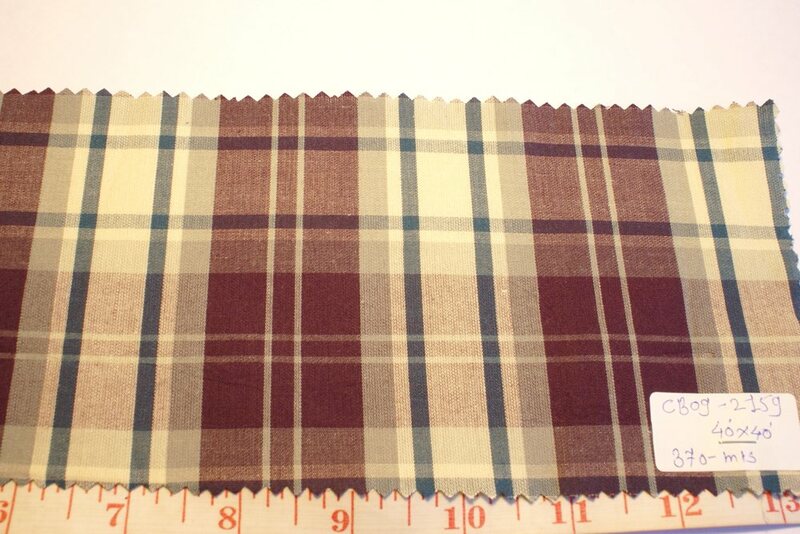 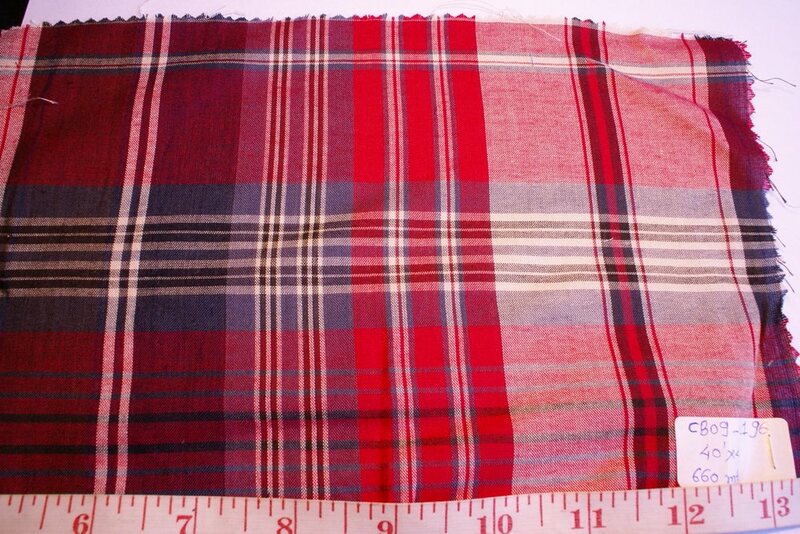 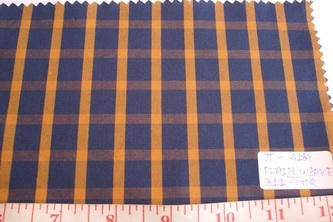 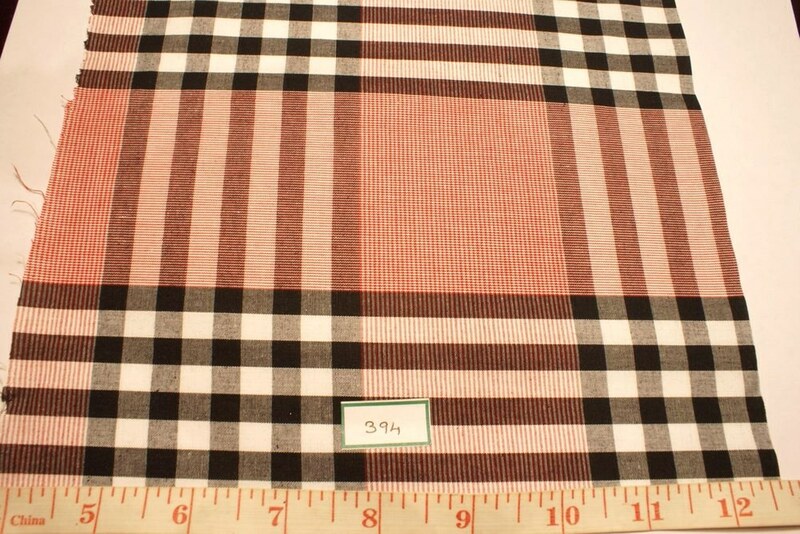 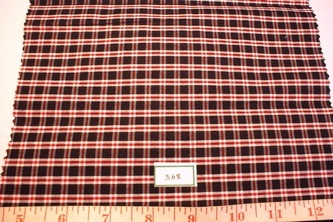 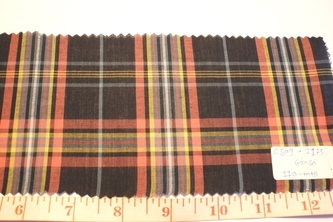 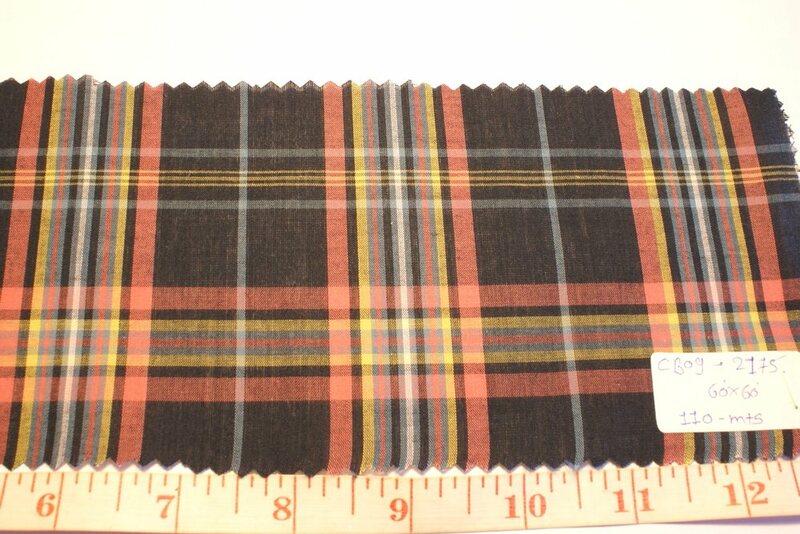 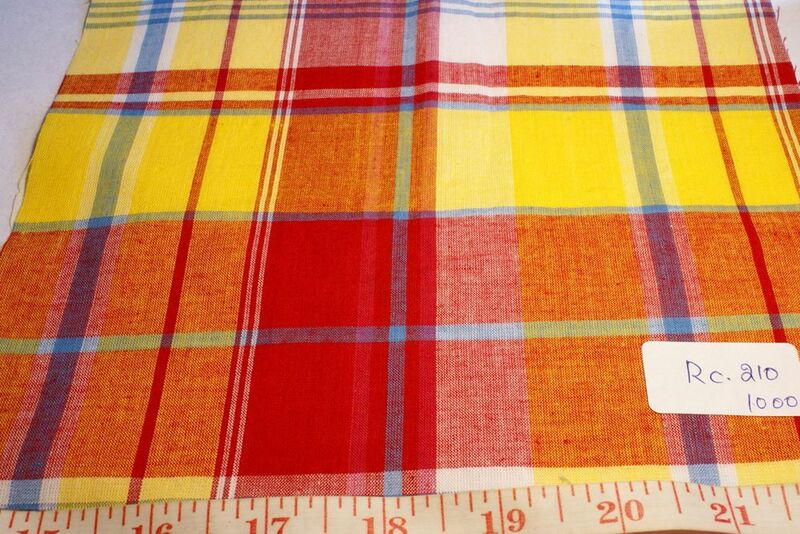 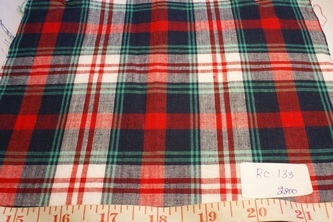 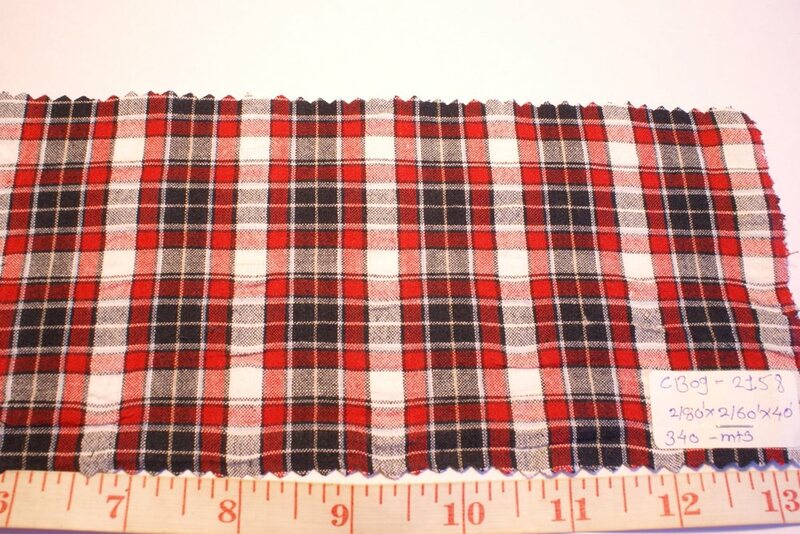 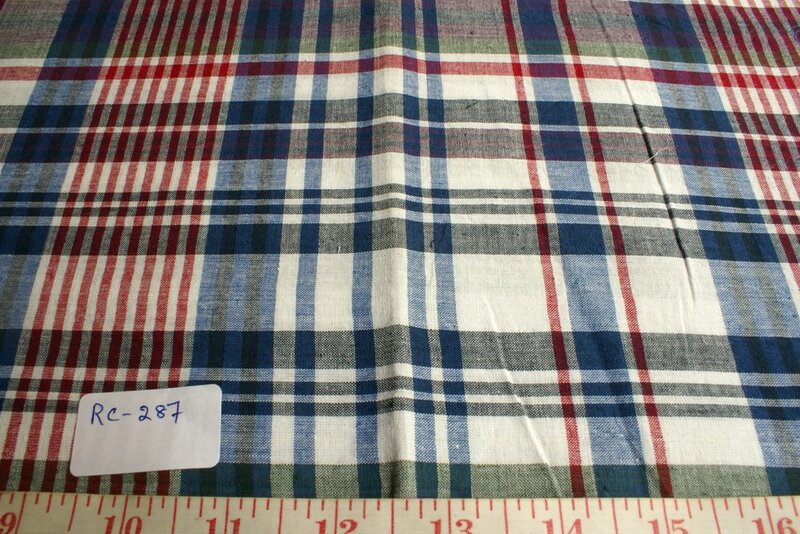 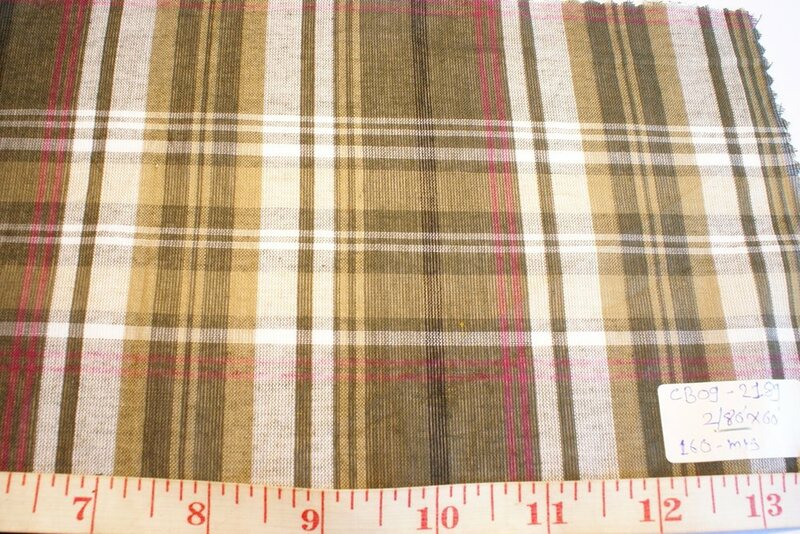 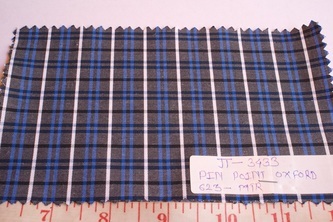 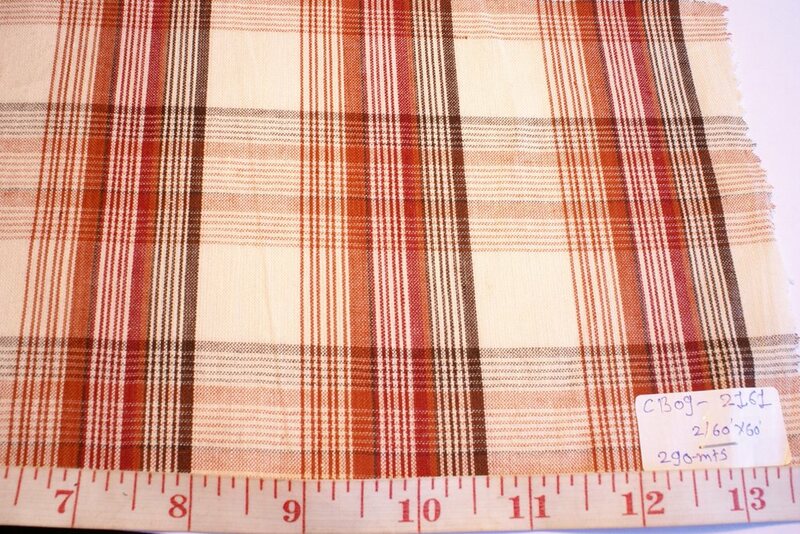 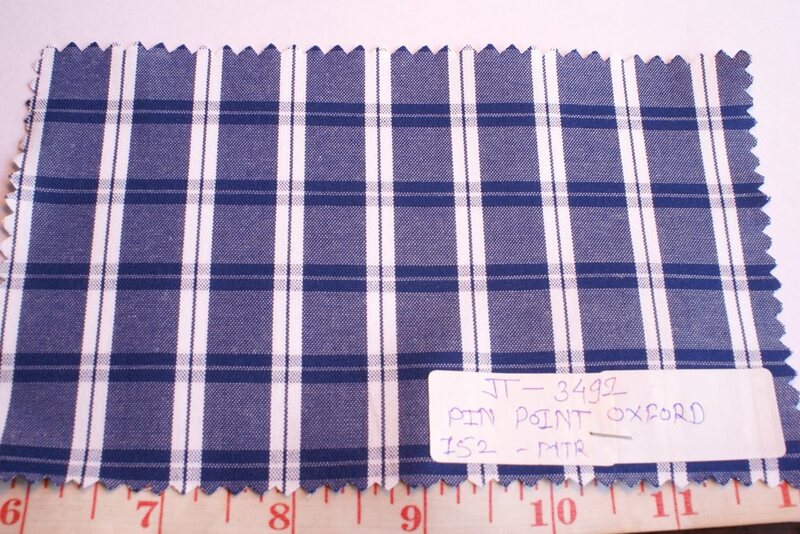 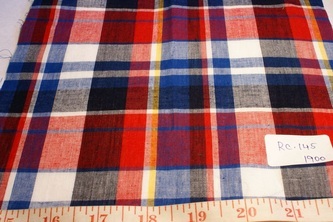 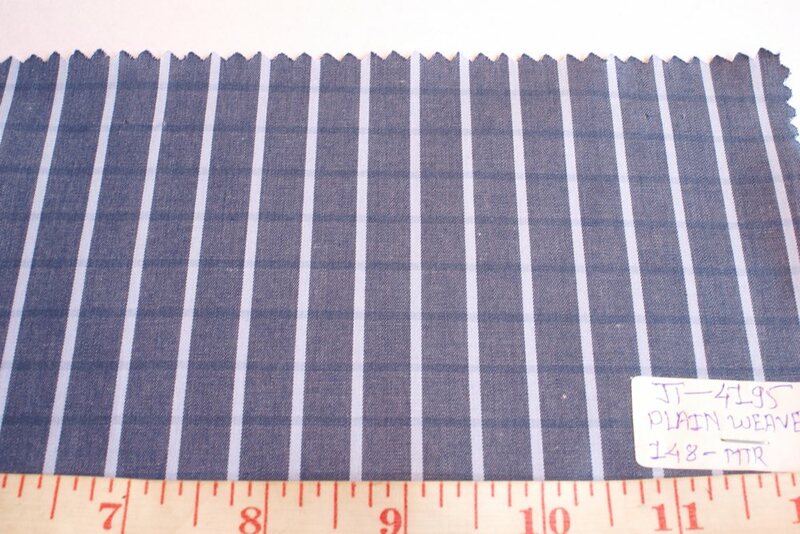 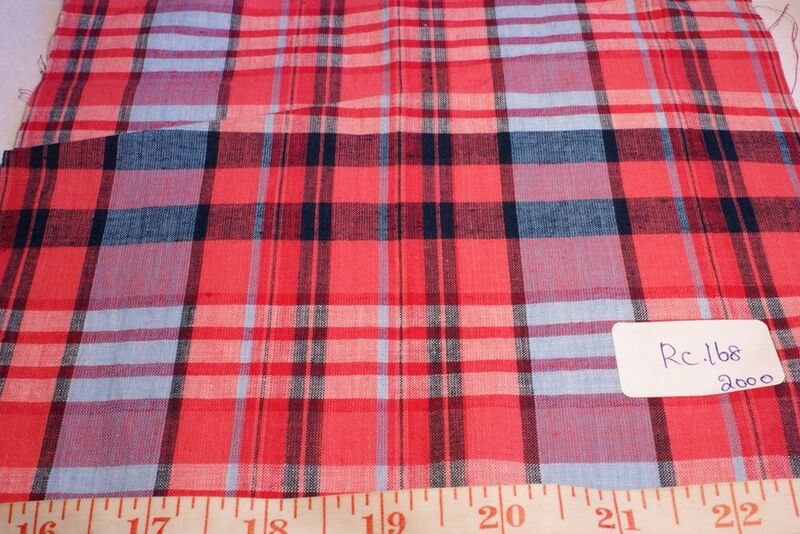 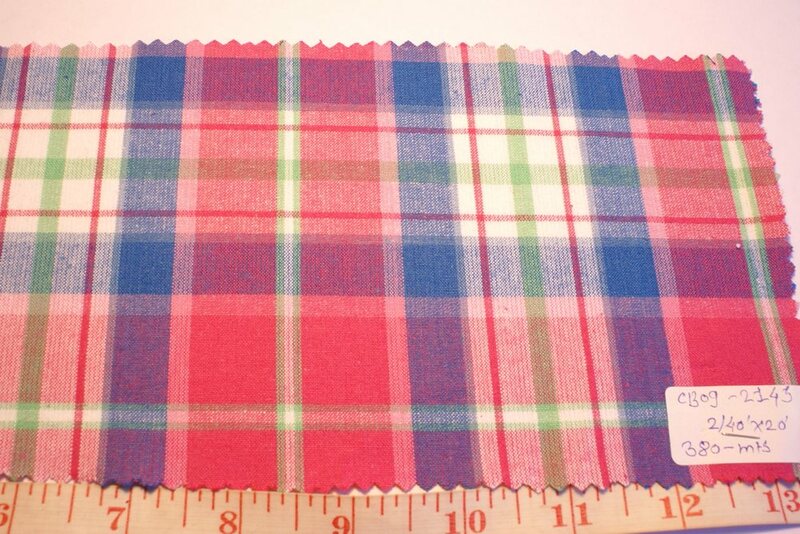 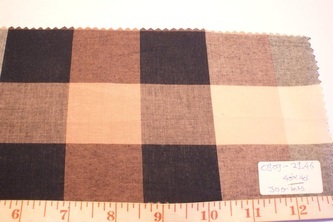 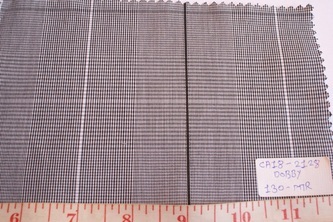 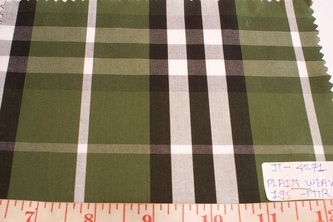 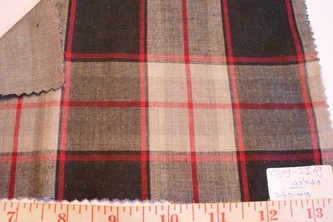 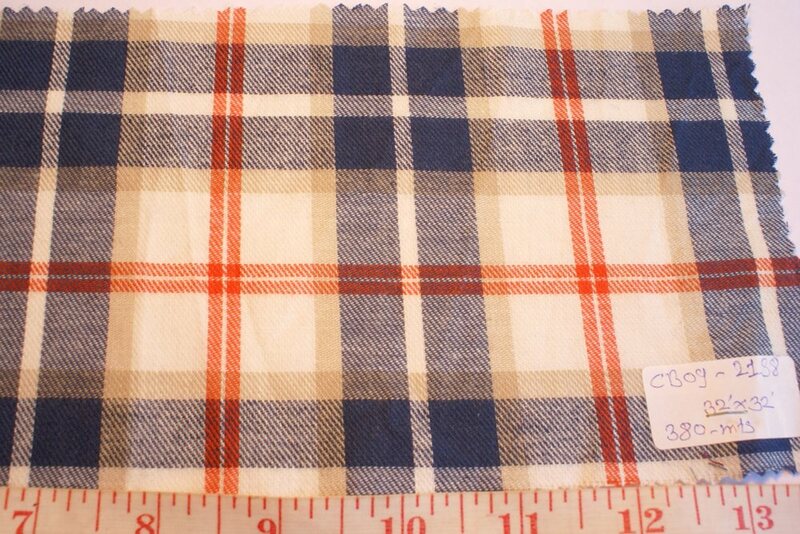 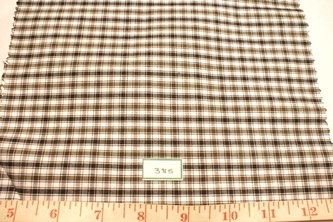 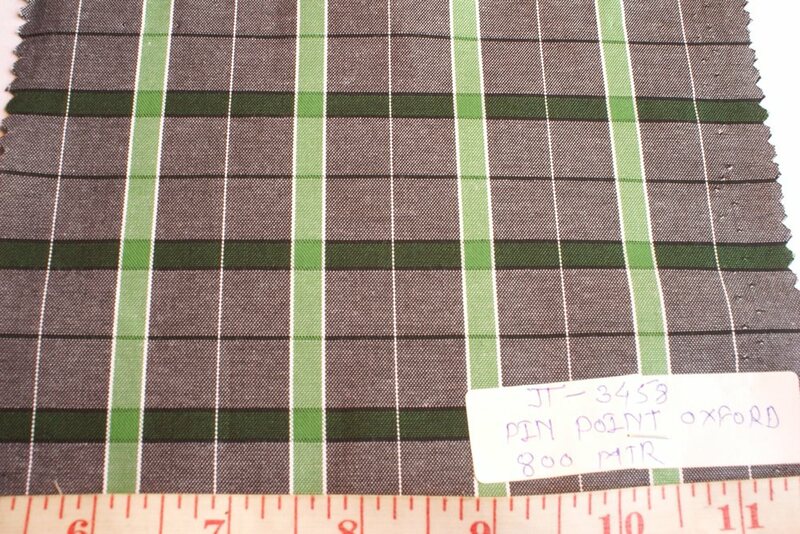 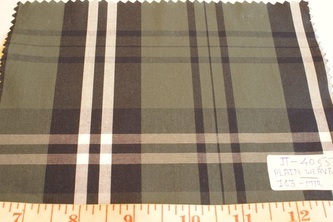 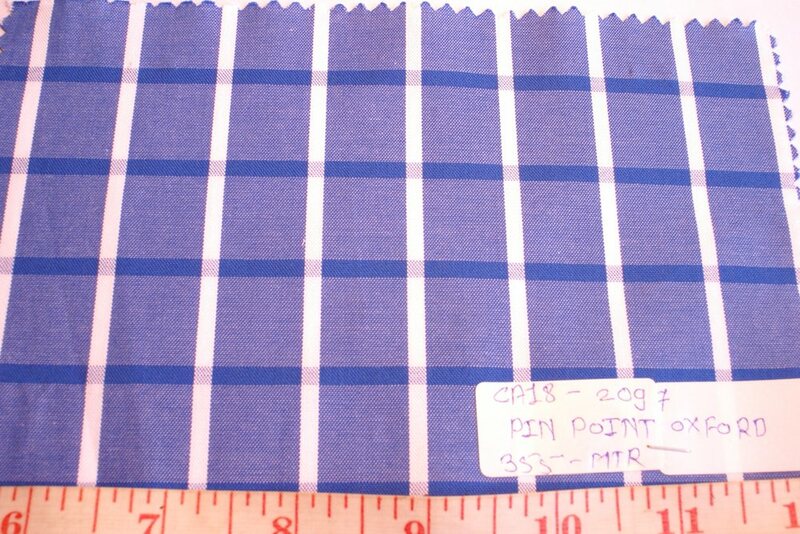 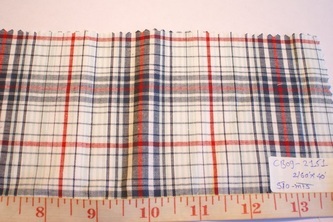 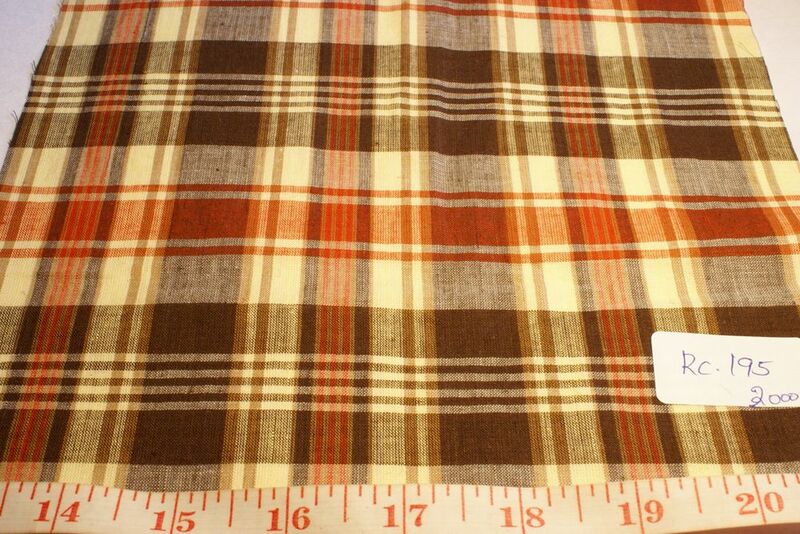 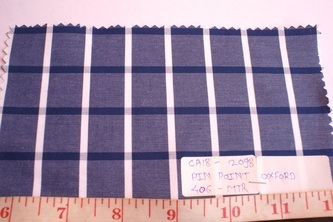 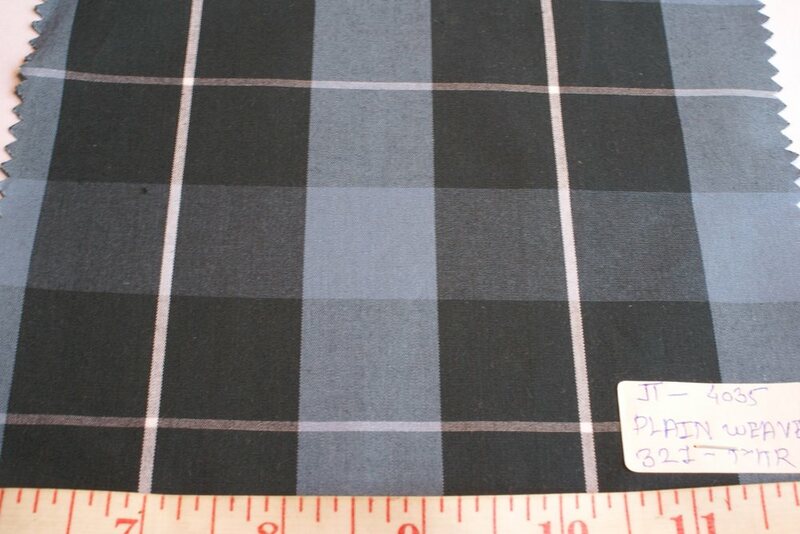 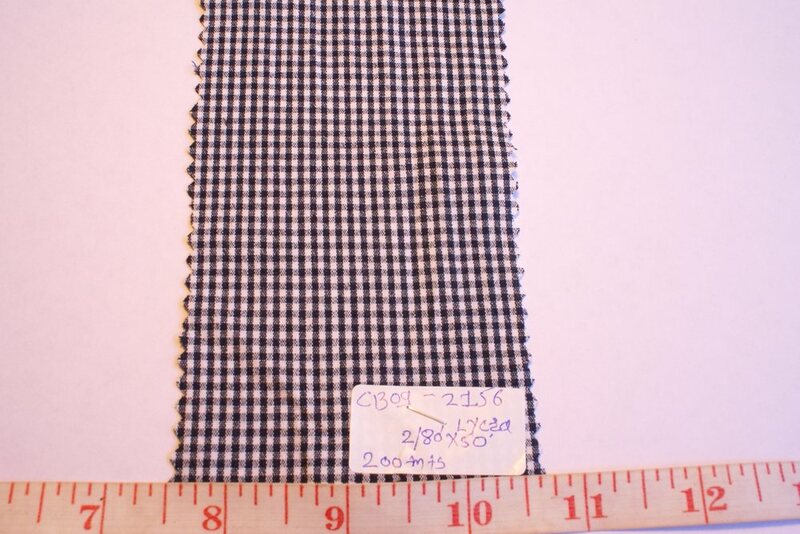 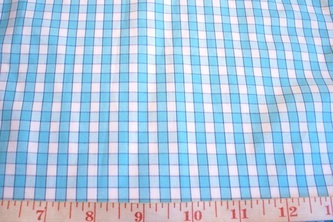 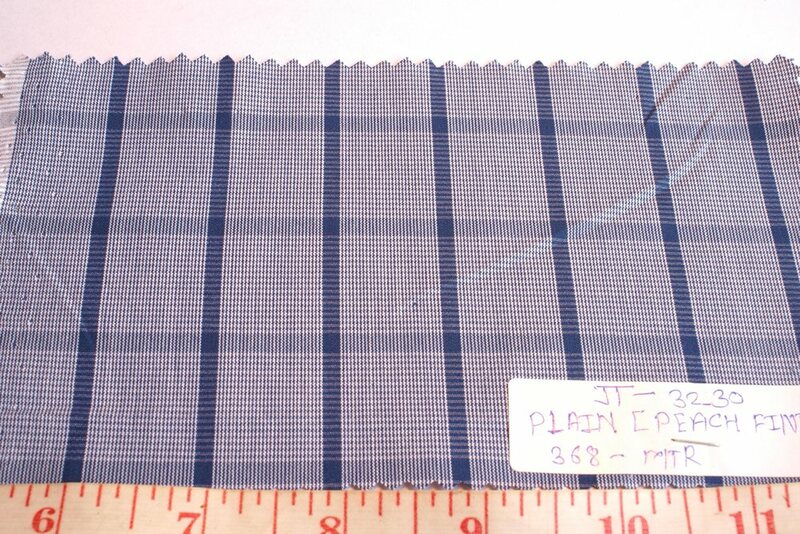 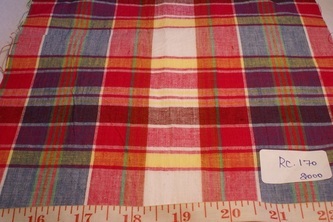 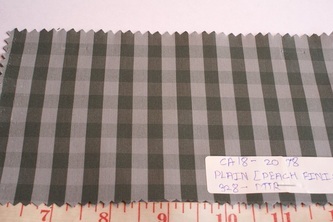 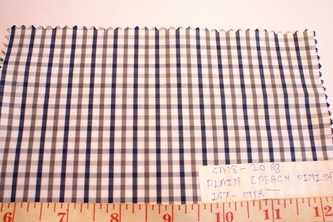 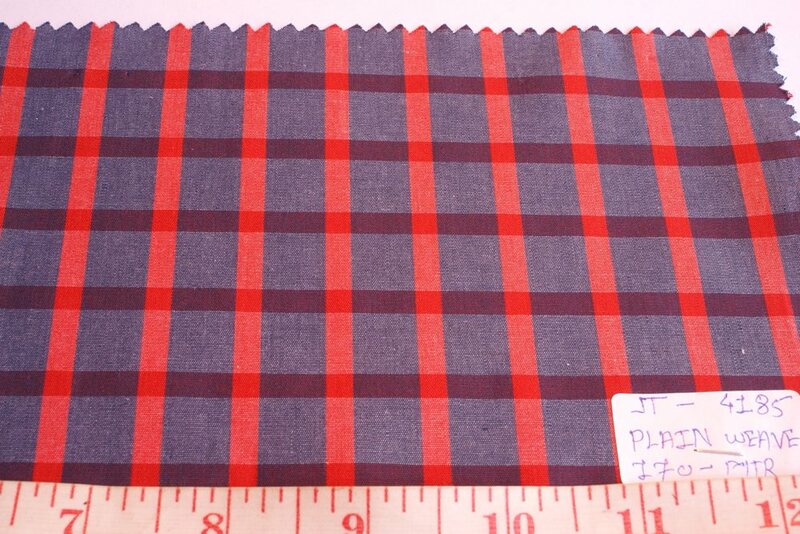 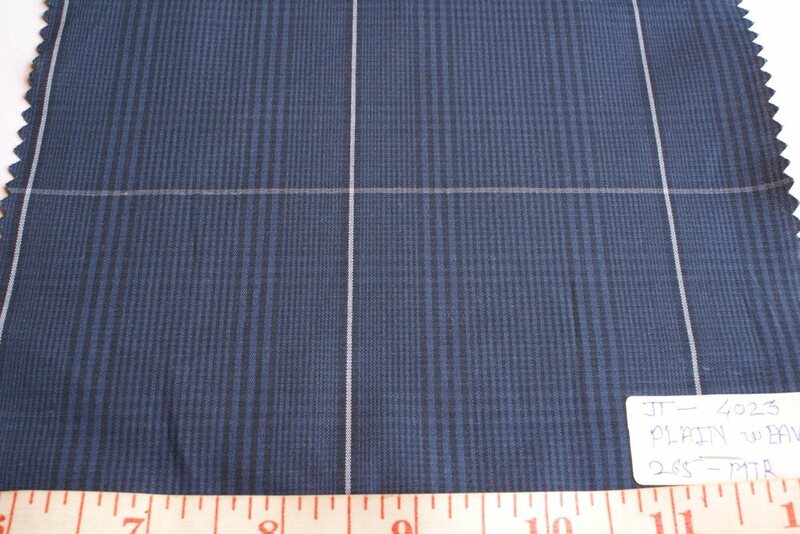 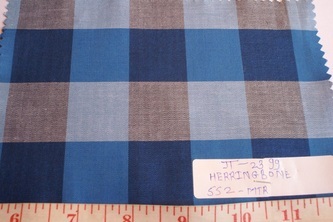 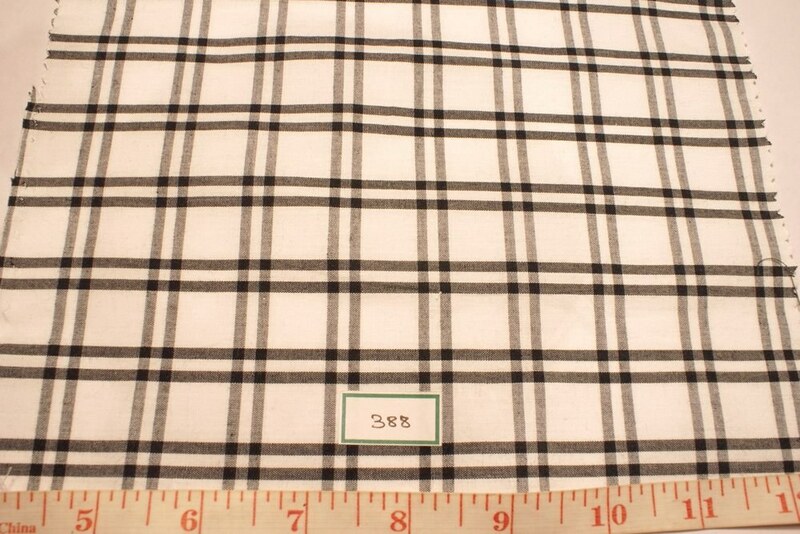 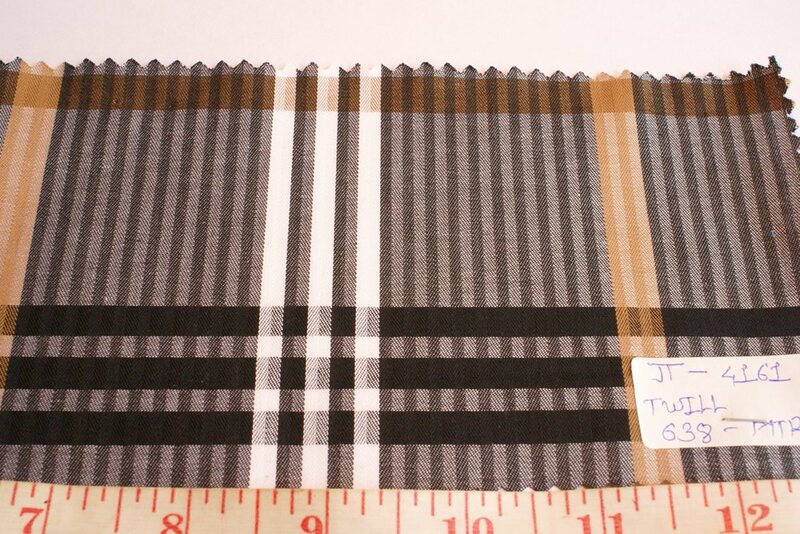 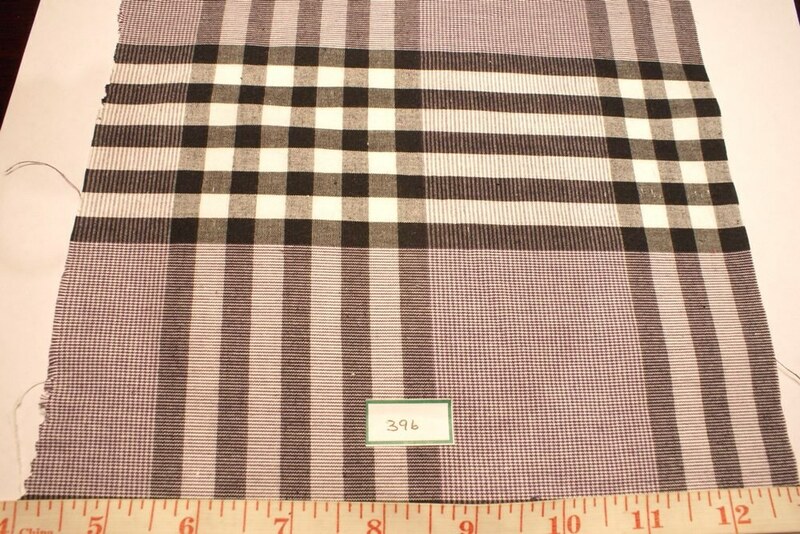 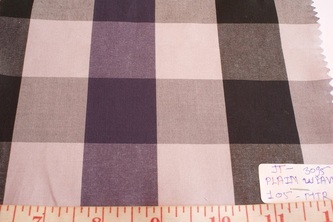 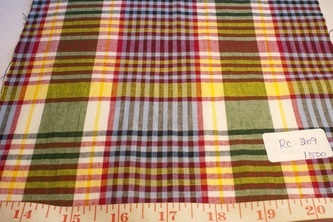 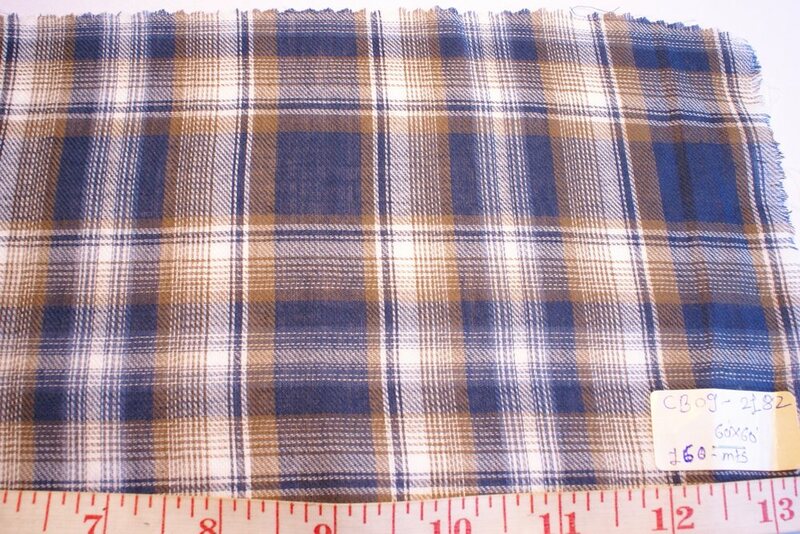 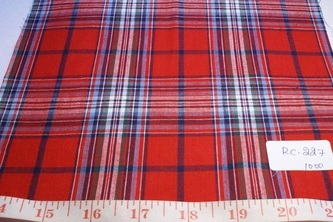 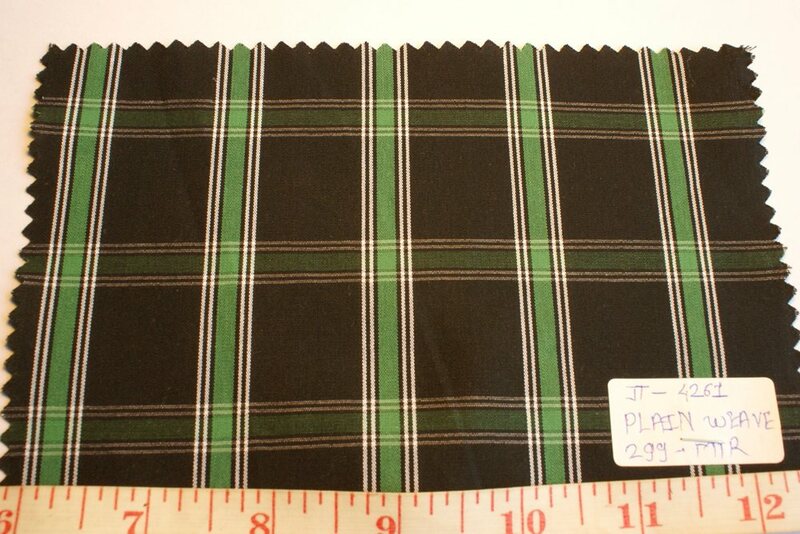 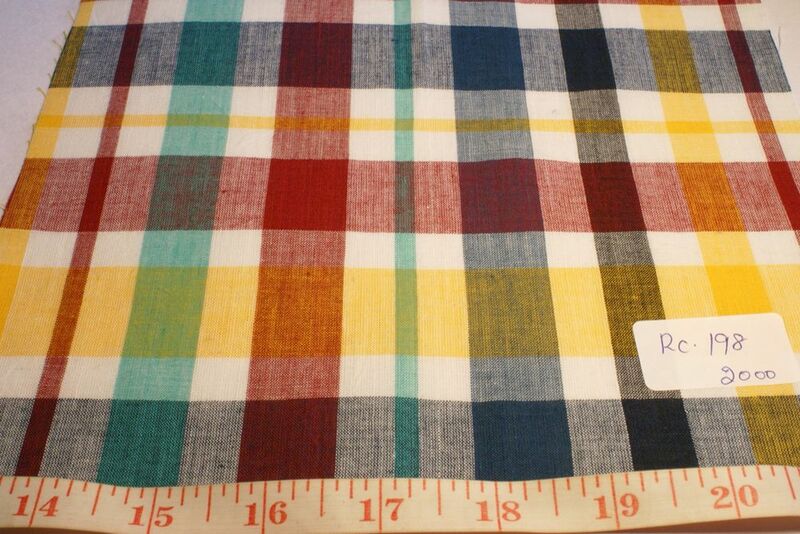 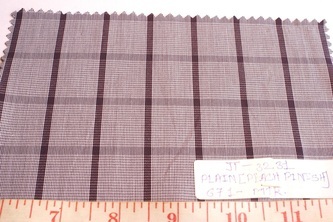 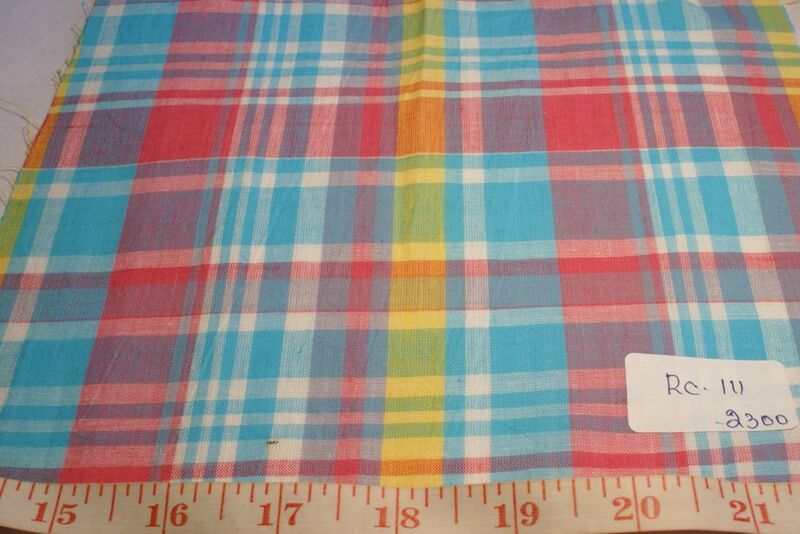 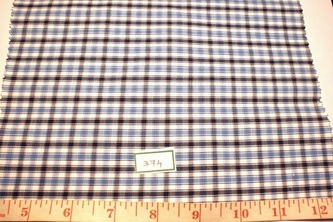 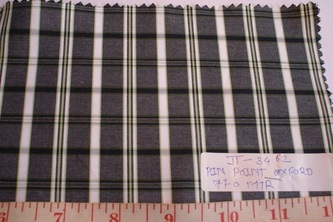 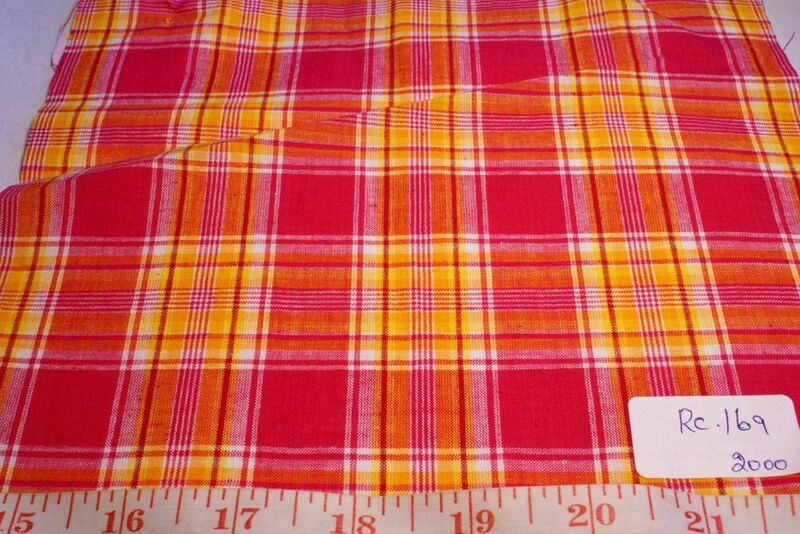 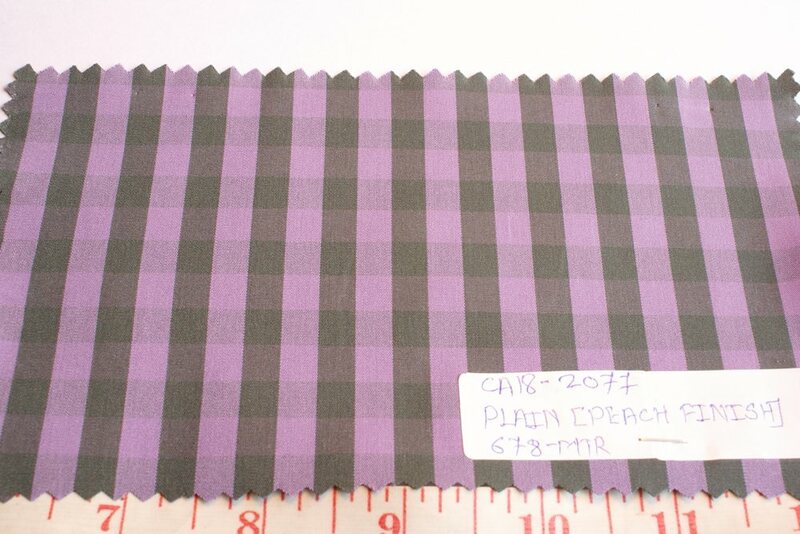 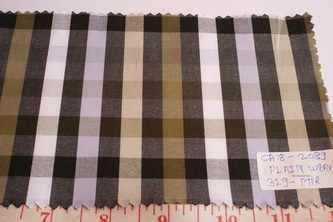 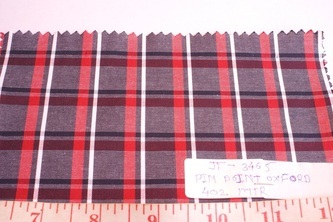 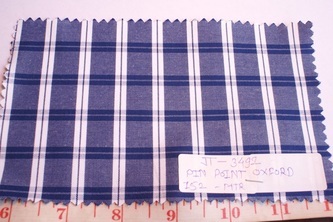 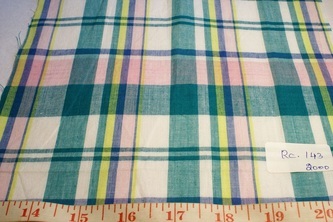 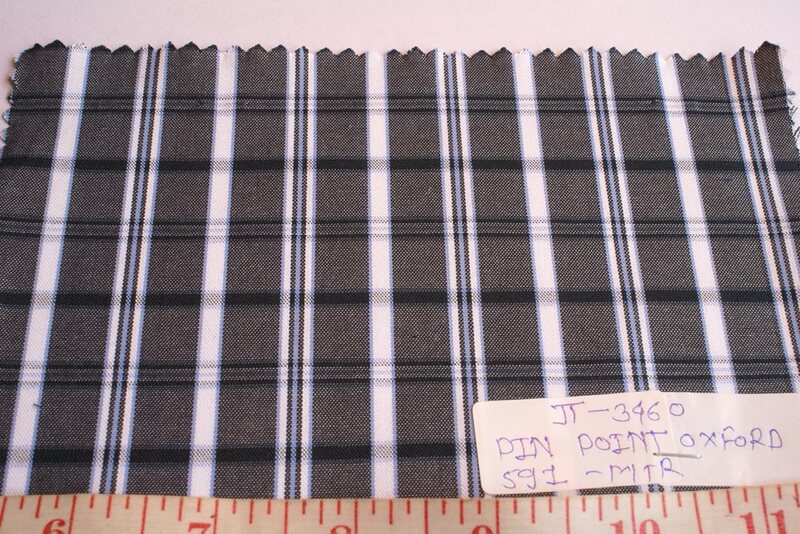 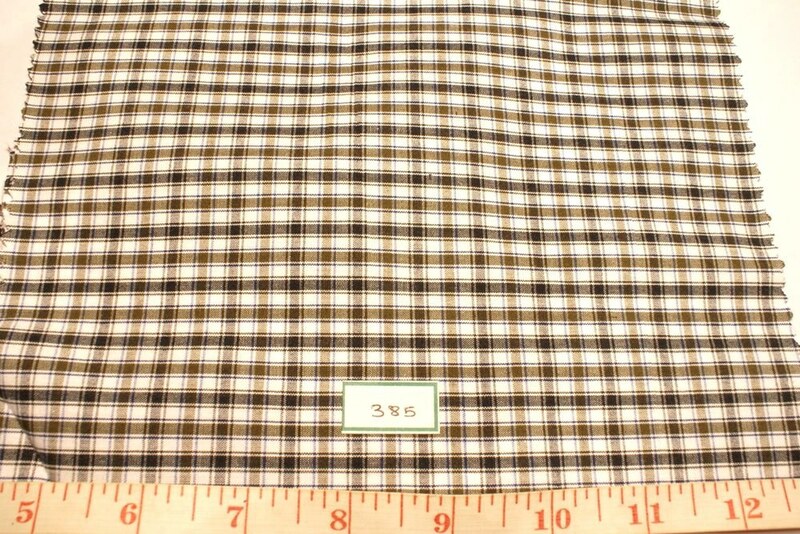 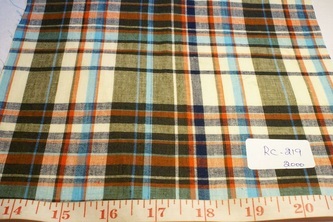 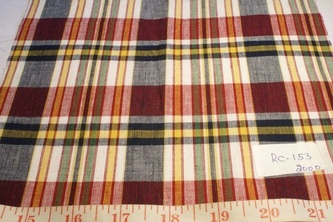 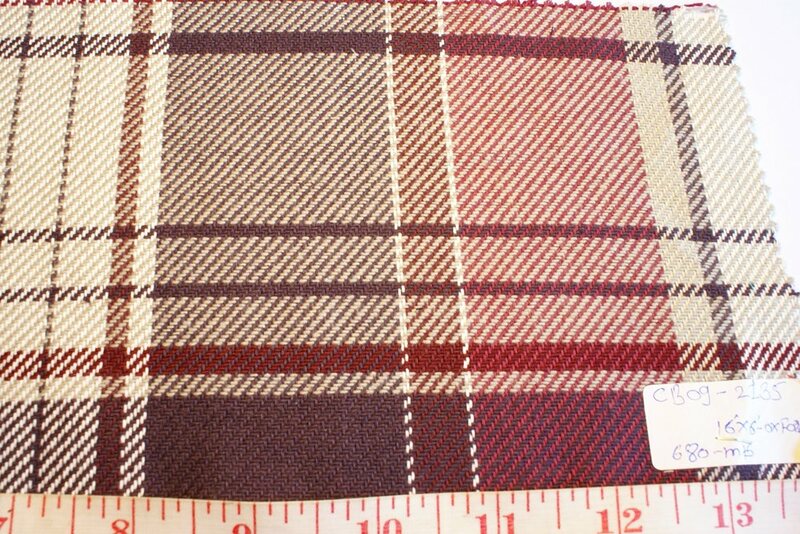 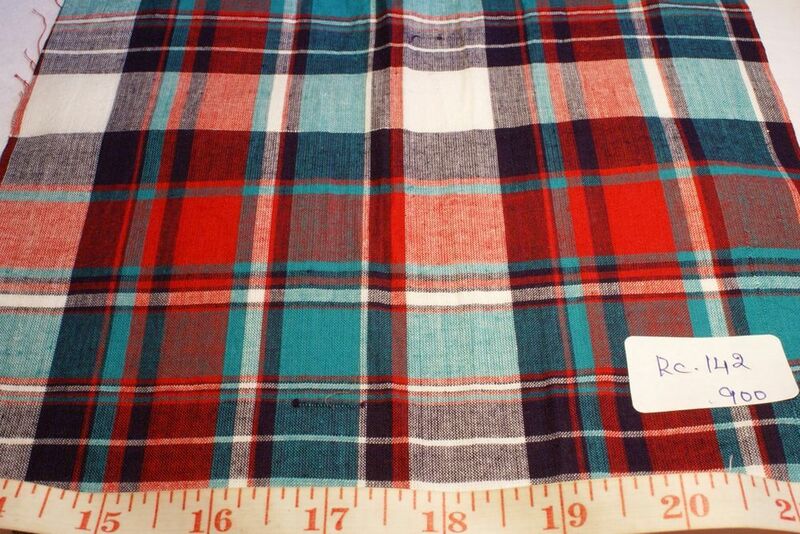 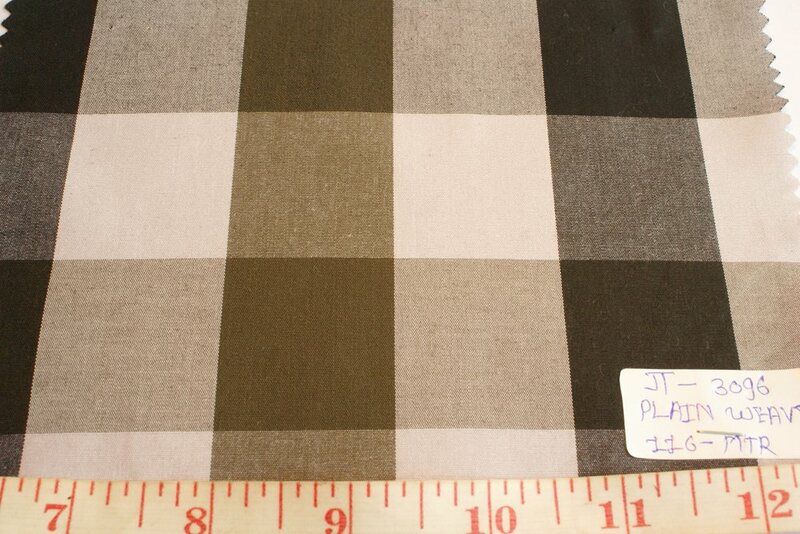 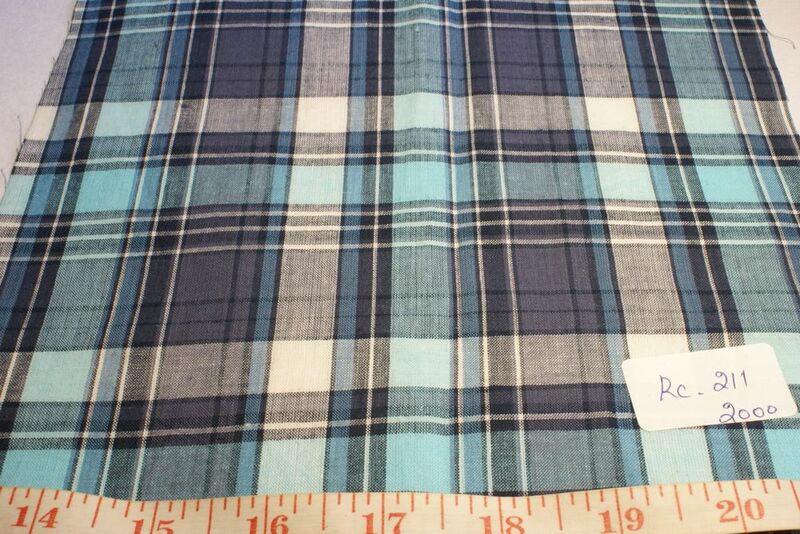 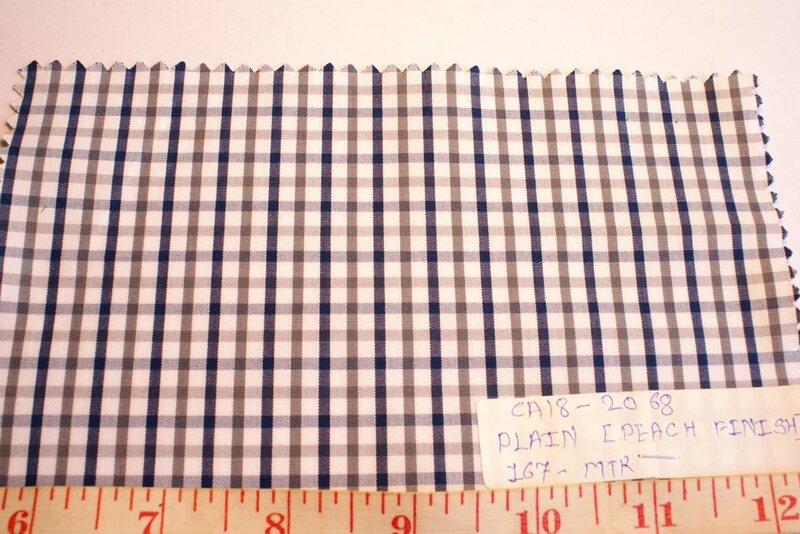 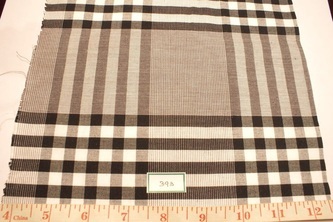 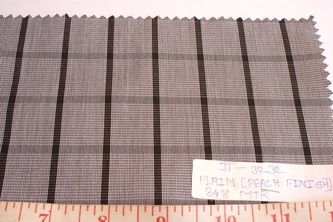 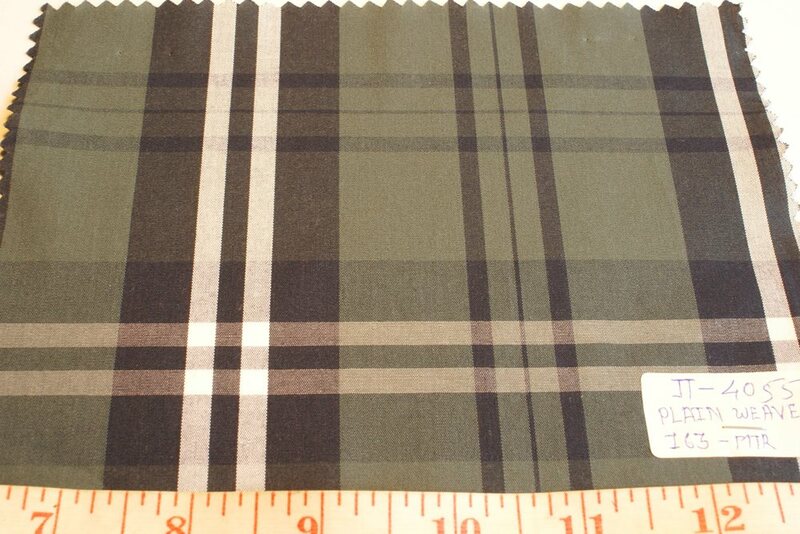 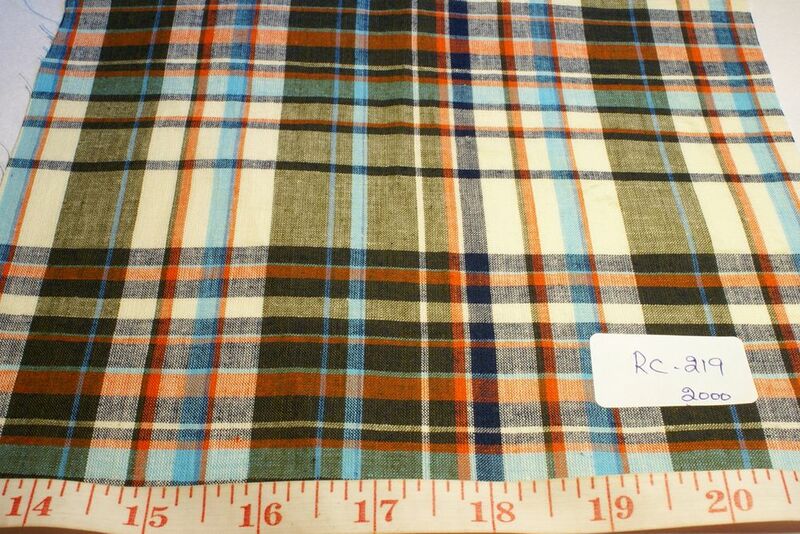 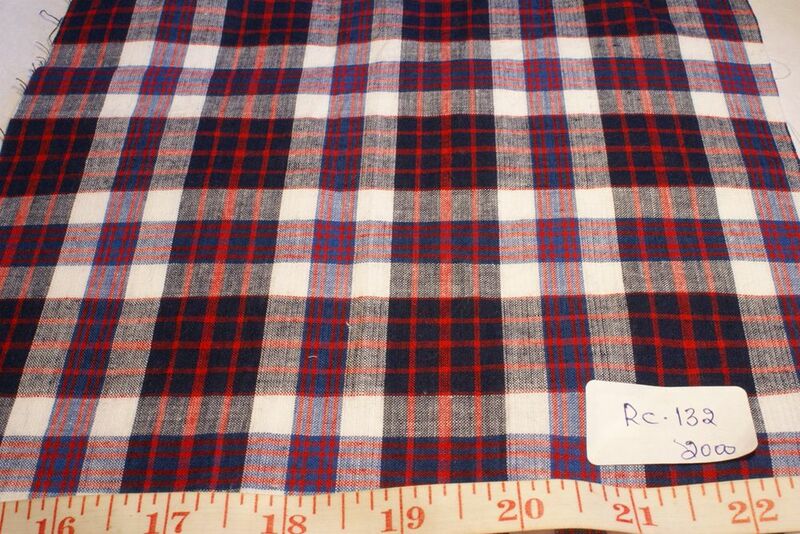 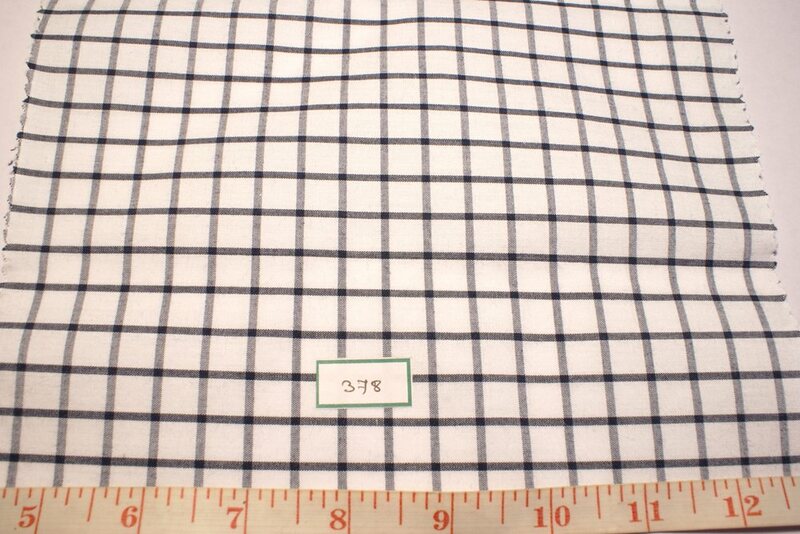 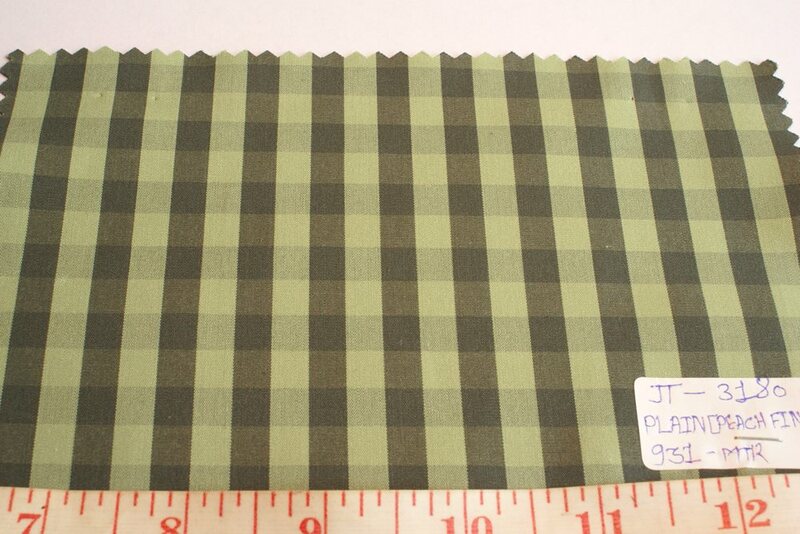 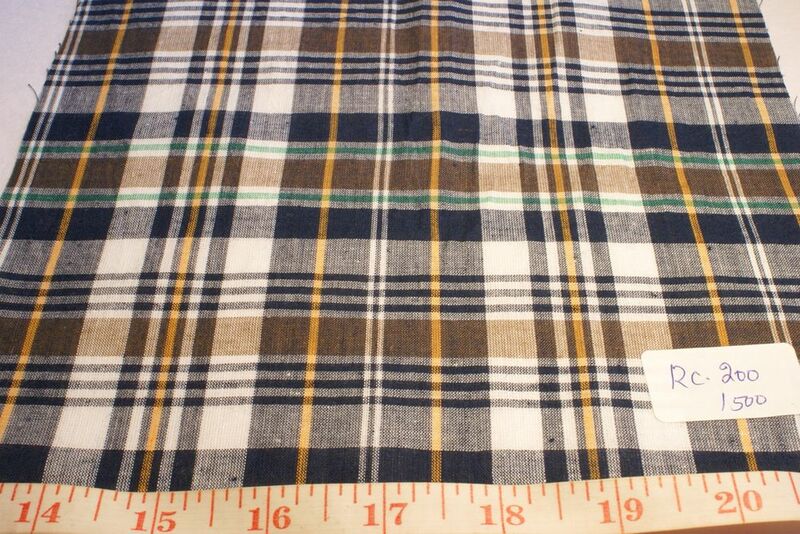 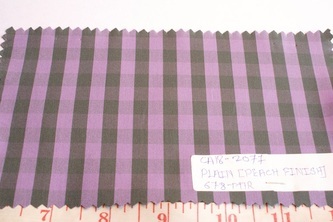 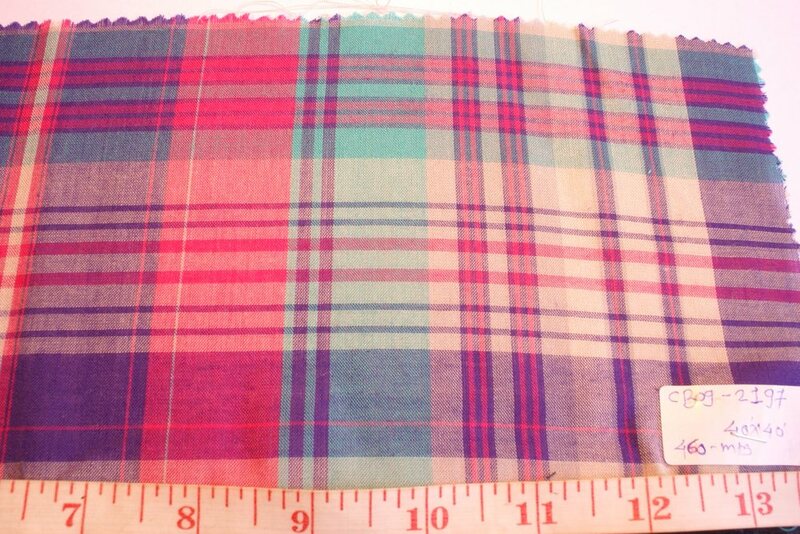 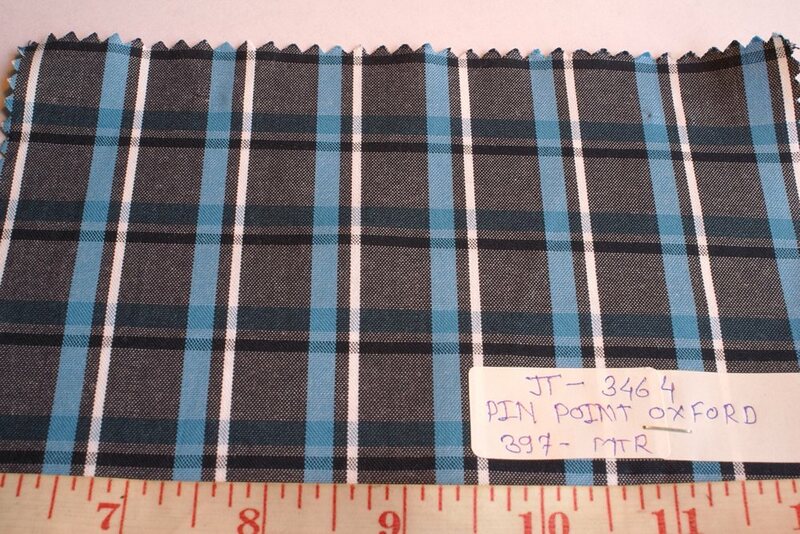 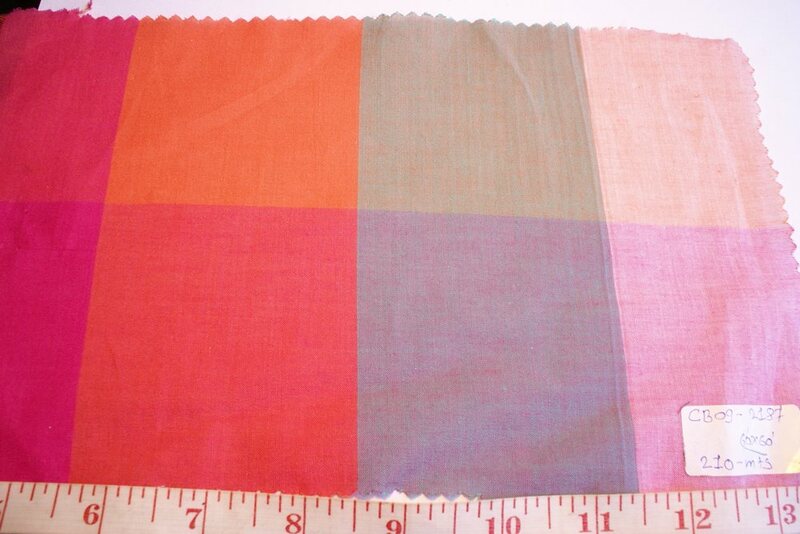 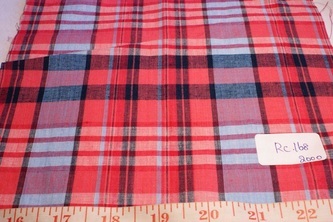 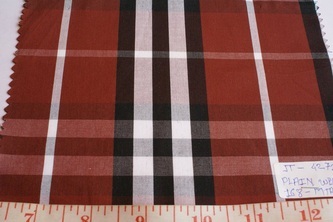 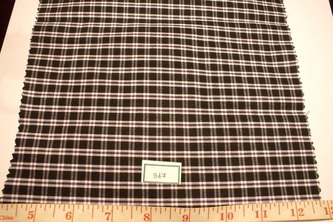 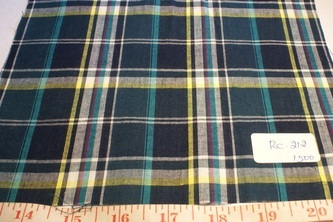 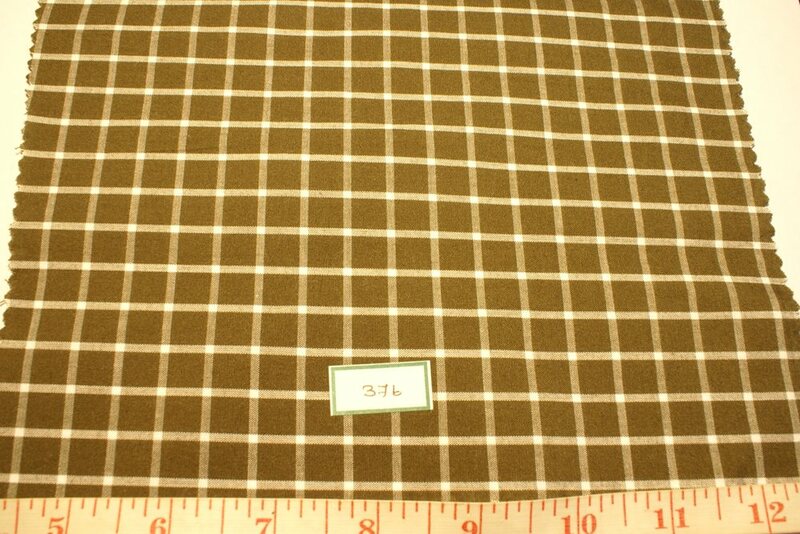 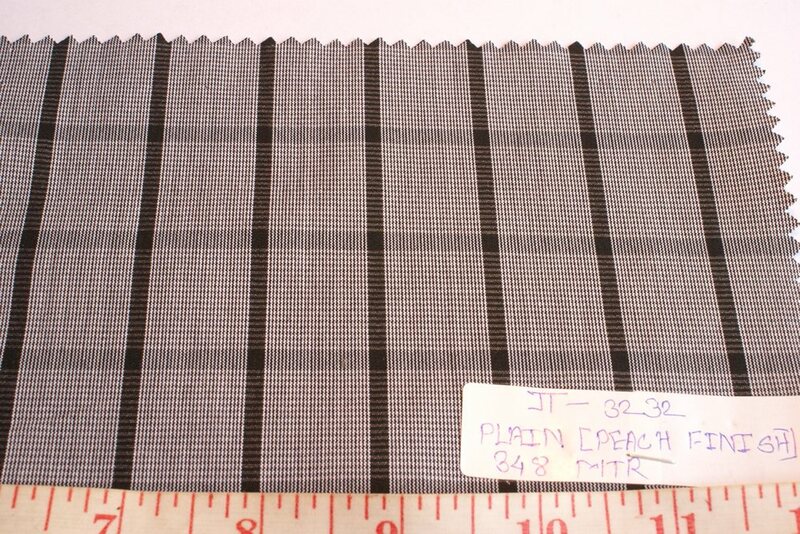 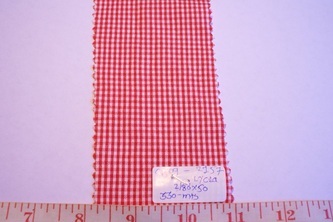 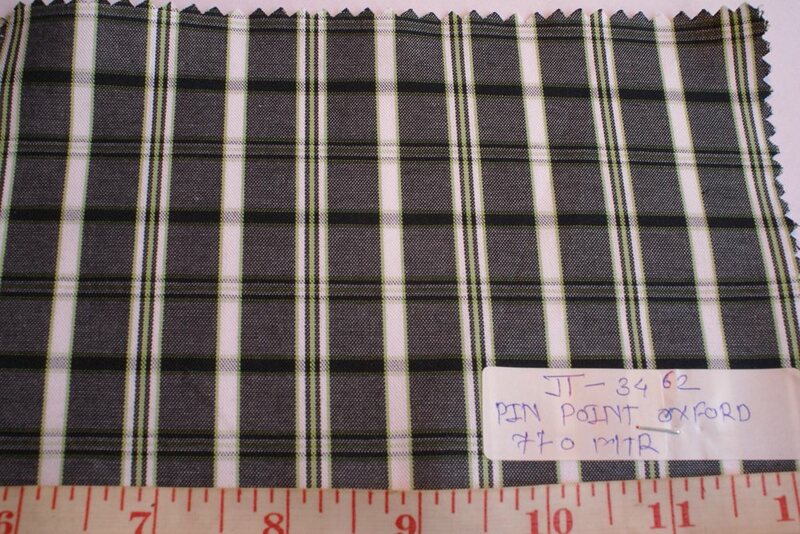 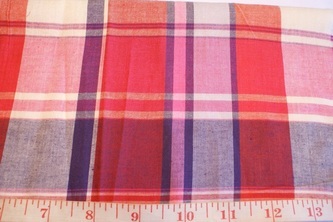 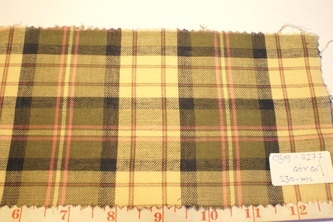 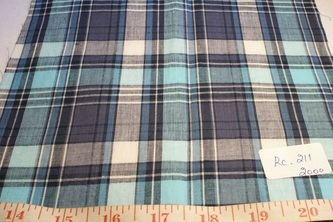 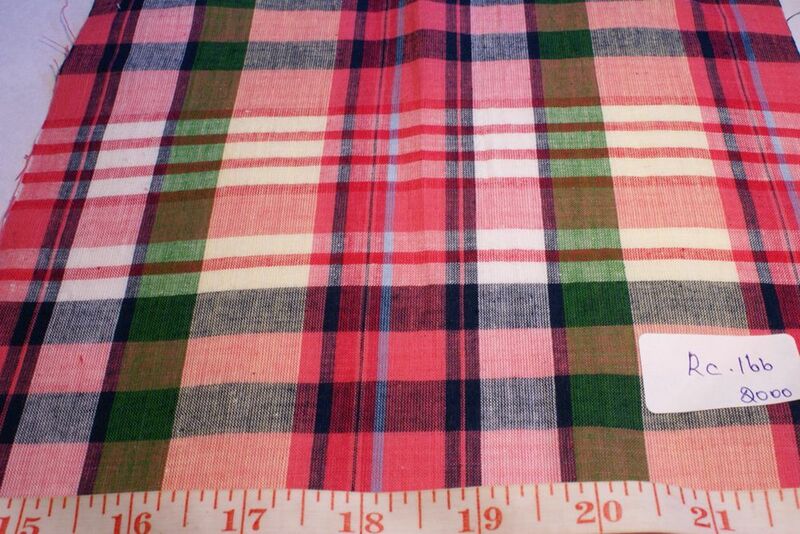 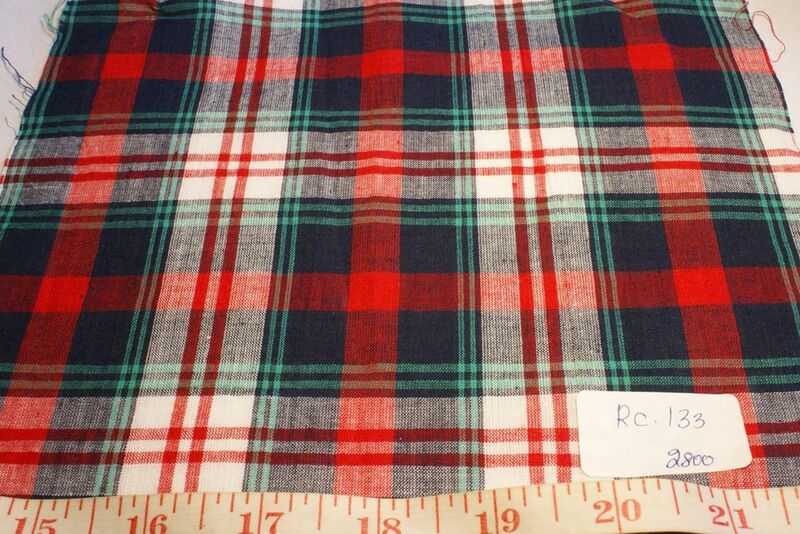 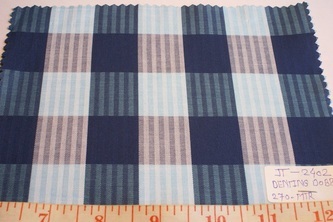 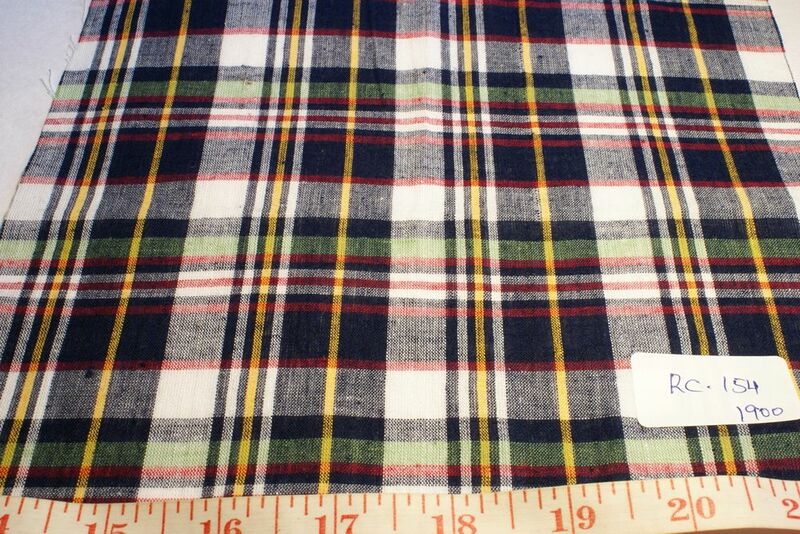 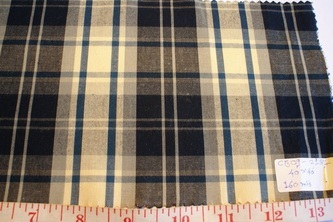 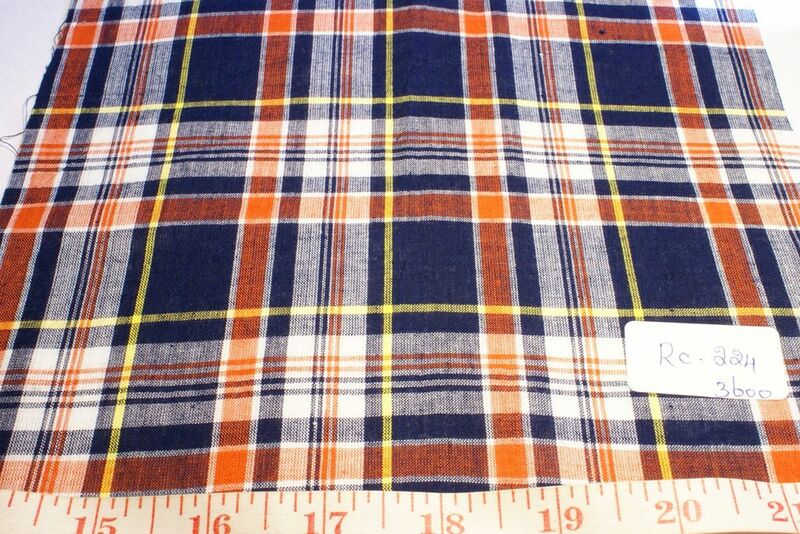 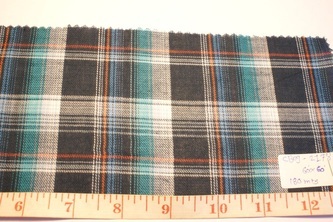 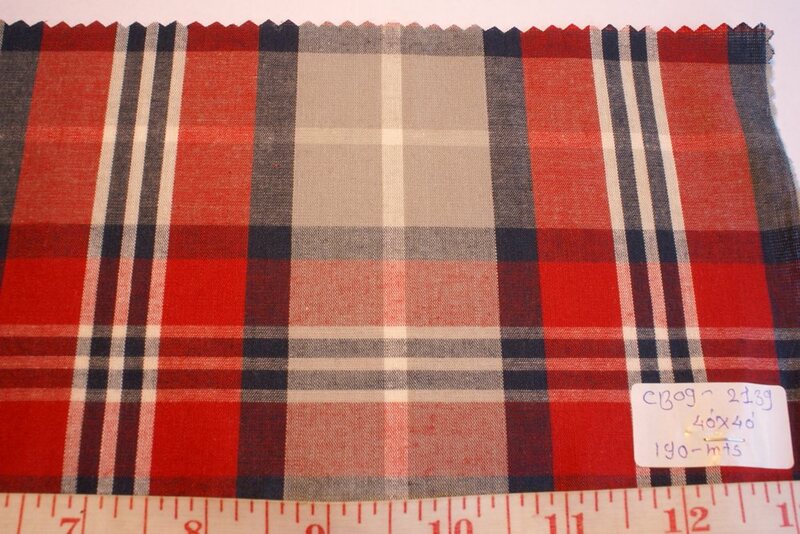 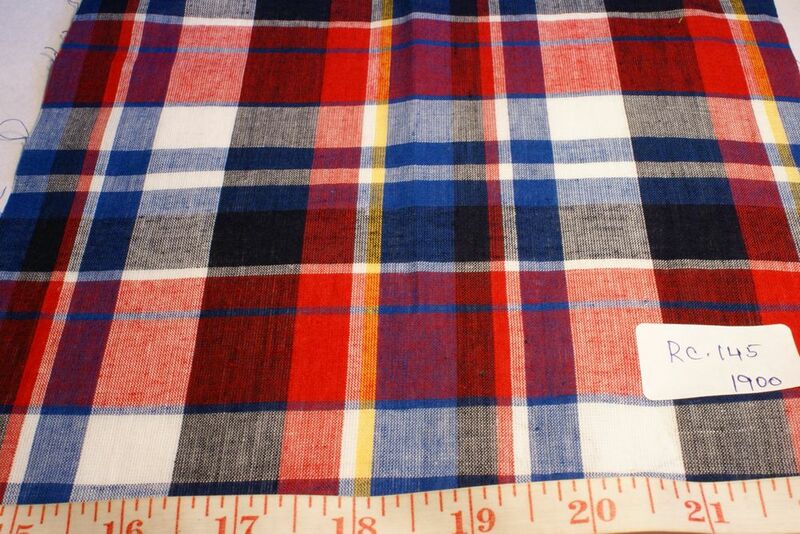 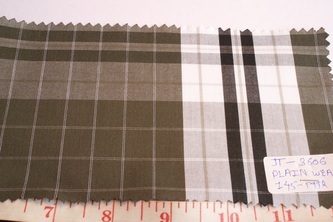 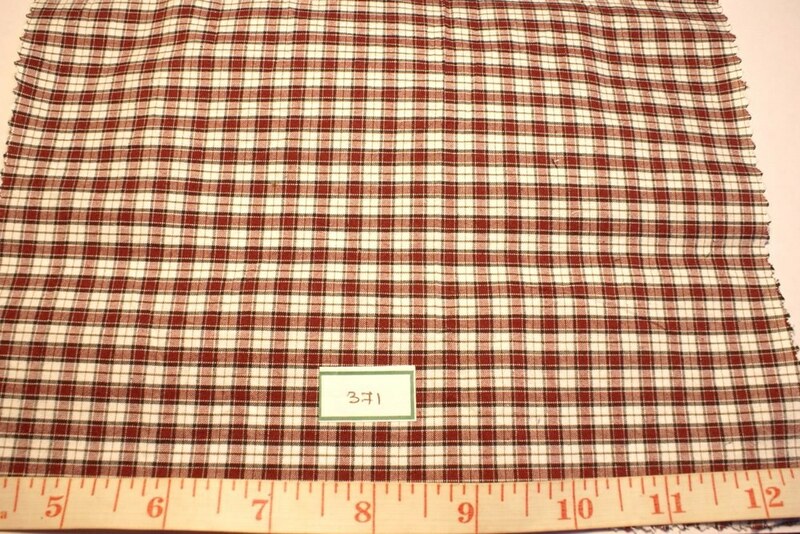 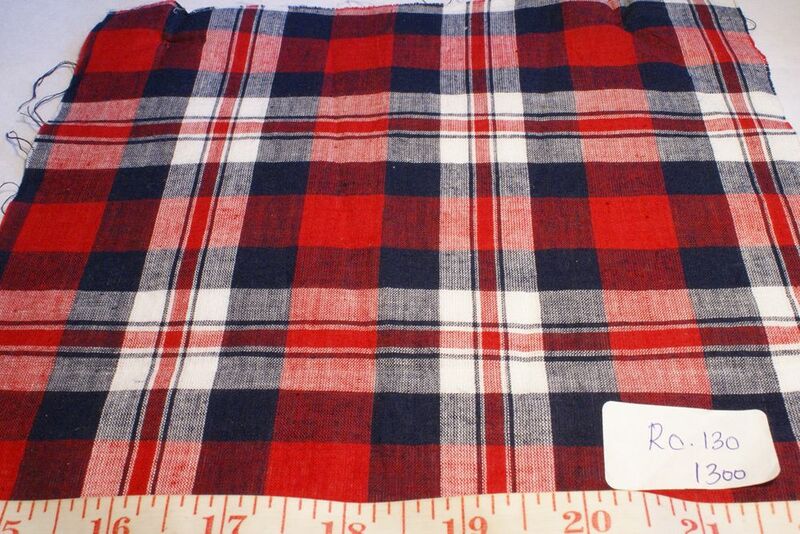 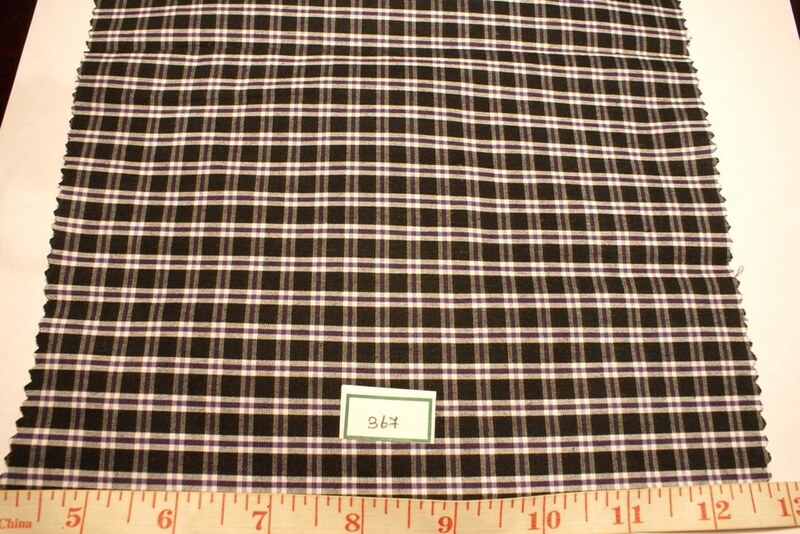 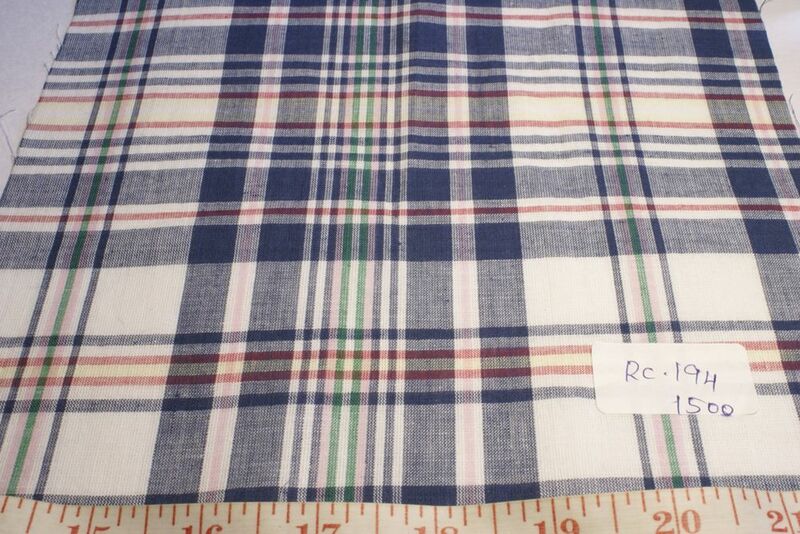 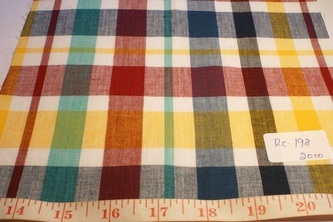 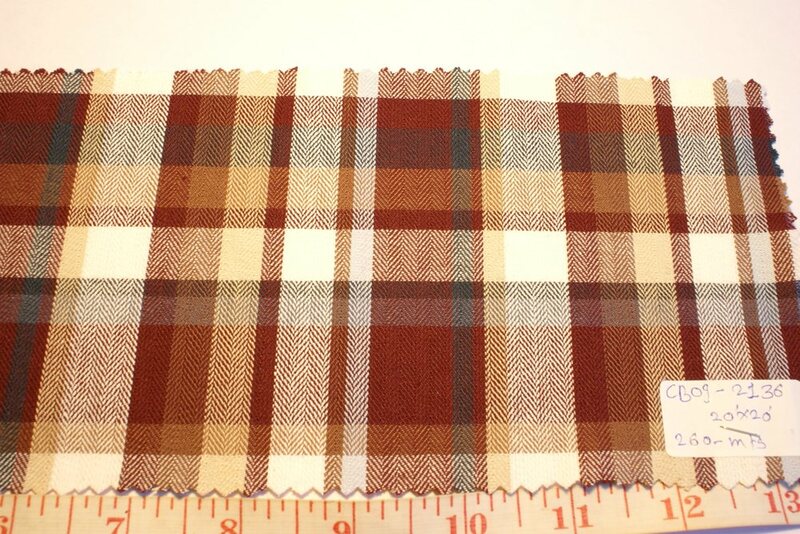 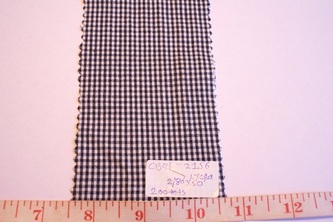 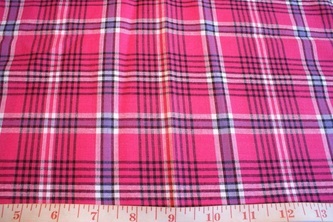 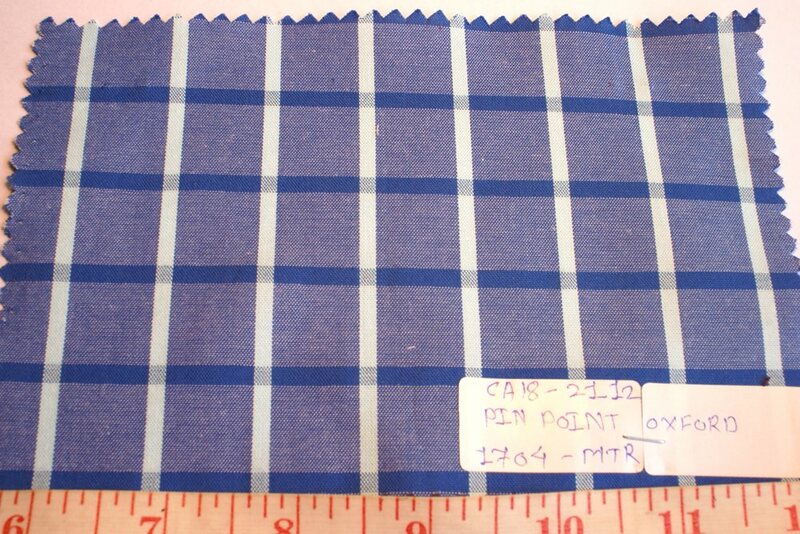 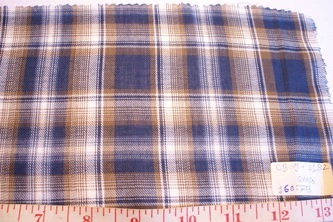 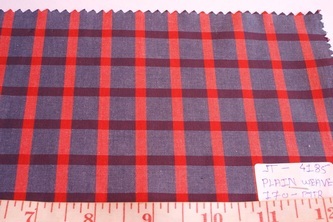 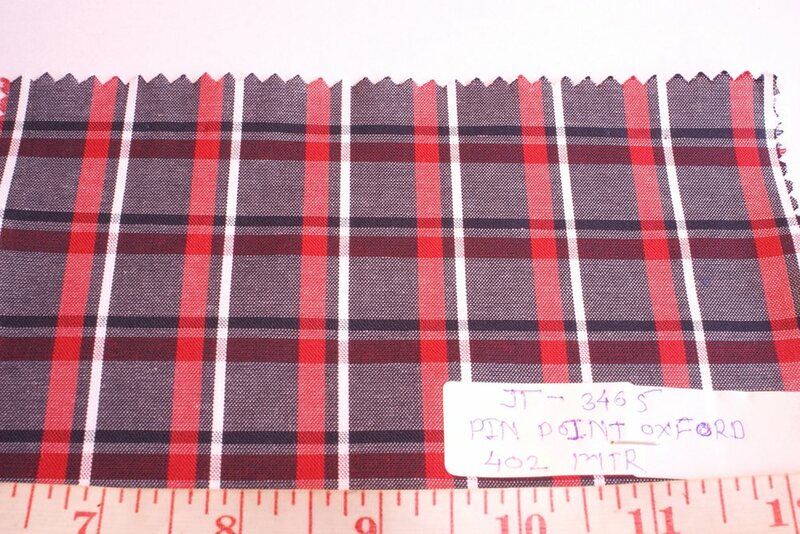 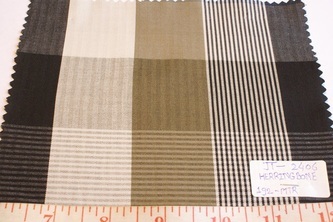 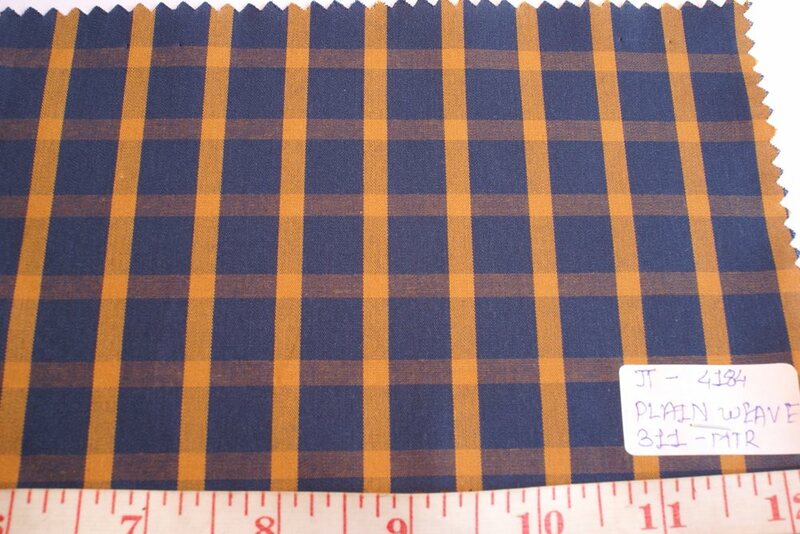 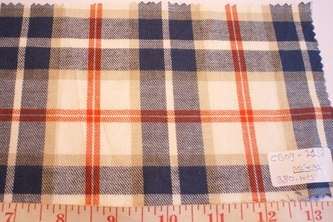 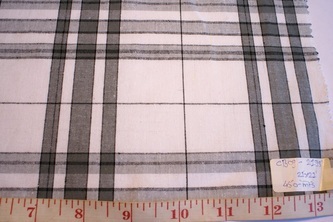 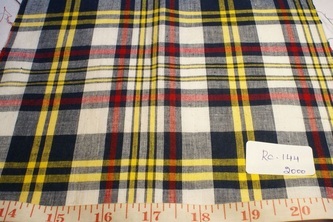 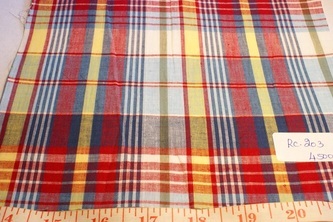 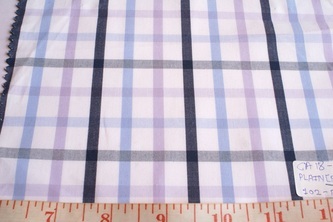 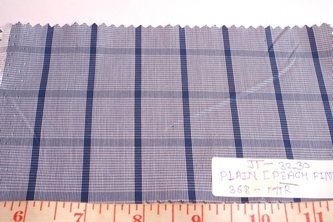 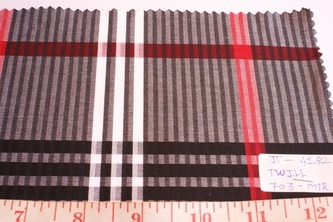 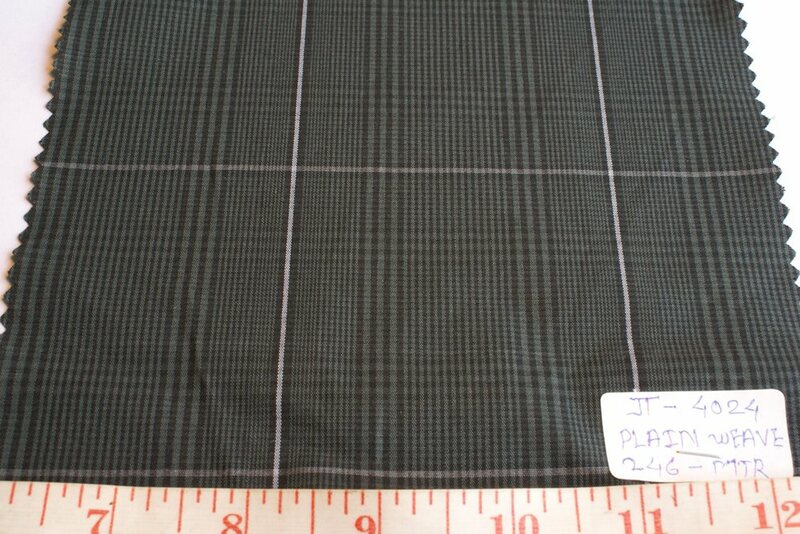 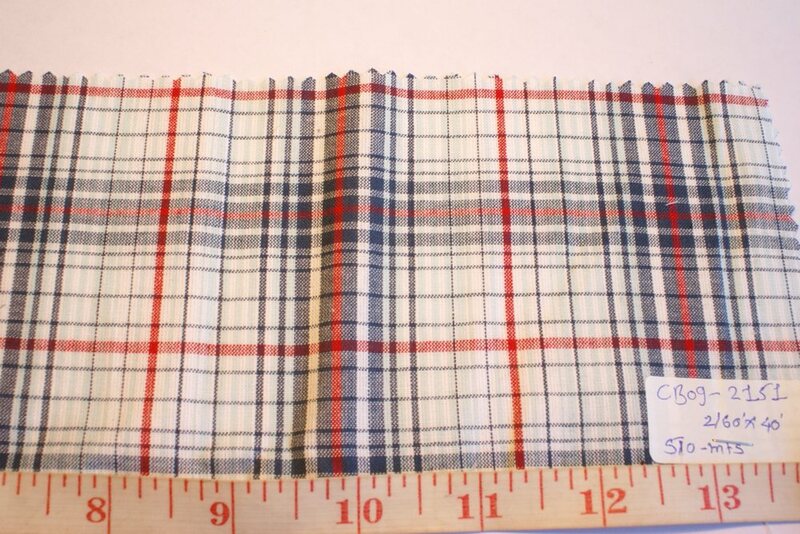 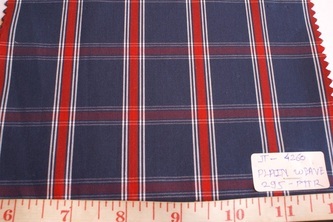 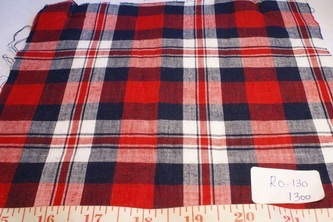 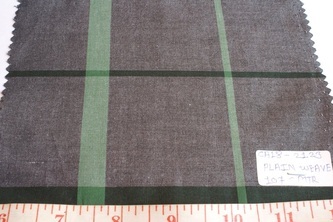 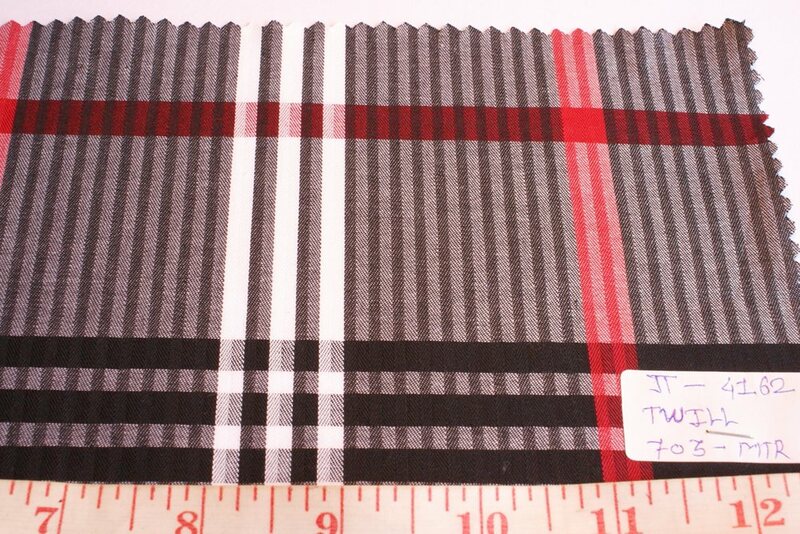 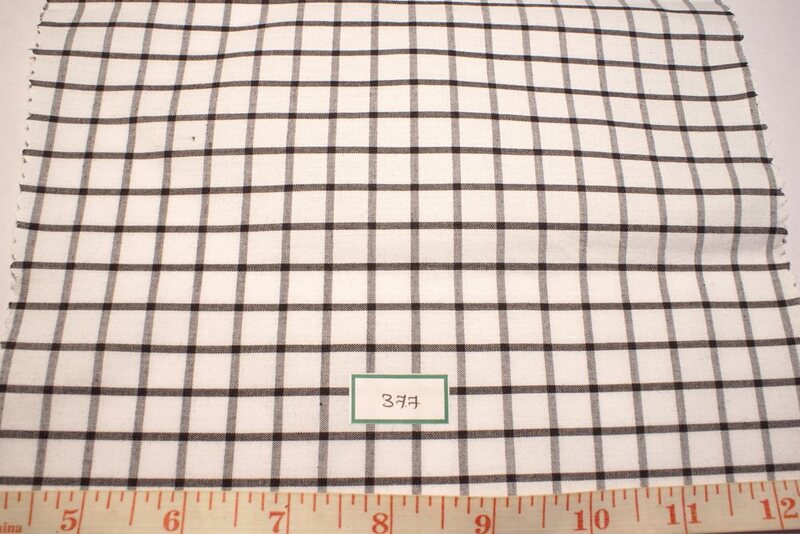 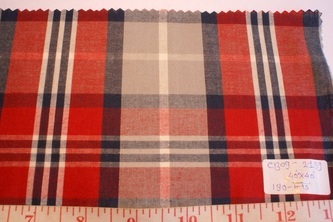 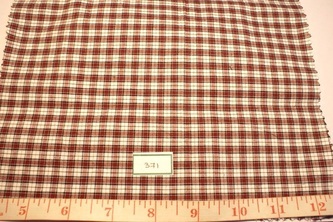 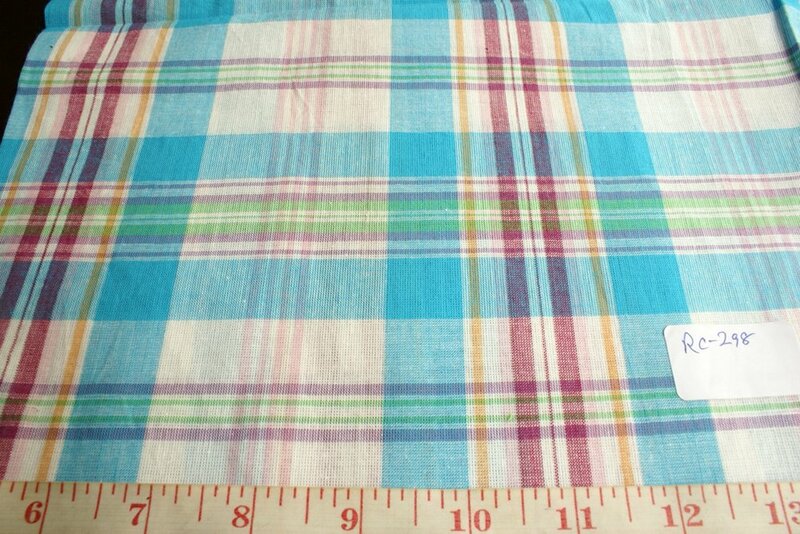 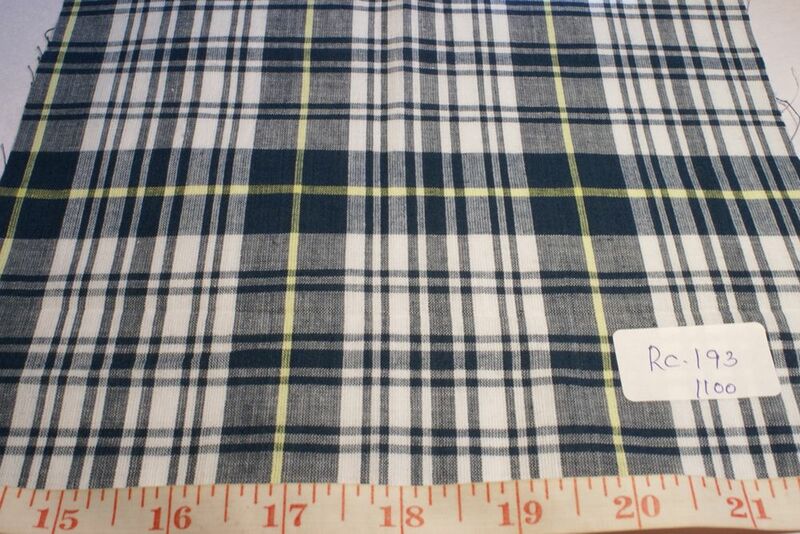 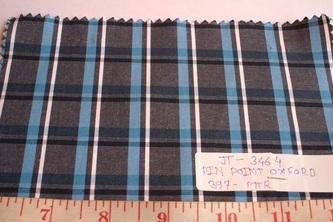 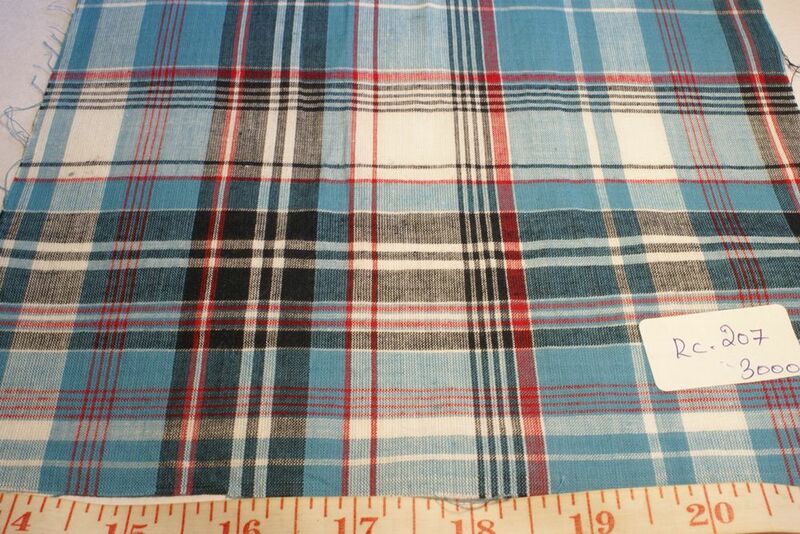 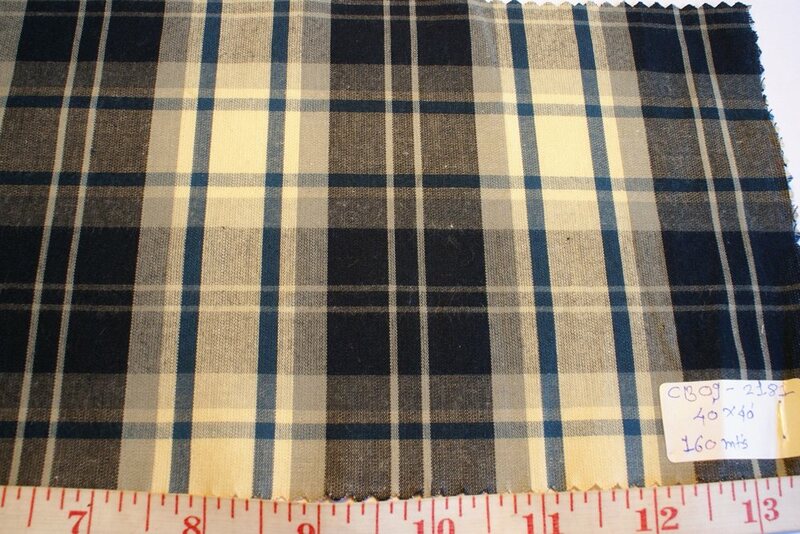 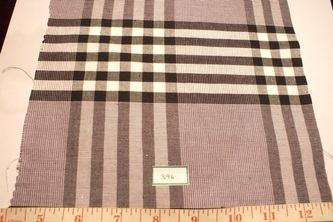 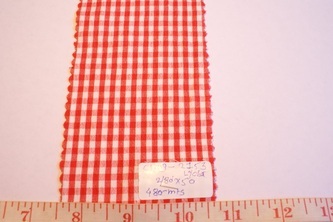 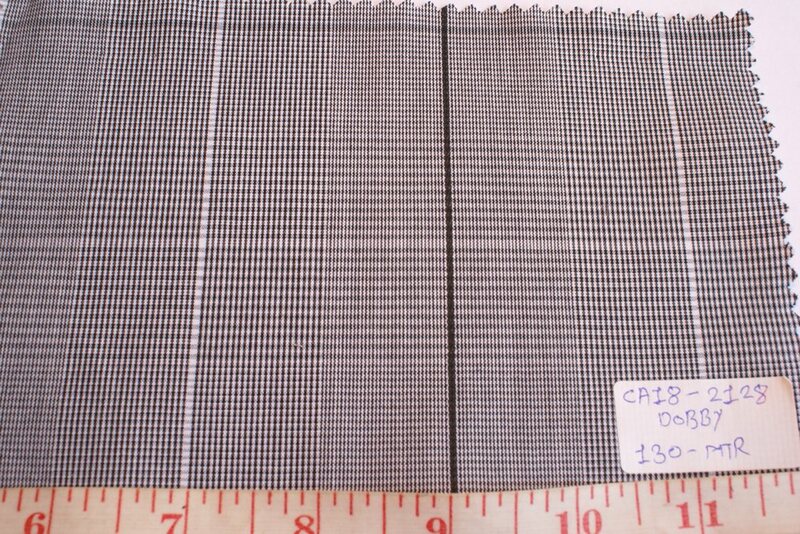 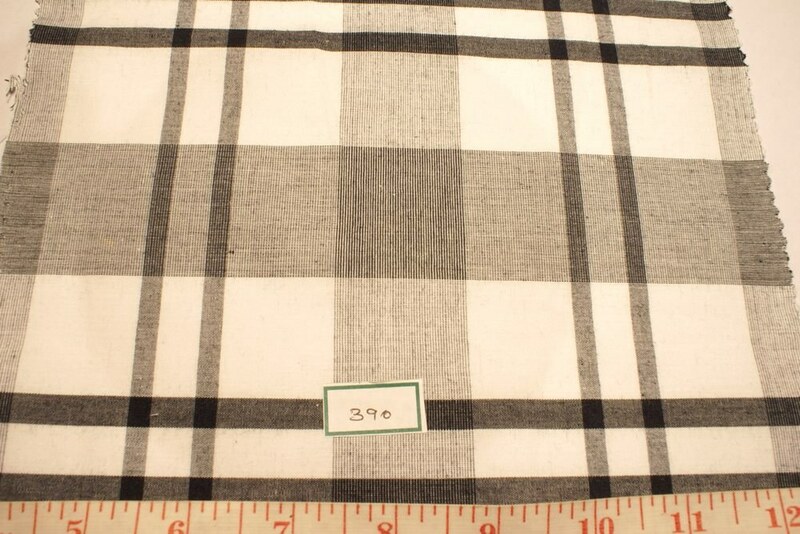 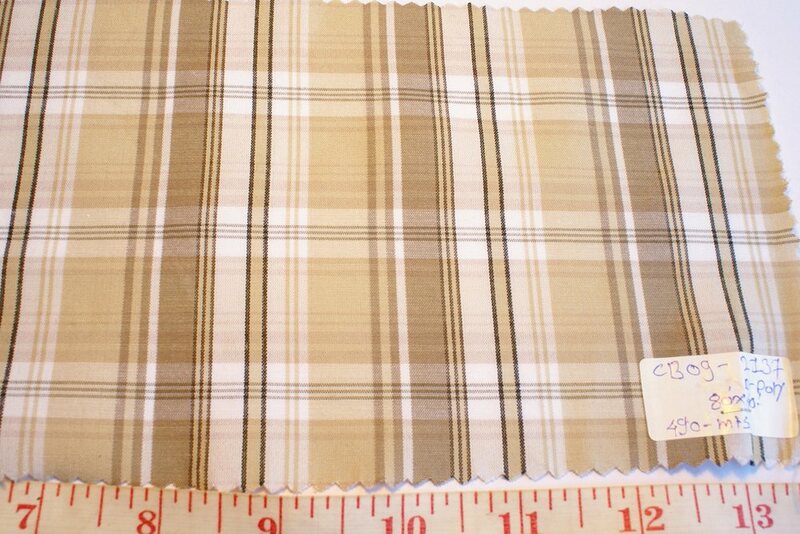 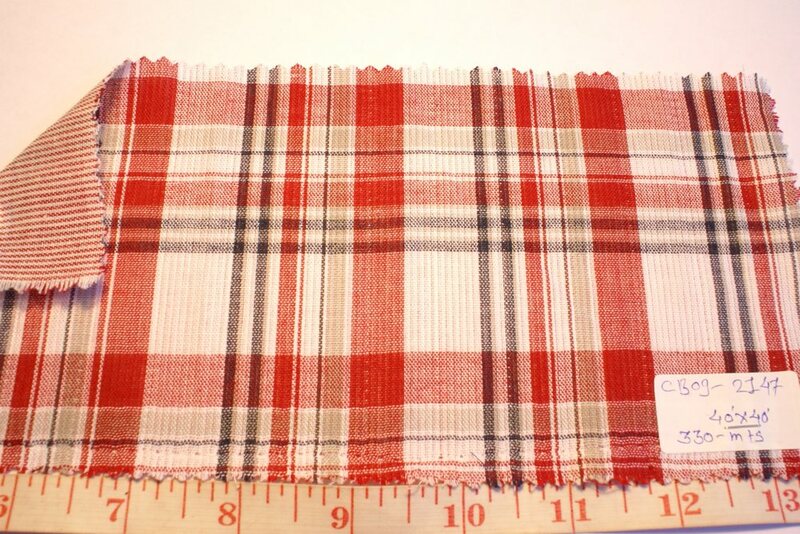 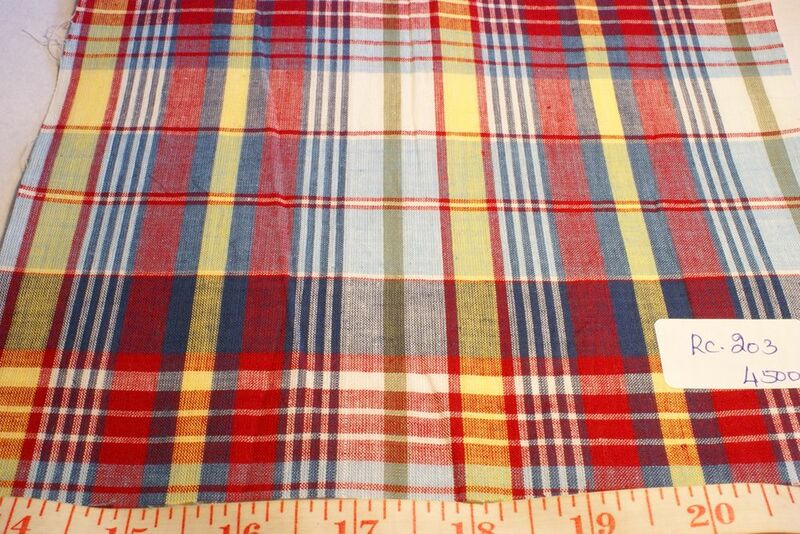 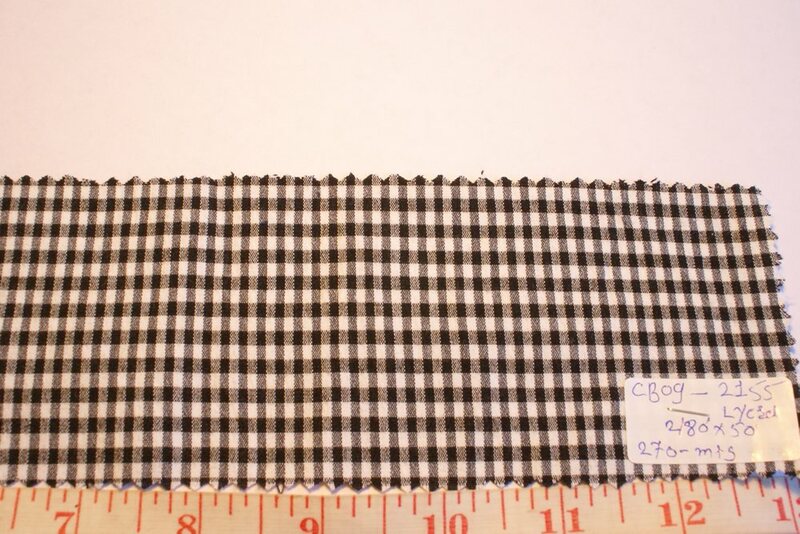 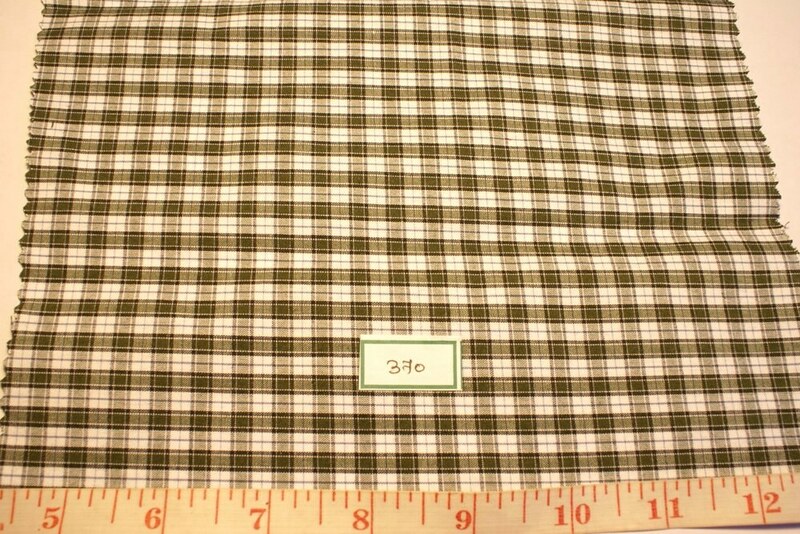 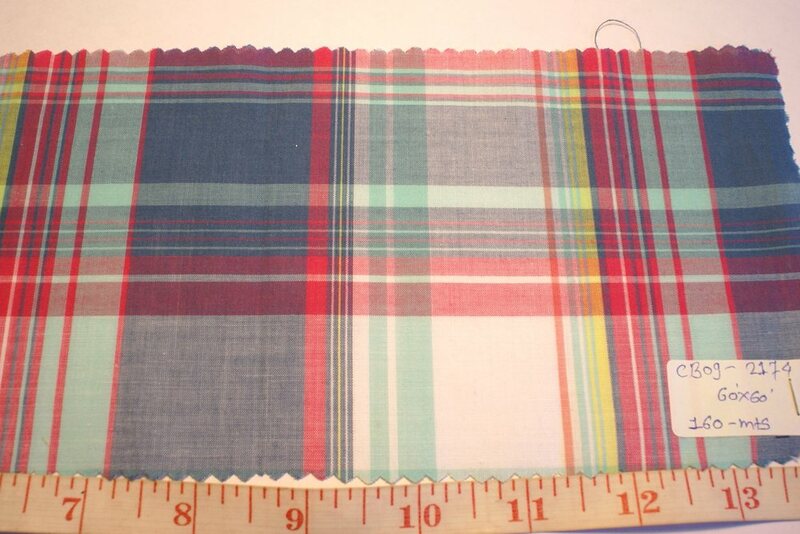 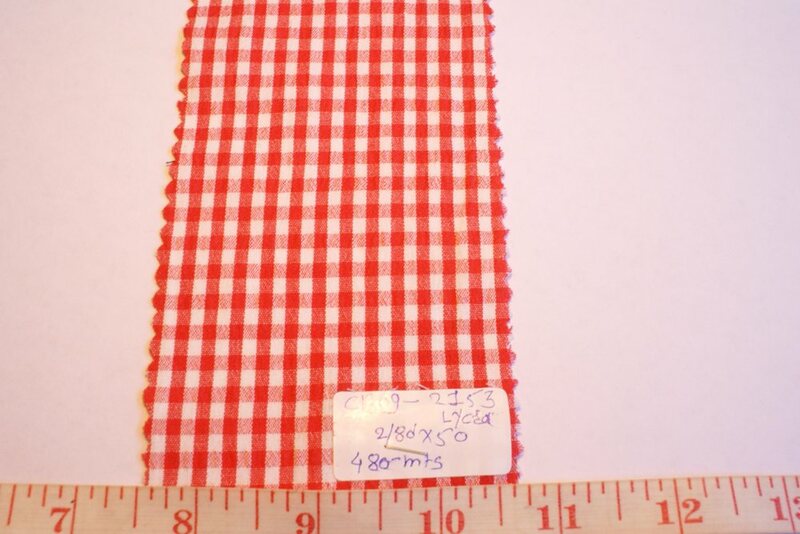 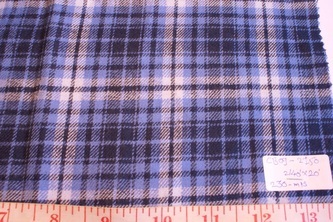 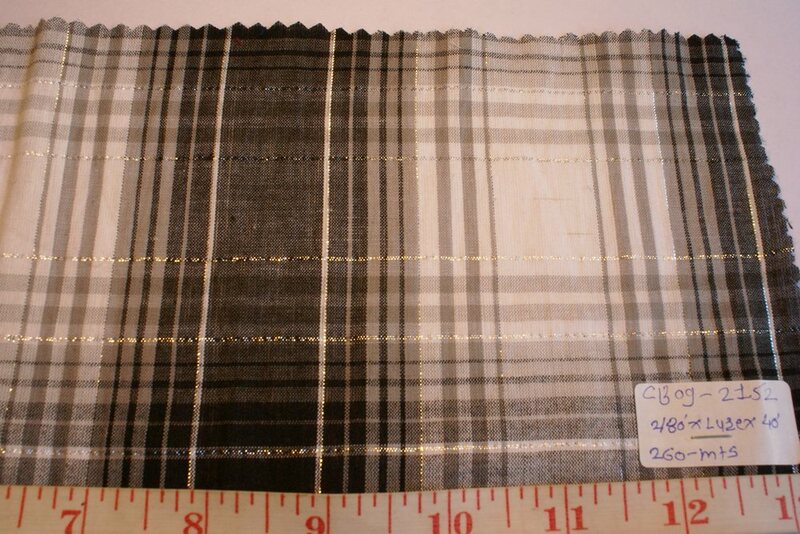 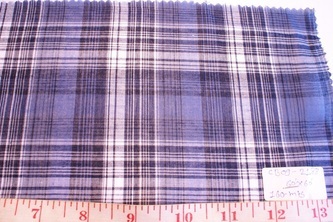 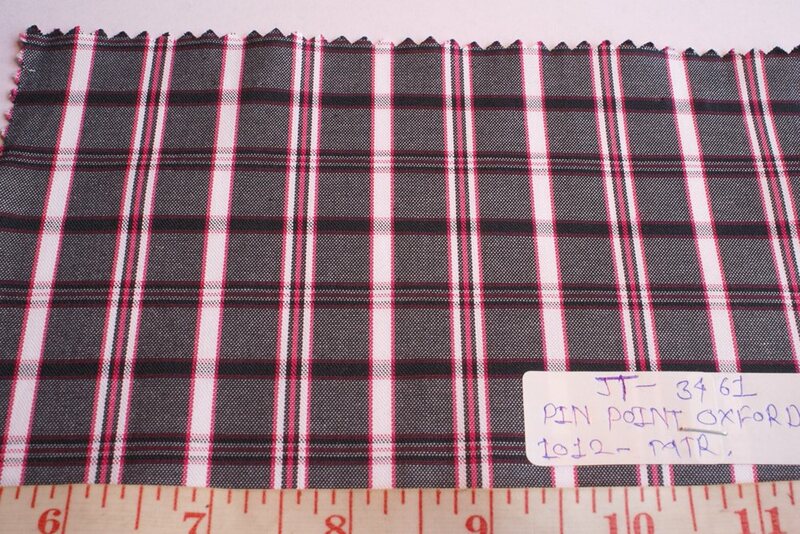 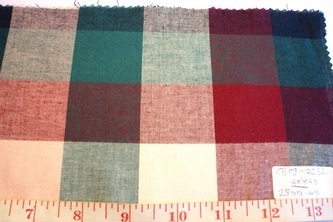 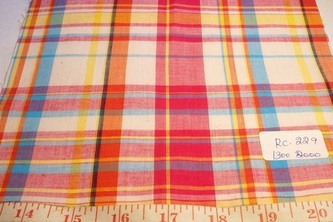 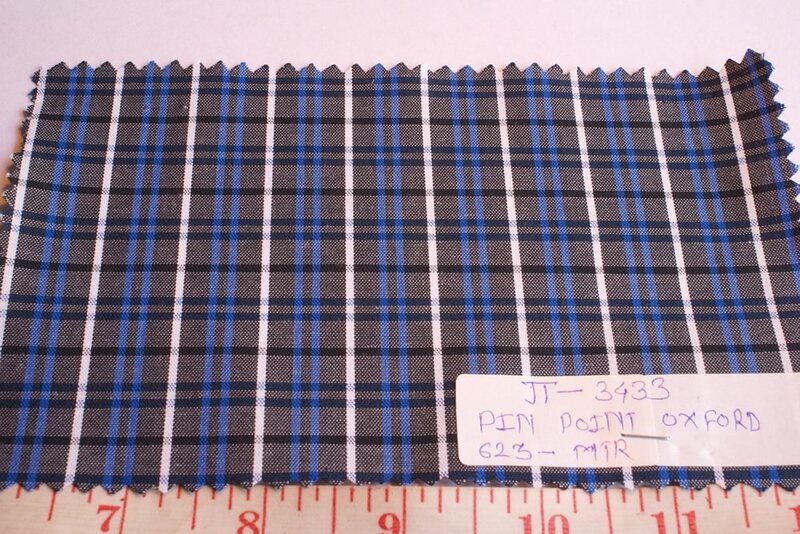 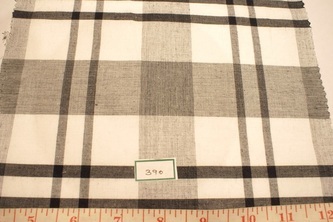 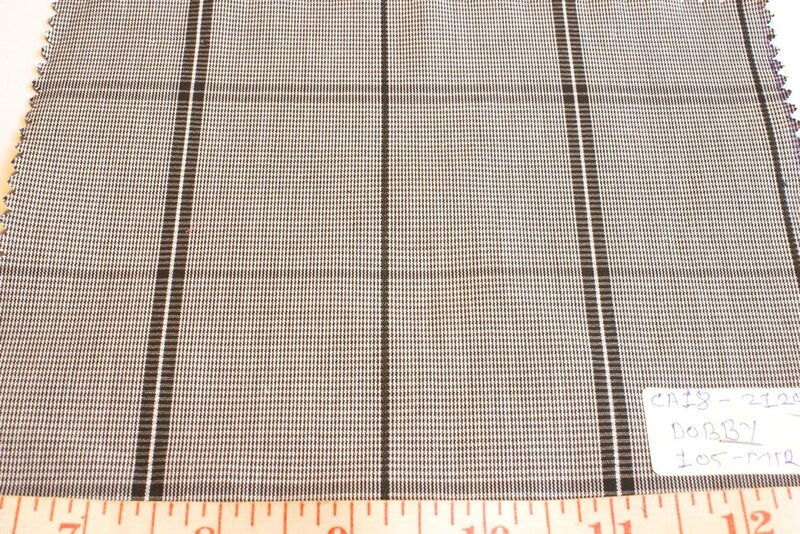 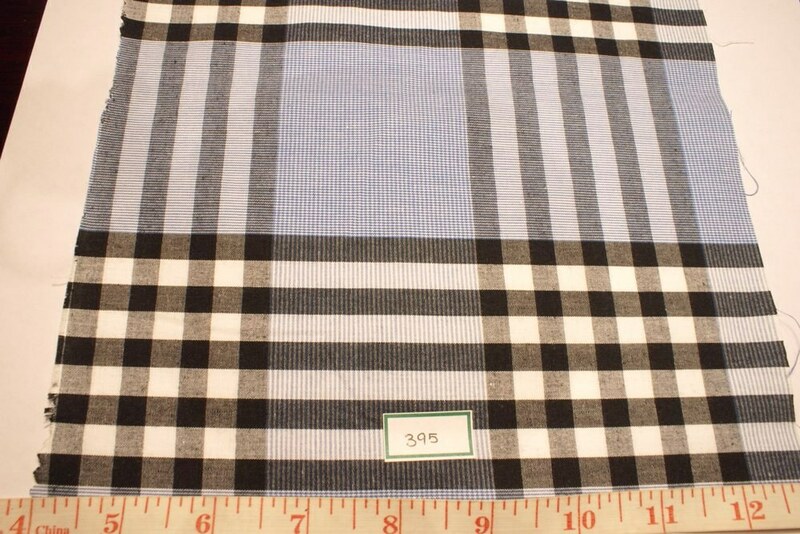 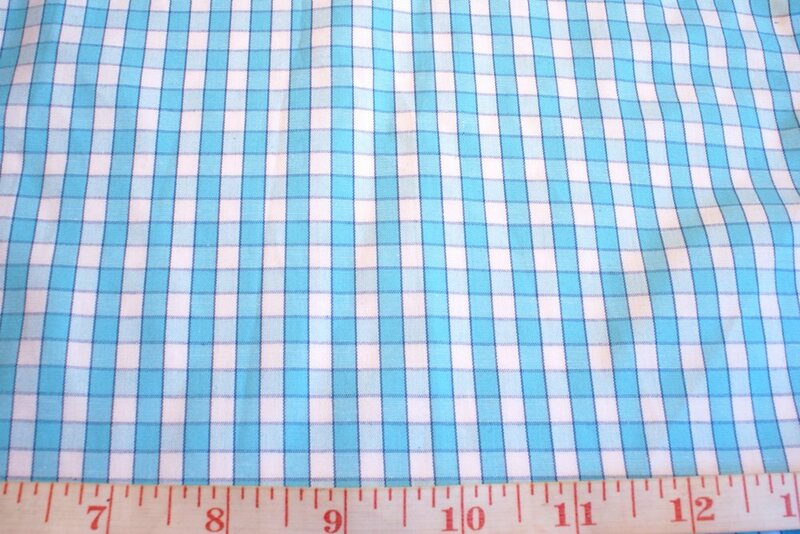 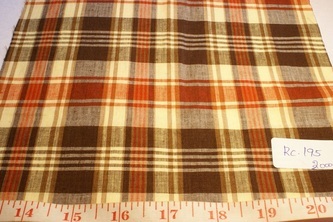 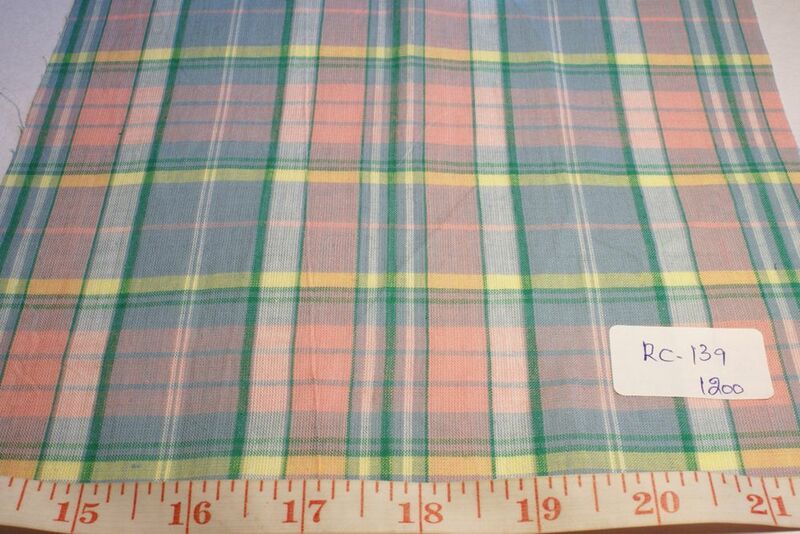 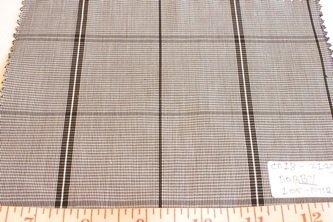 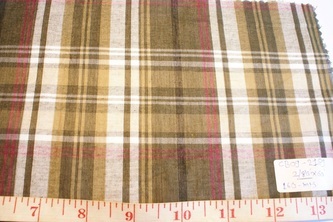 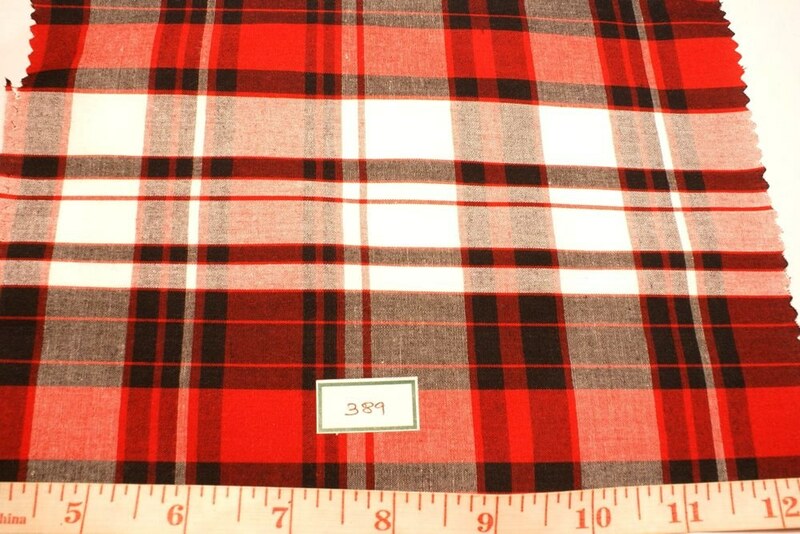 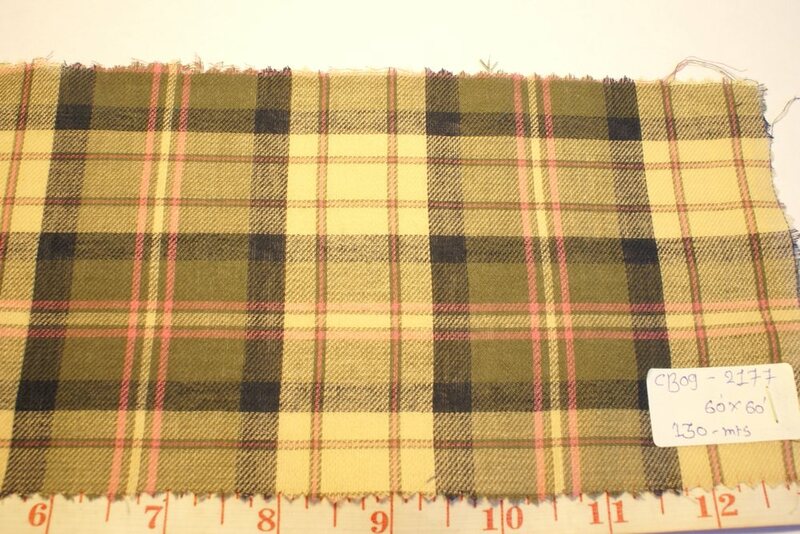 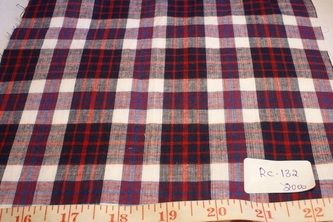 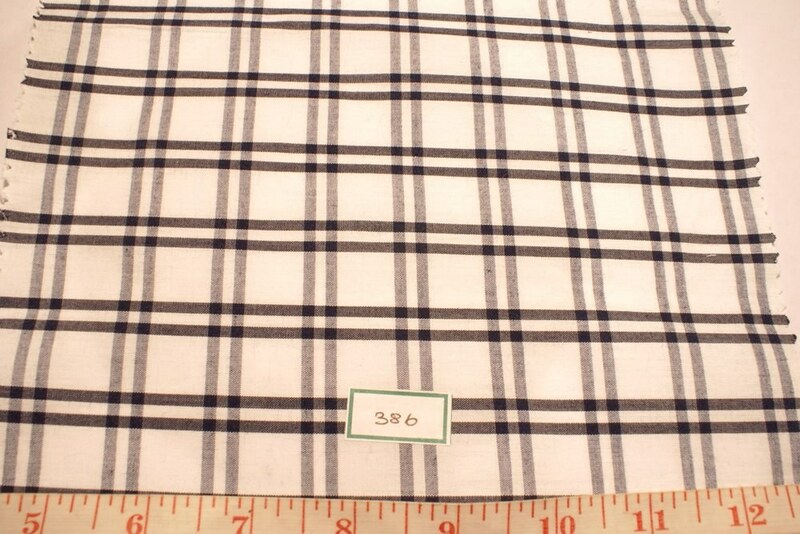 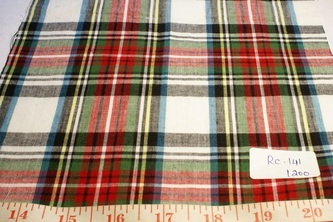 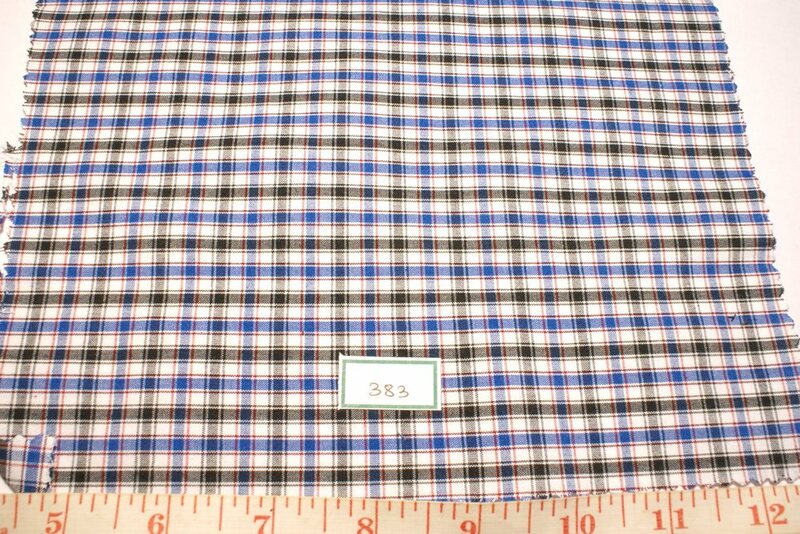 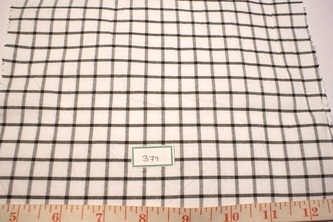 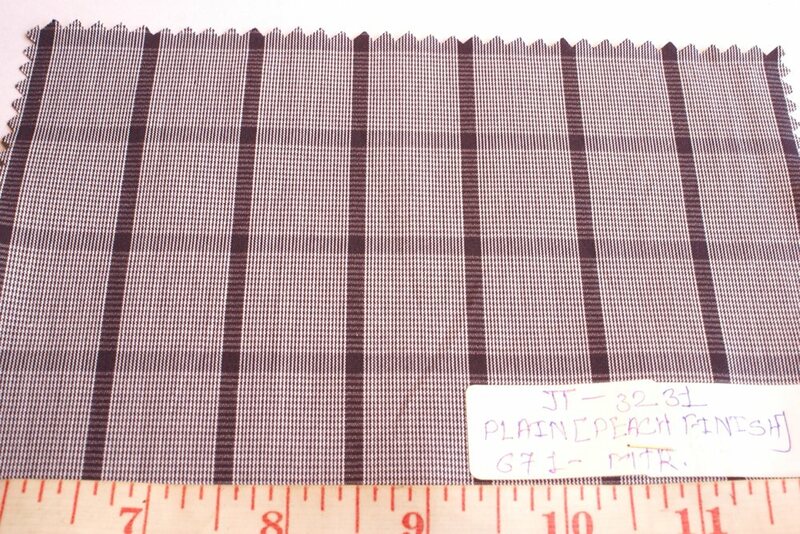 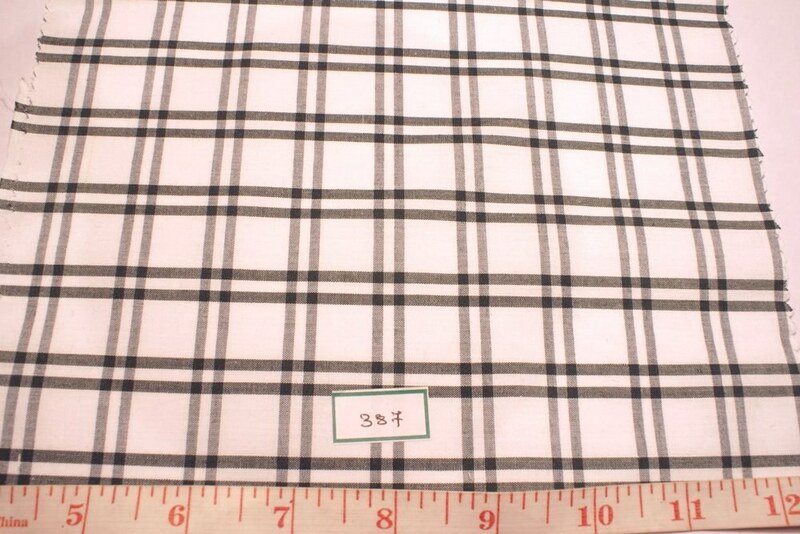 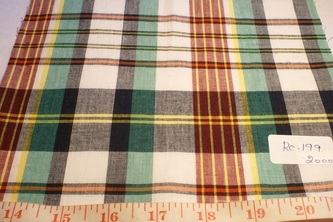 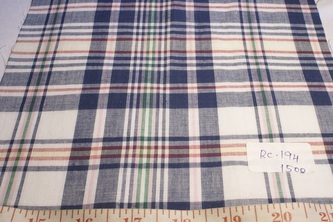 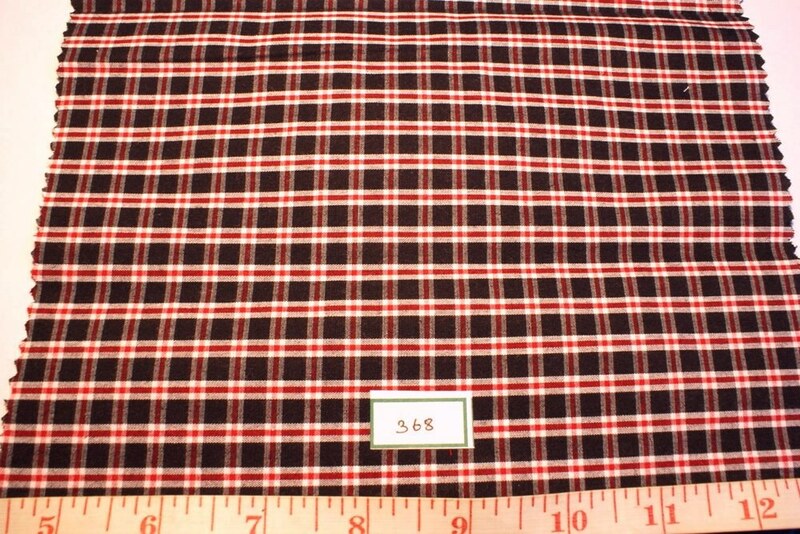 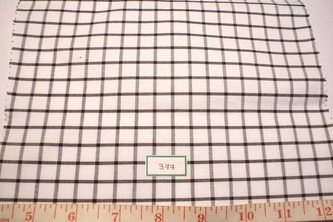 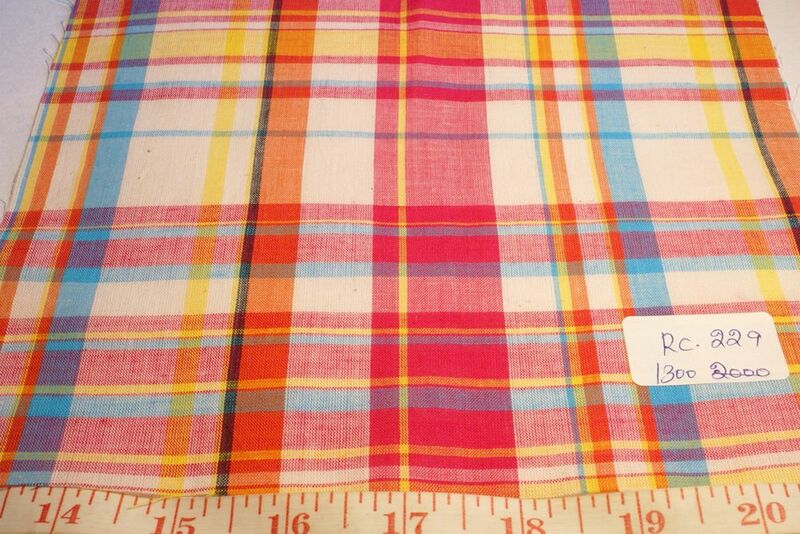 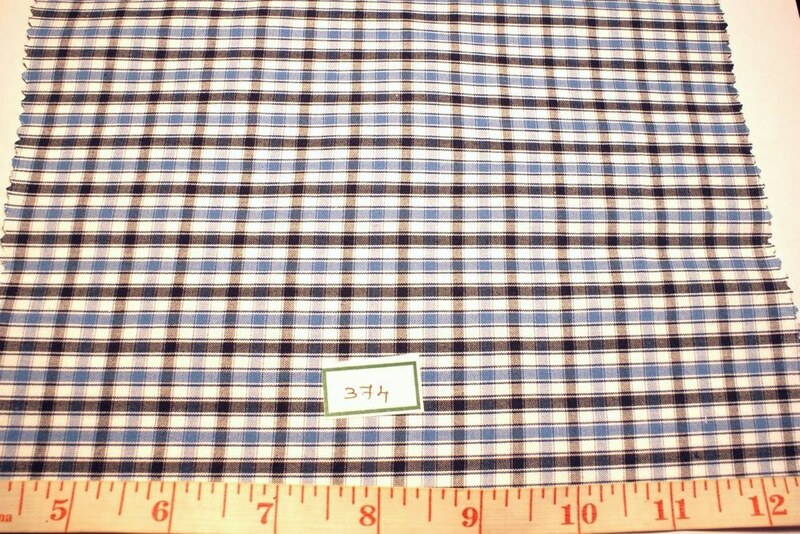 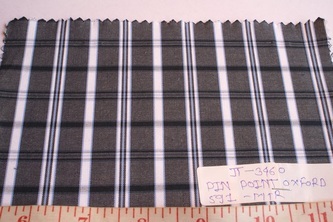 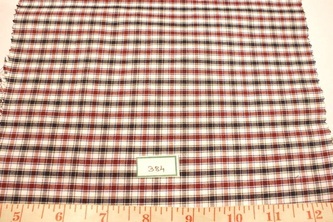 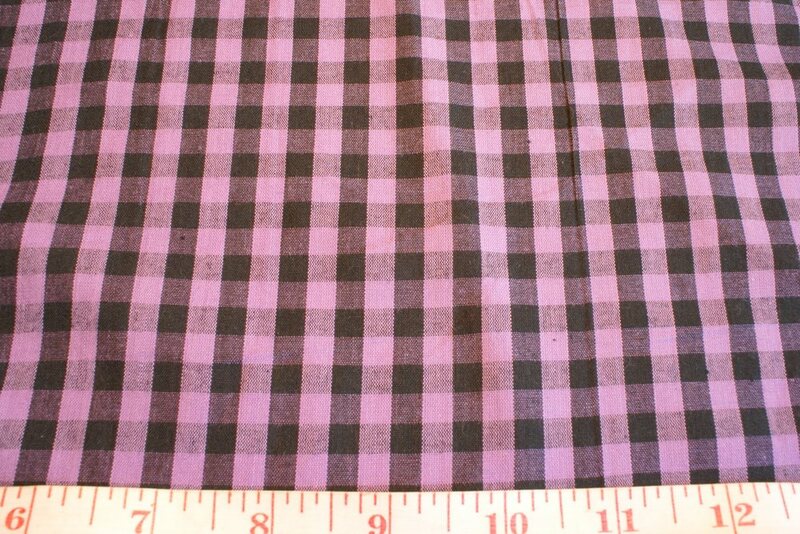 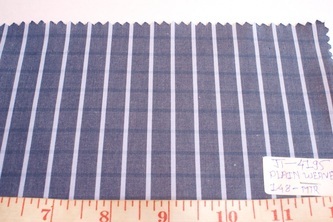 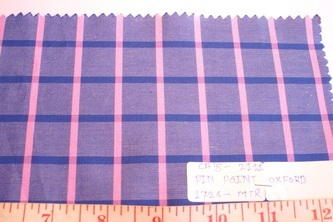 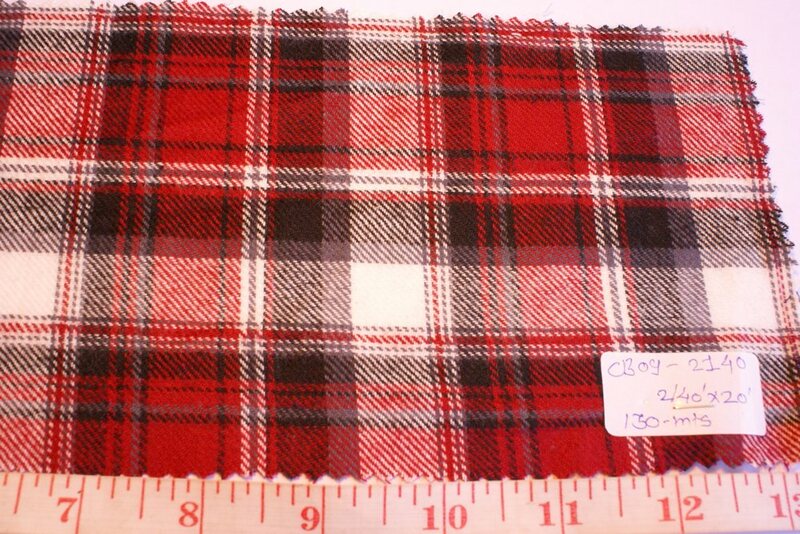 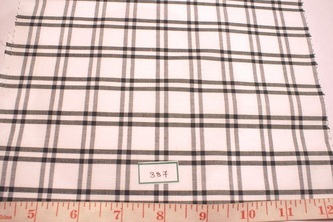 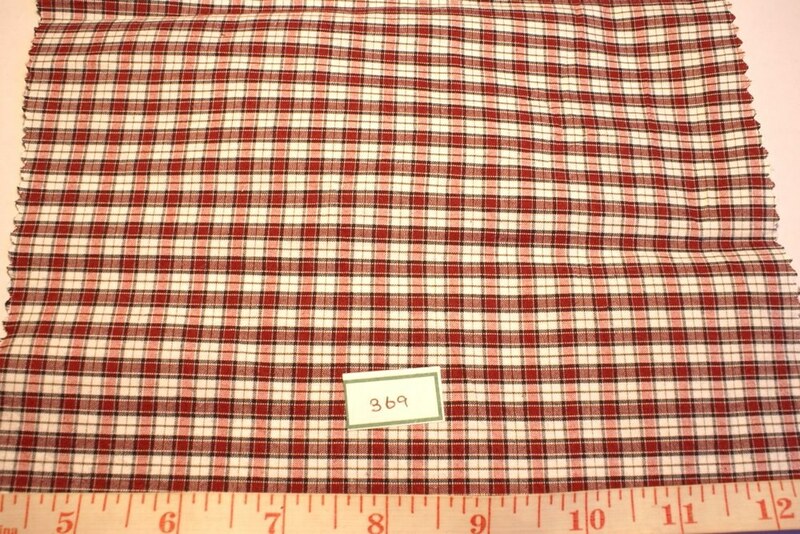 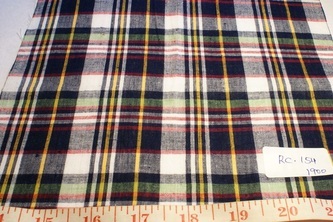 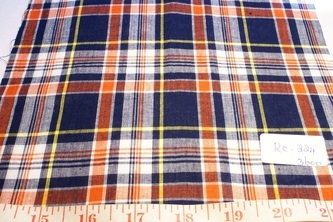 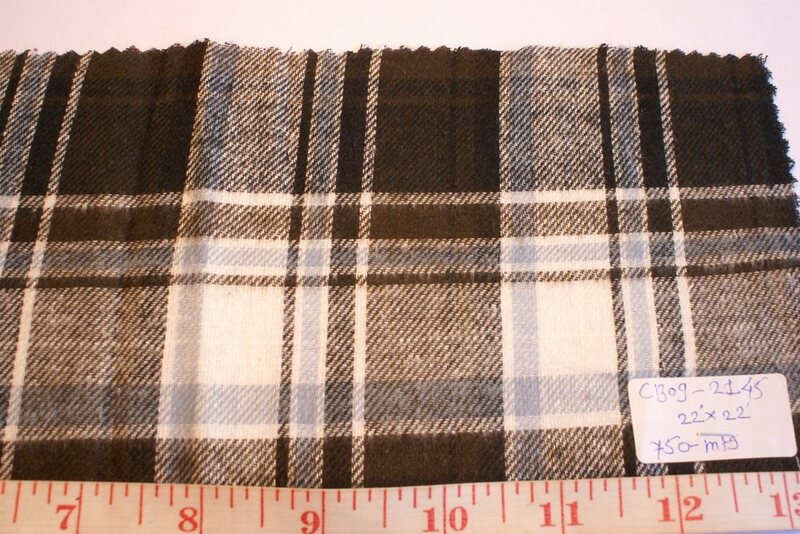 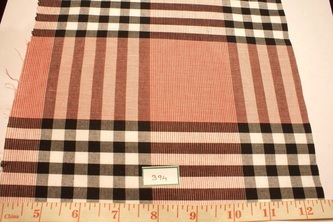 Madras fabric by Atlantis is one of the world's widest range of madras plaid fabrics, and these are used by several of our customers offering preppy clothing, preppy home articles, and also for dog clothing etc. 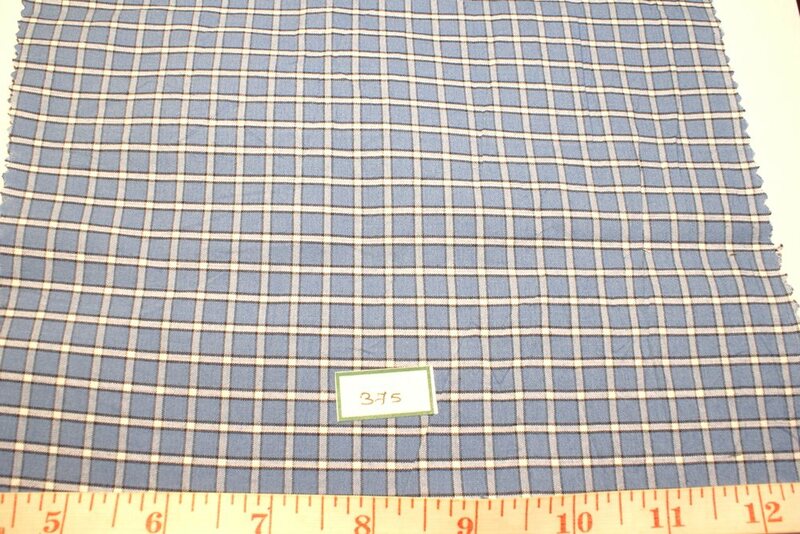 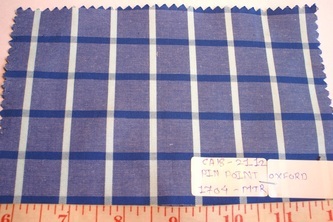 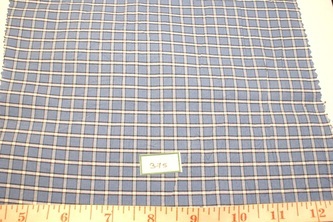 Our Madras is available as plaids for Sport shirts, dresses and casual apparel, micro checks and smaller plaids for dress shirts and formal clothing, especially menswear, gingham checks for men's shirts, kid's clothing and accessories, tattersall plaids, vintage bleeding madras, patchwork madras, seersucker plaids, double-cloth, flannel or twill madras for sleepwear, outdoor shirts, and hunting / fishing apparel, as well as ultra-light weight summery madras, ideal for scarves, stoles and pocket squares. 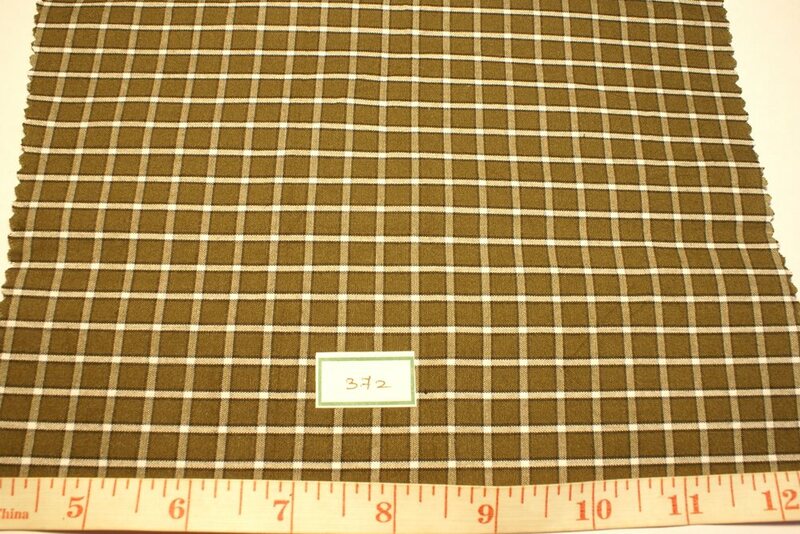 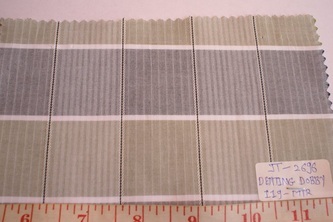 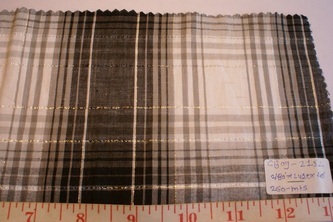 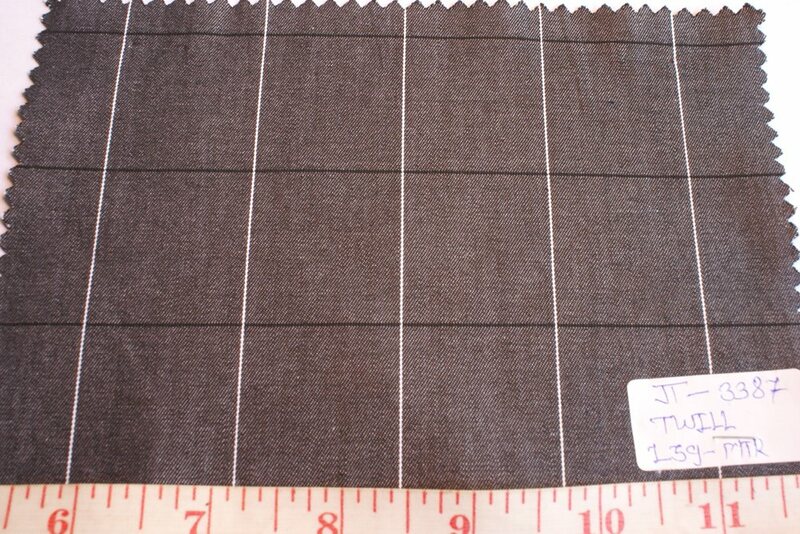 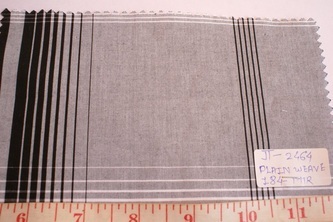 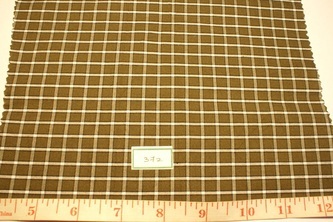 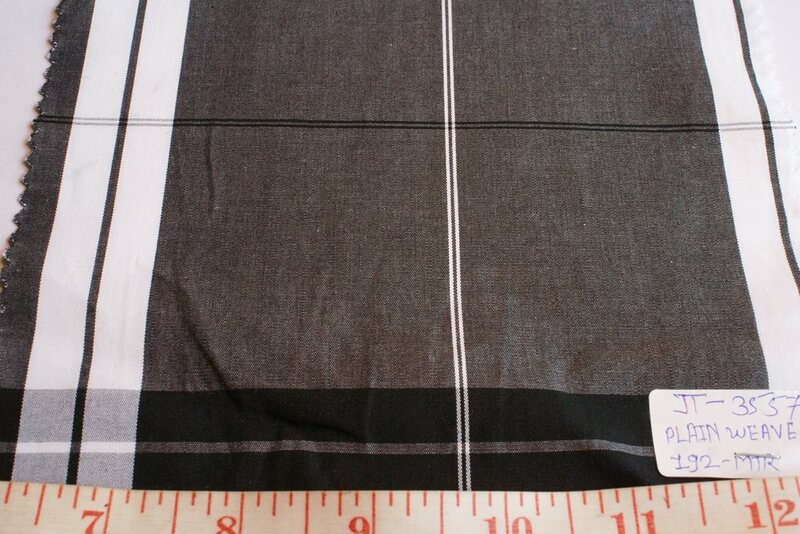 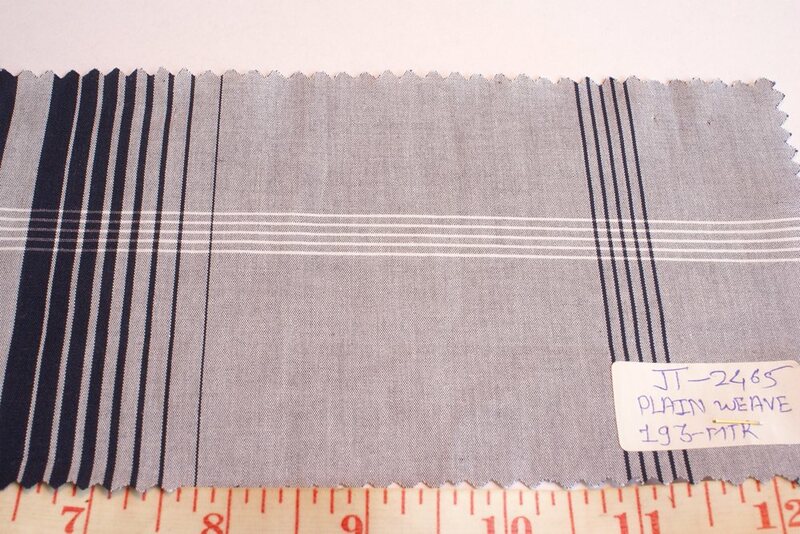 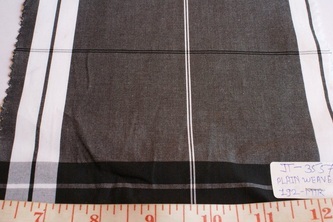 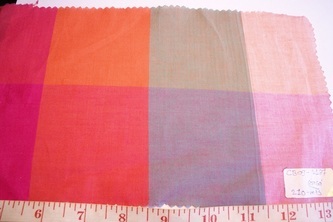 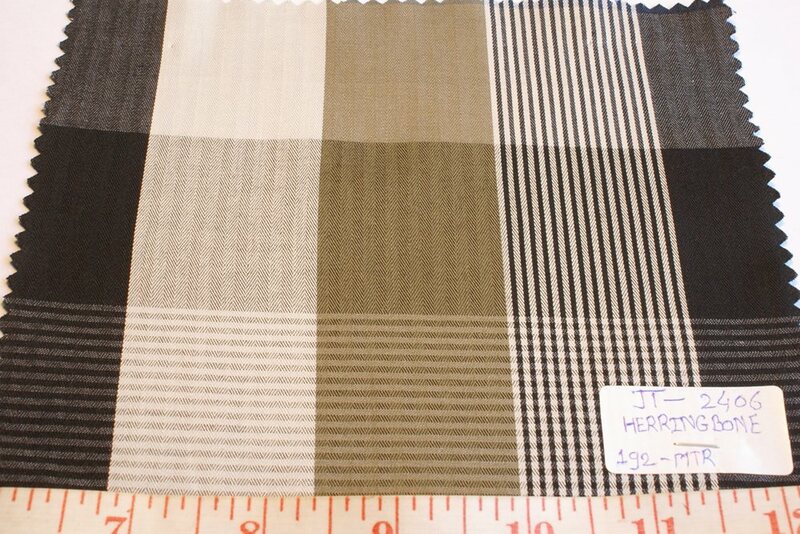 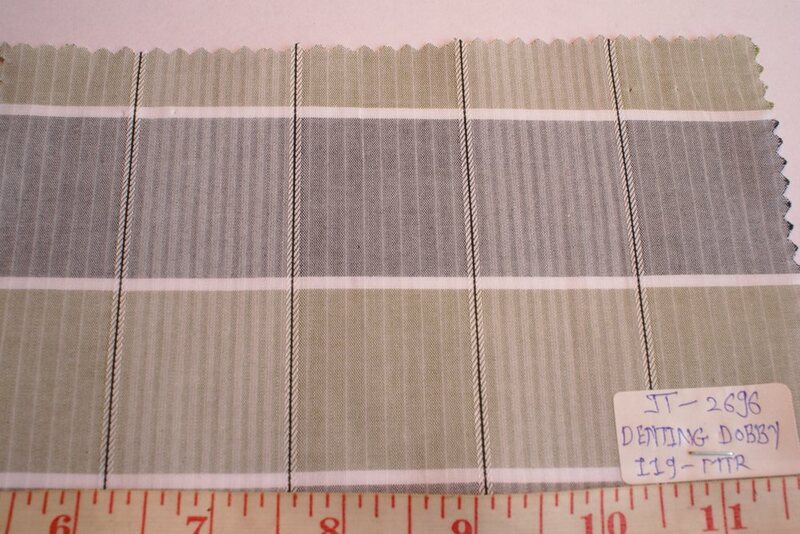 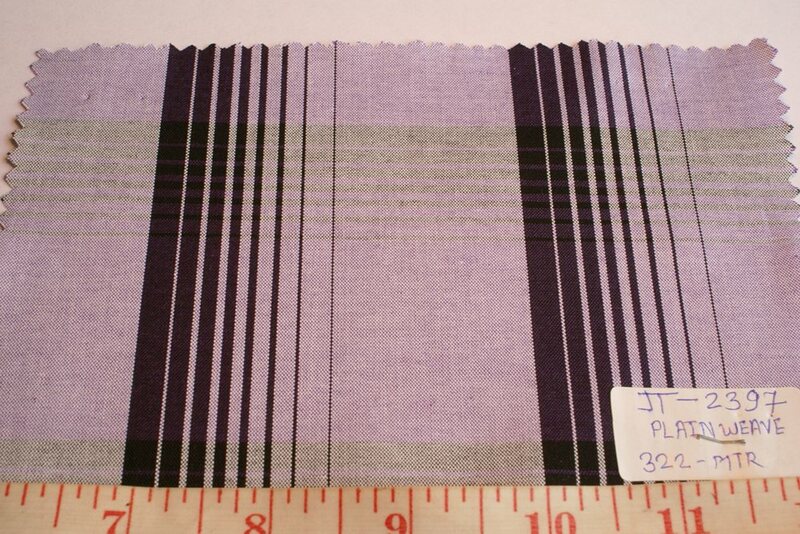 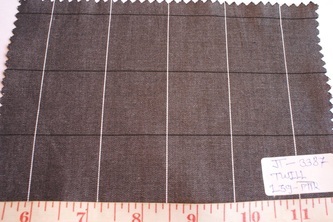 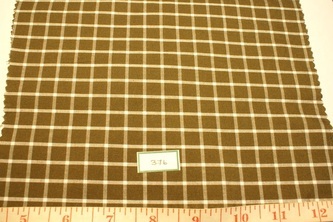 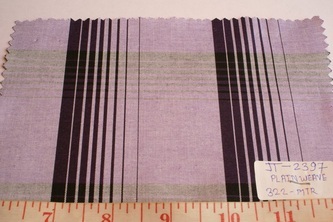 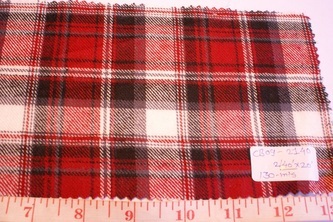 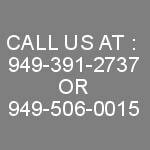 PRICE RANGE = $3 - $6 PER YARD, DEPENDING ON THE ORDER QUANTITY.